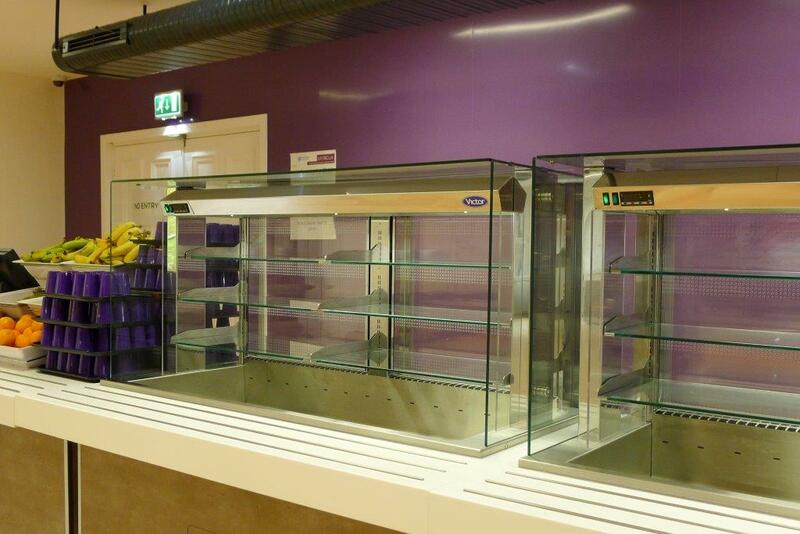 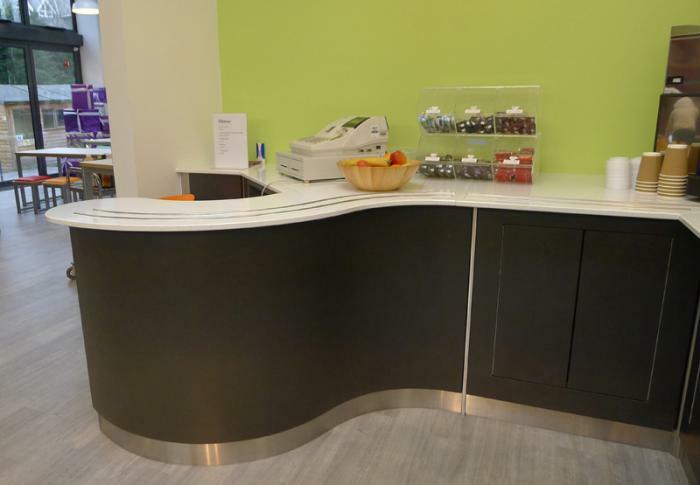 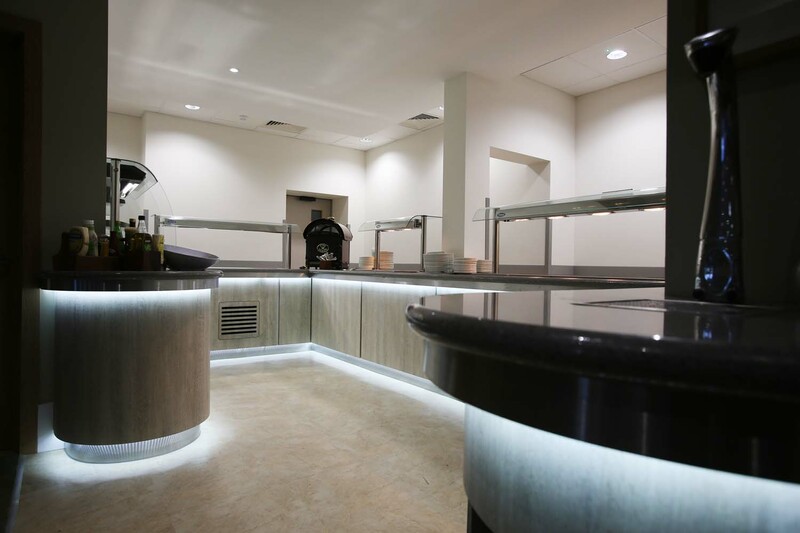 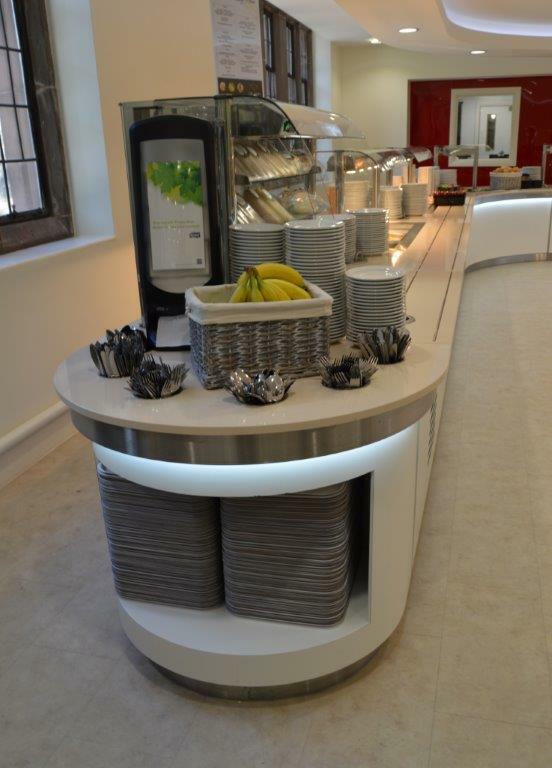 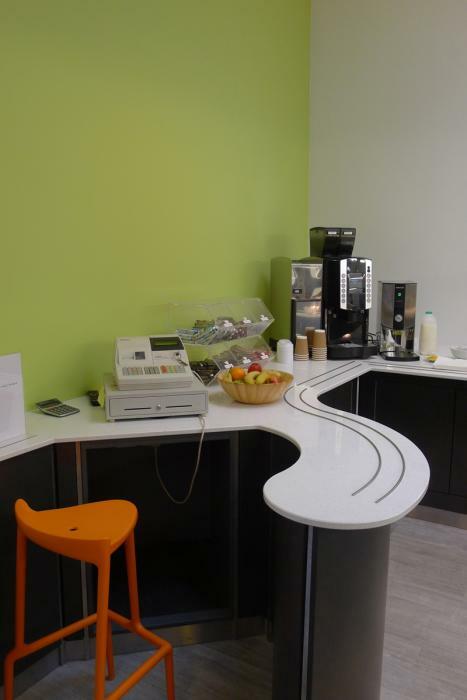 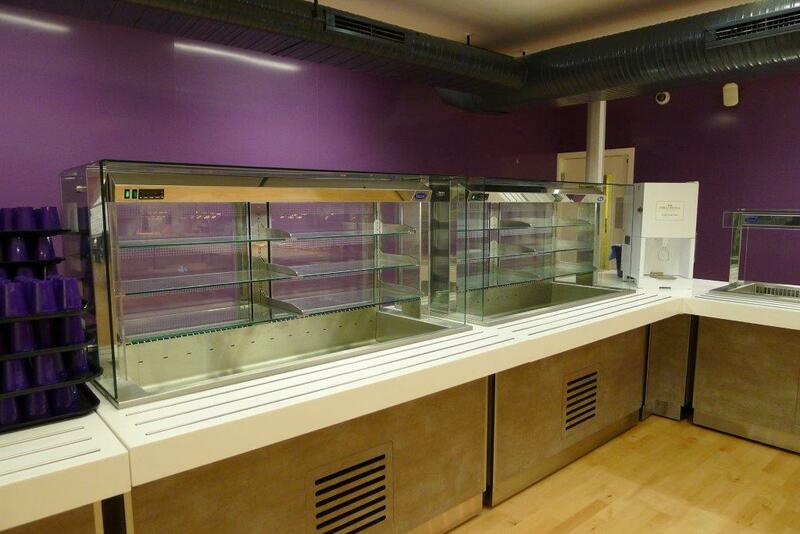 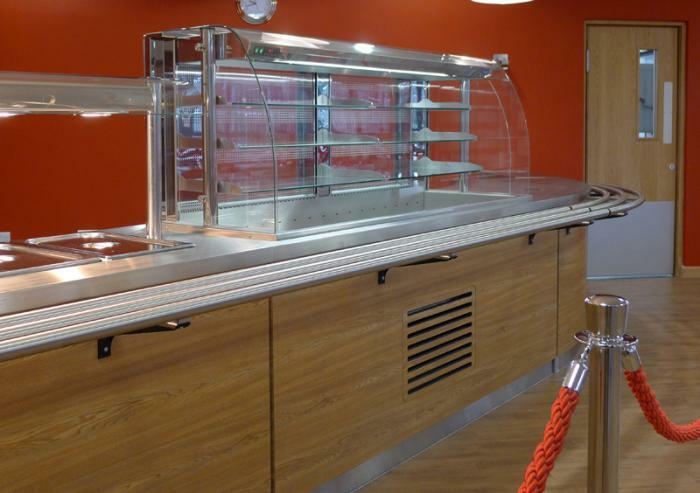 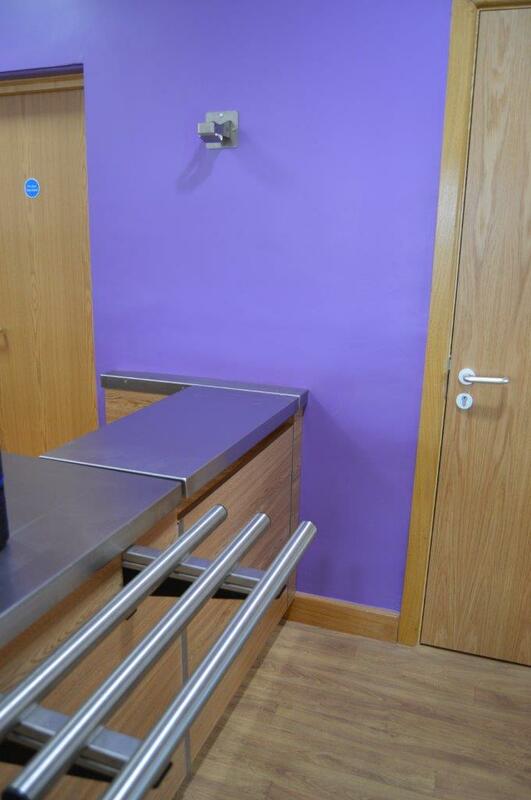 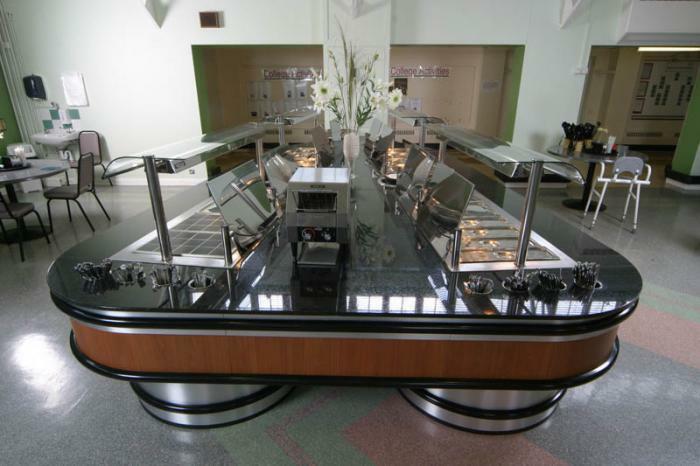 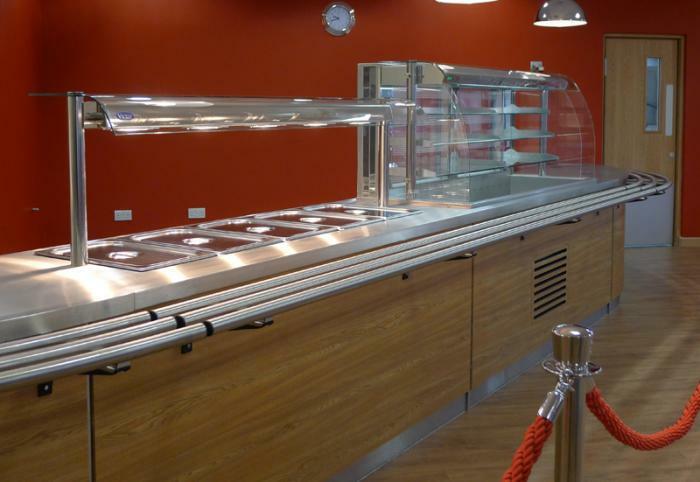 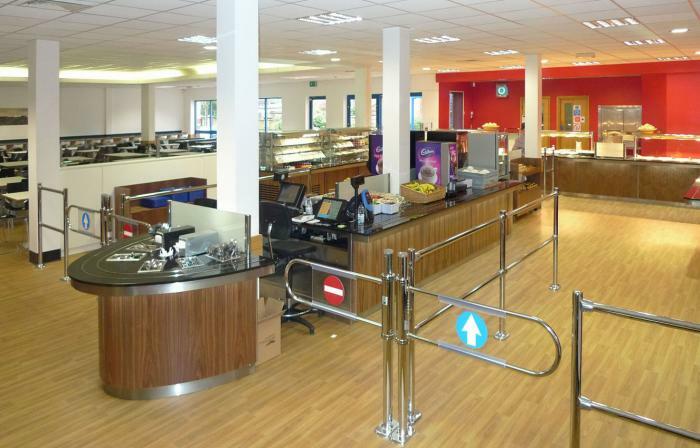 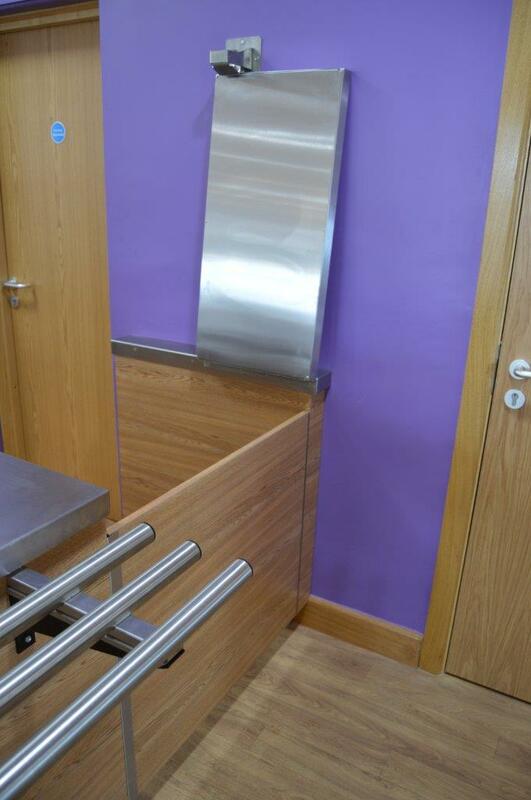 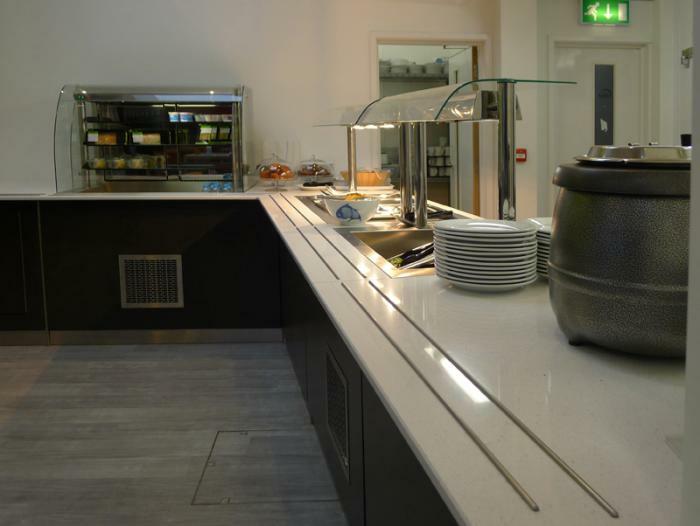 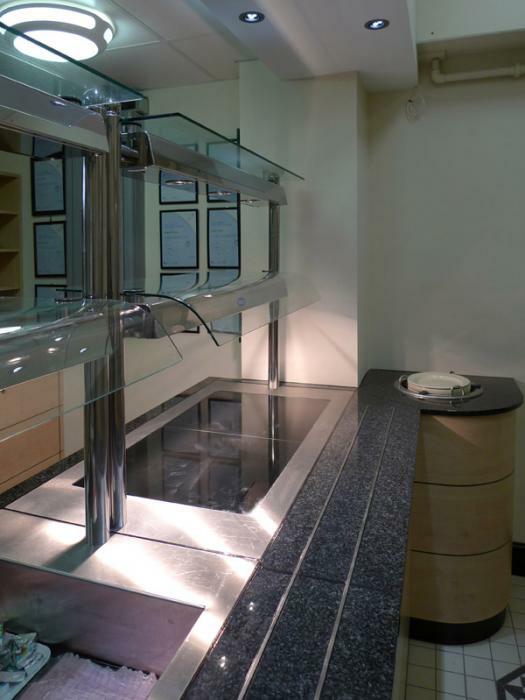 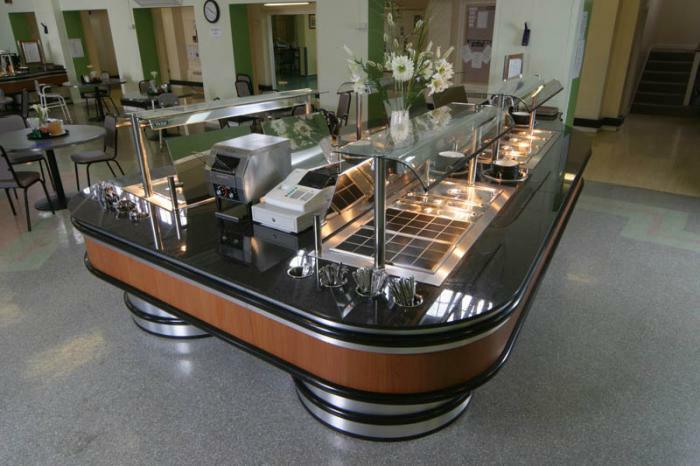 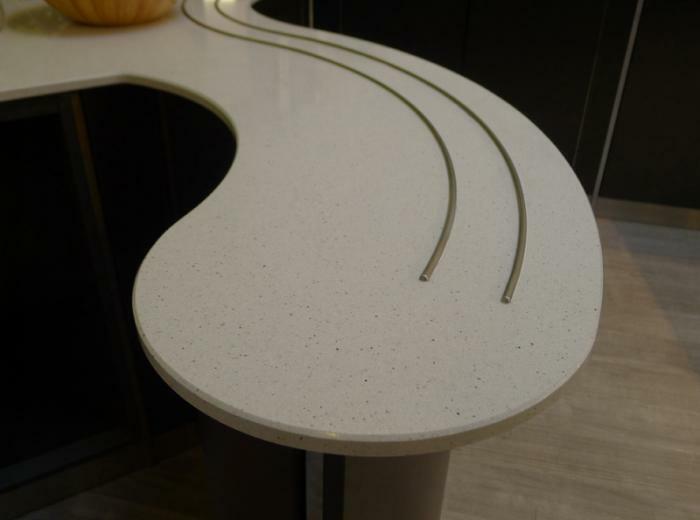 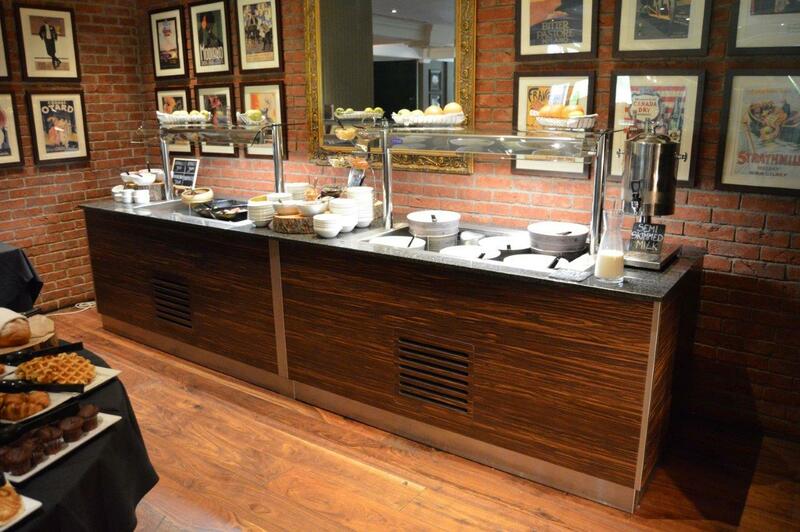 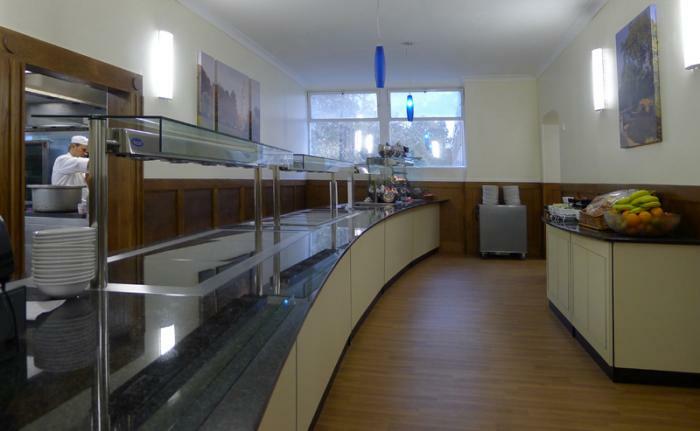 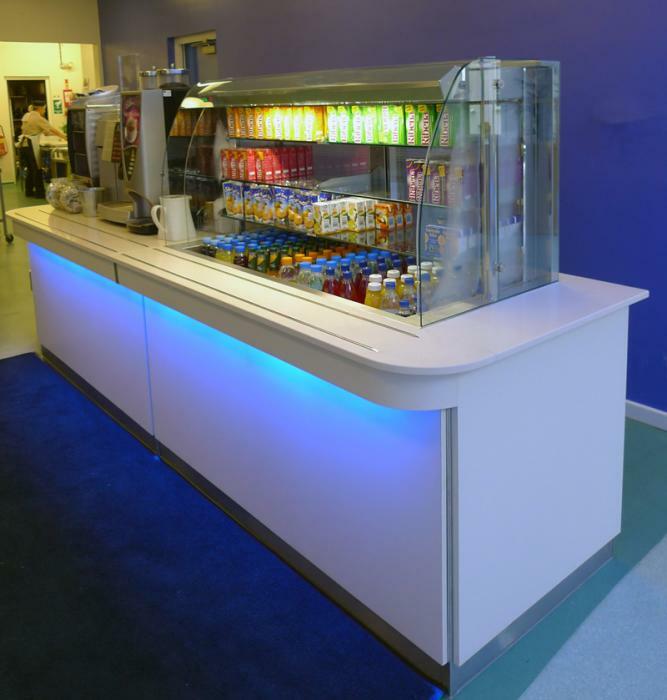 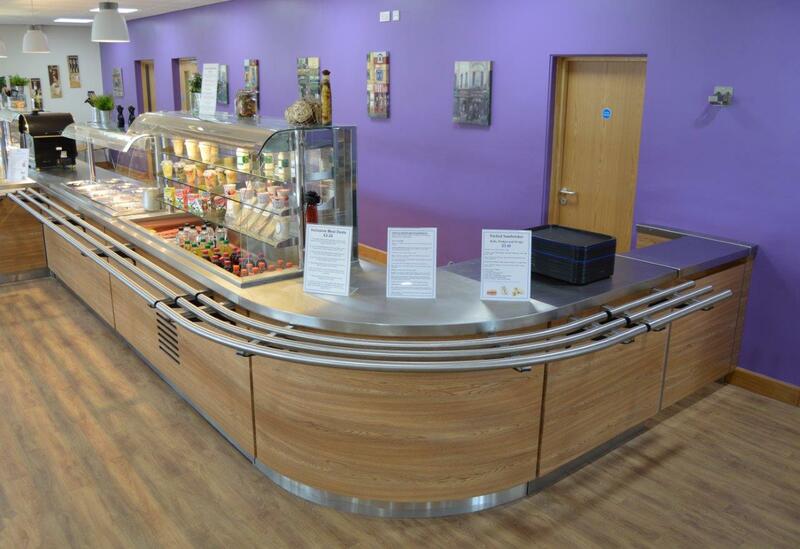 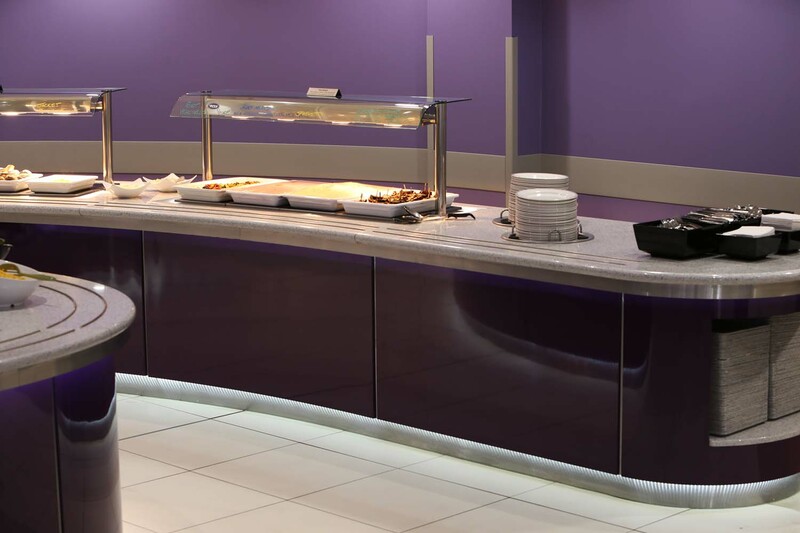 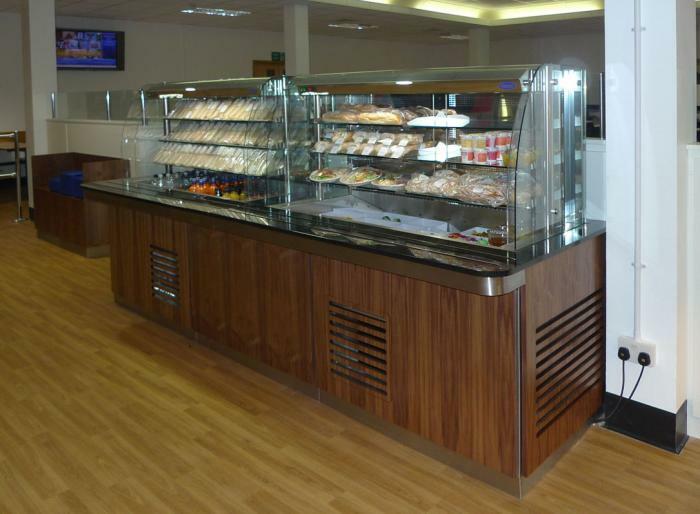 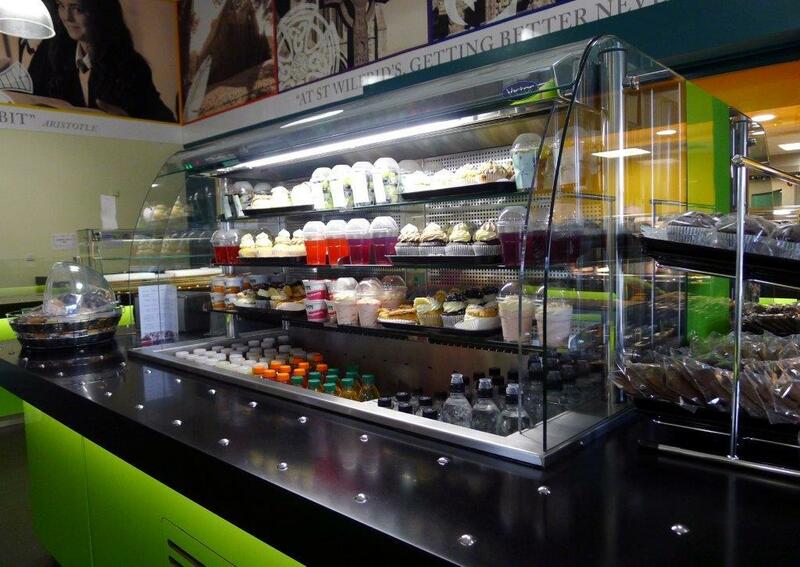 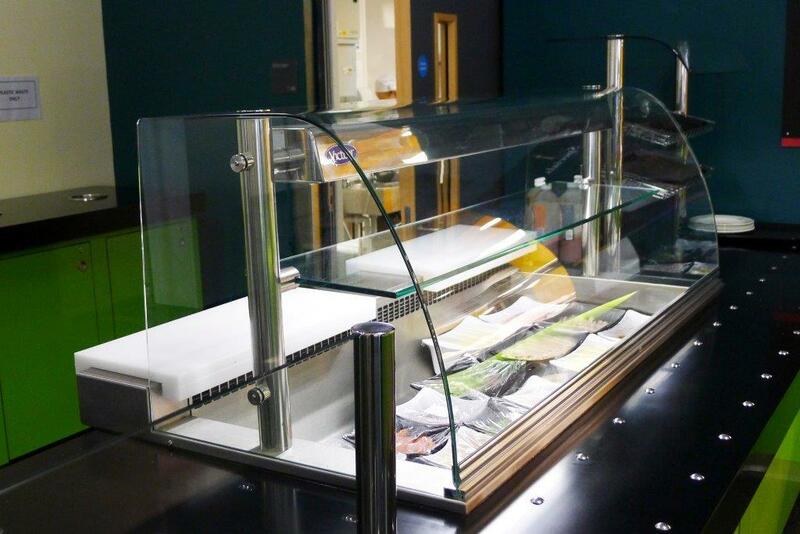 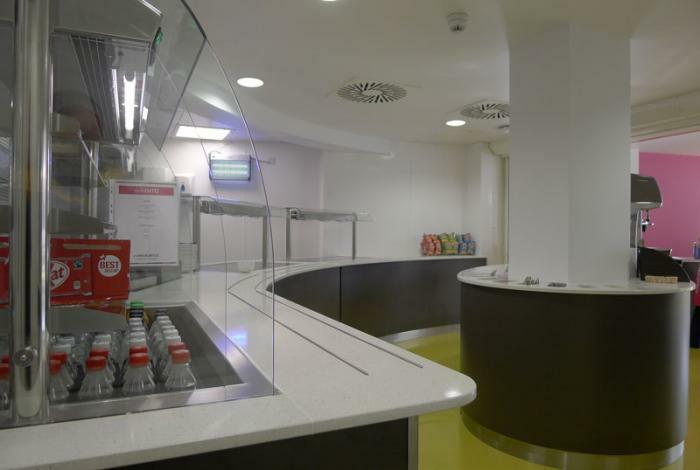 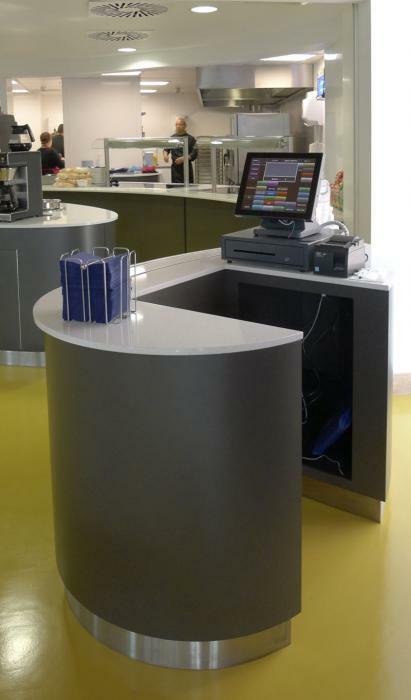 Long granite topped food servery counter with slight curve. 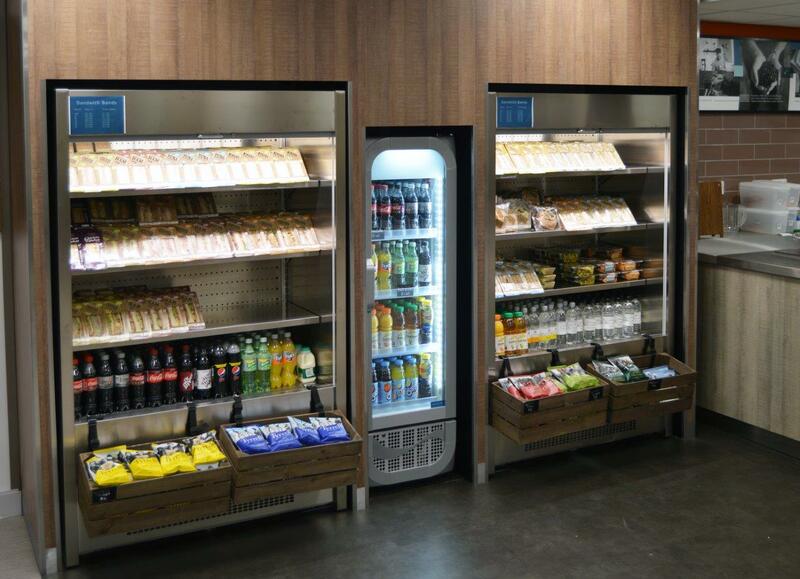 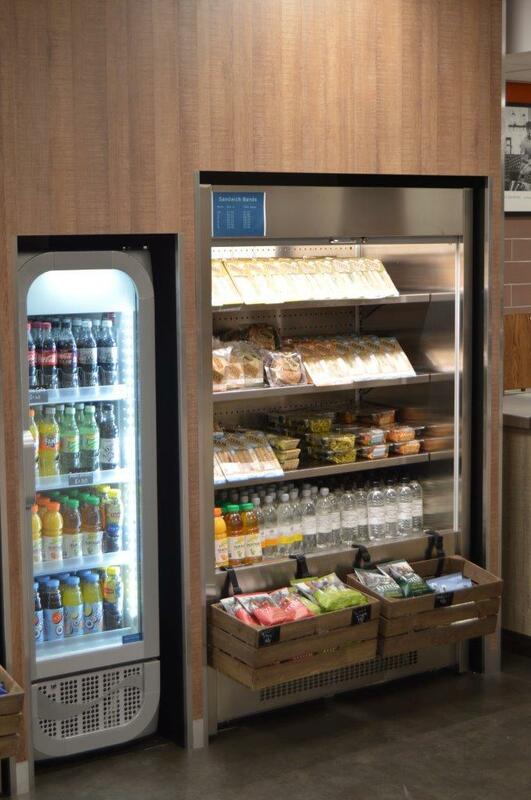 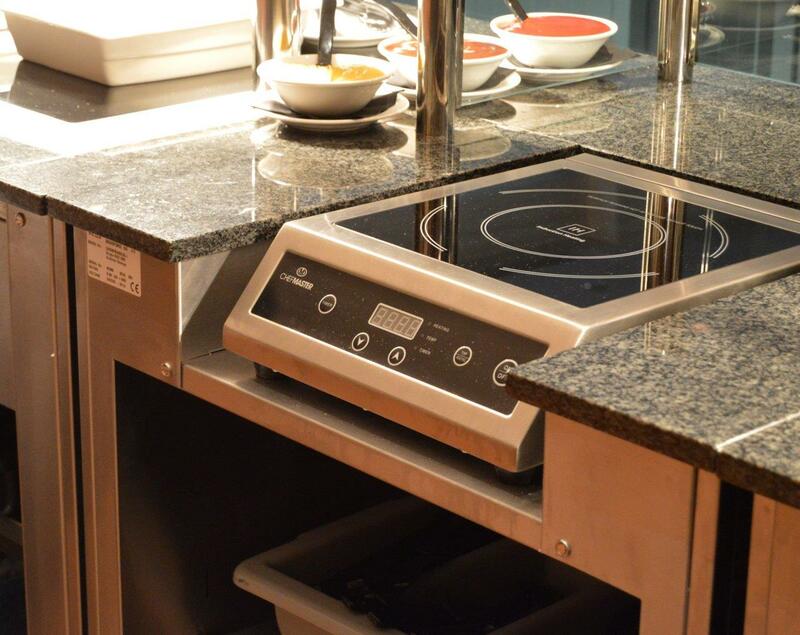 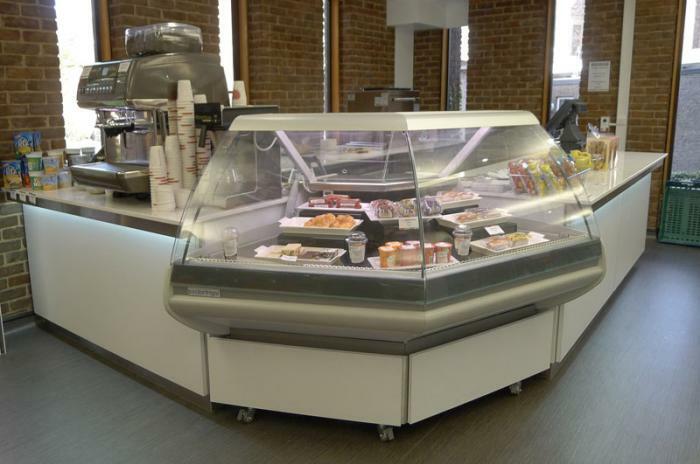 Featuring refrigerated multi-tier, salad well, heated bains marie, heated glass top and payment point. 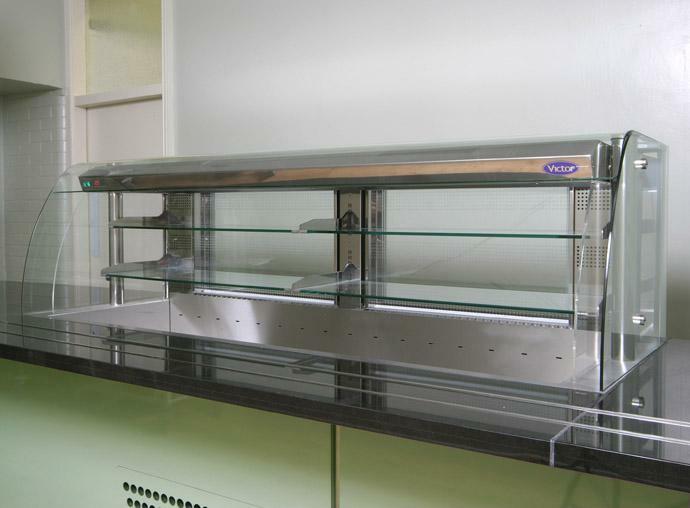 Units feature flat glass sneeze screens. 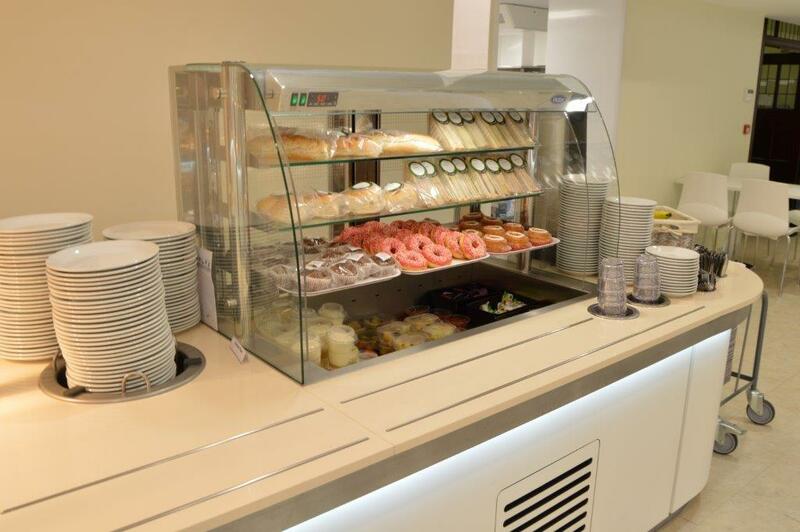 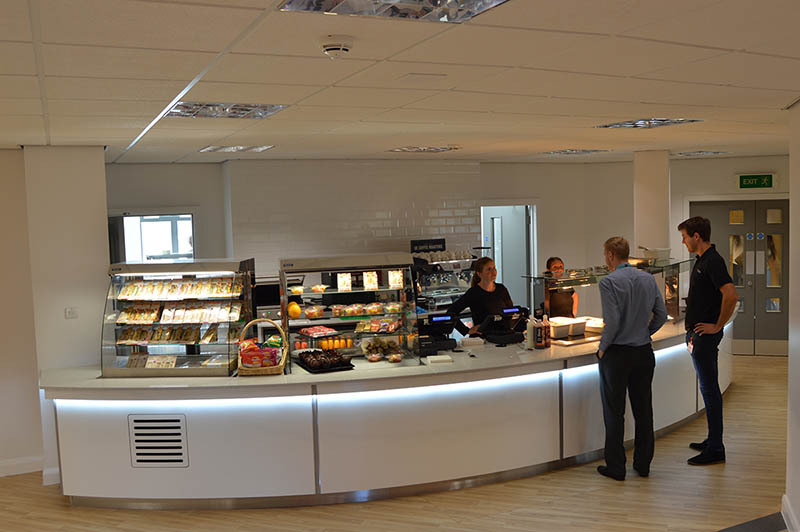 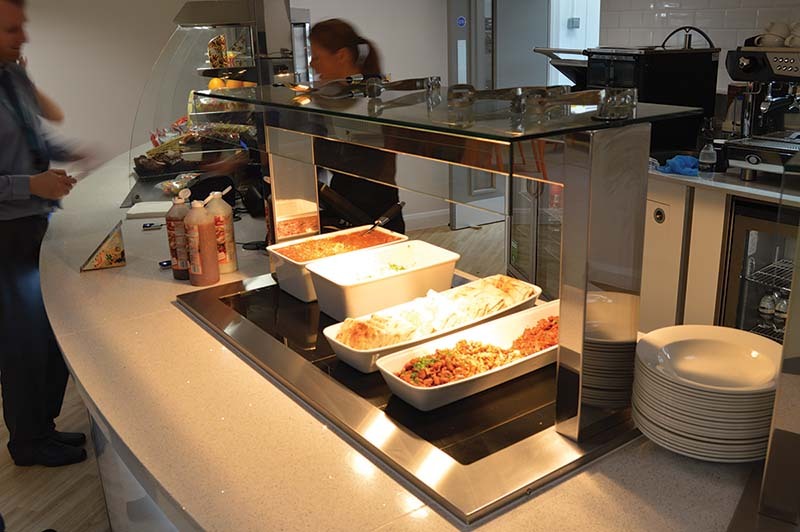 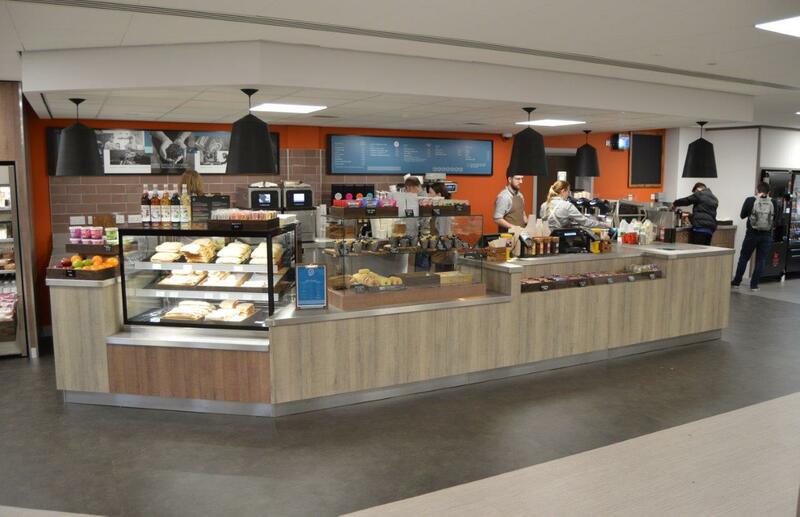 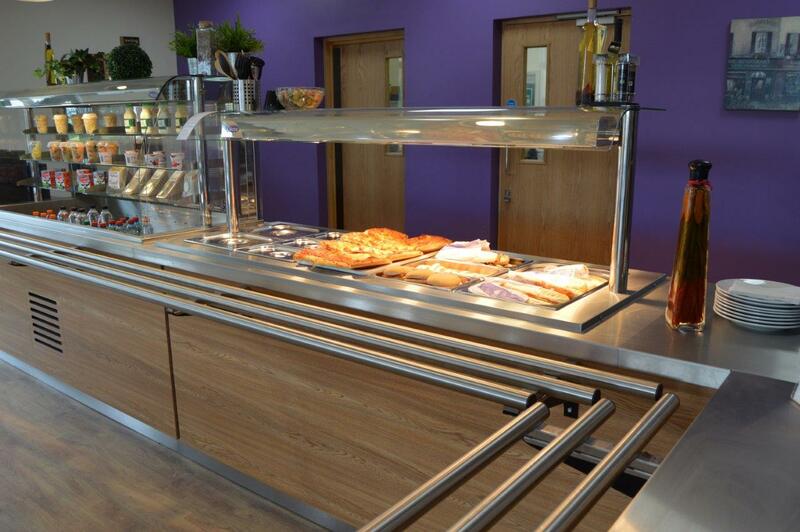 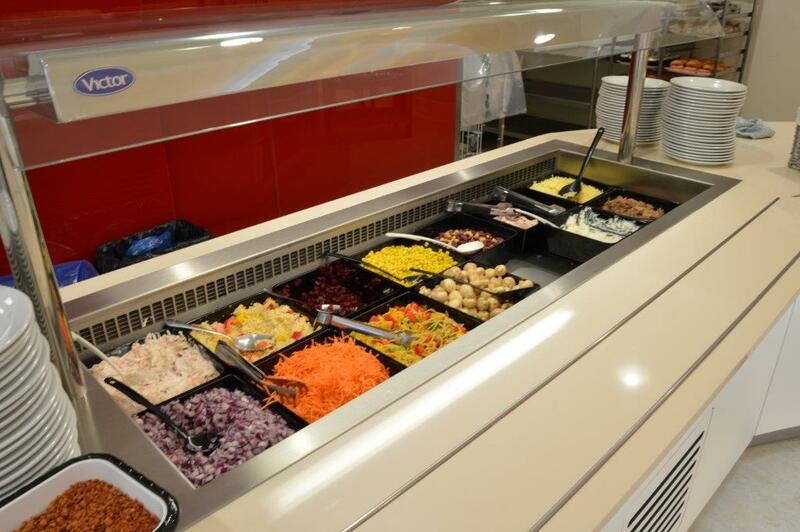 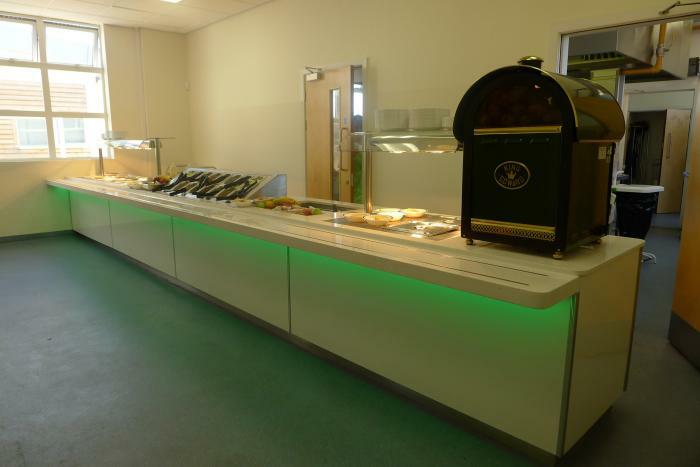 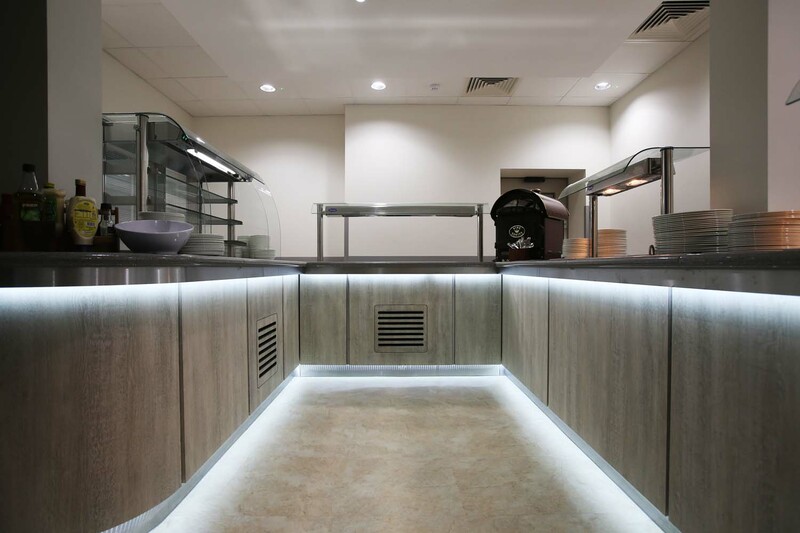 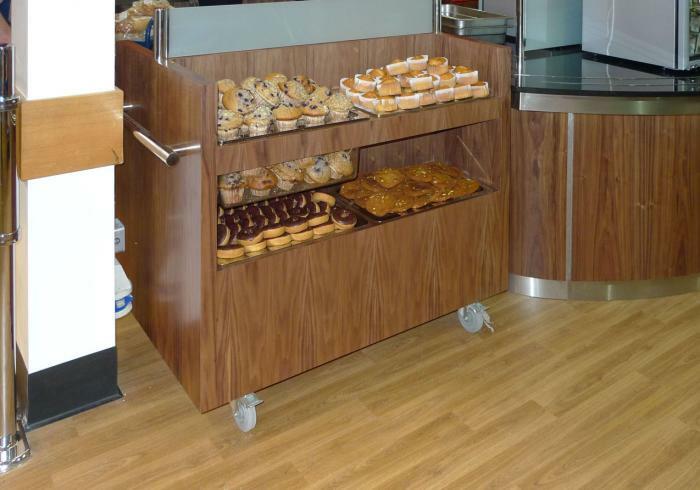 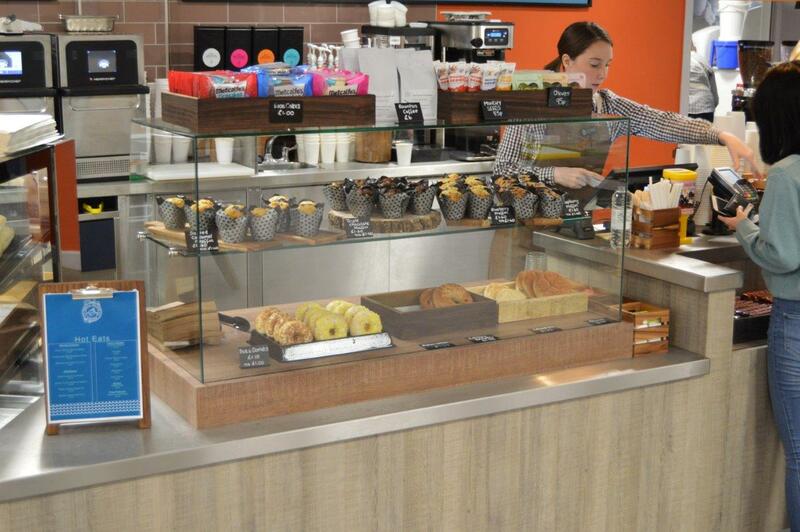 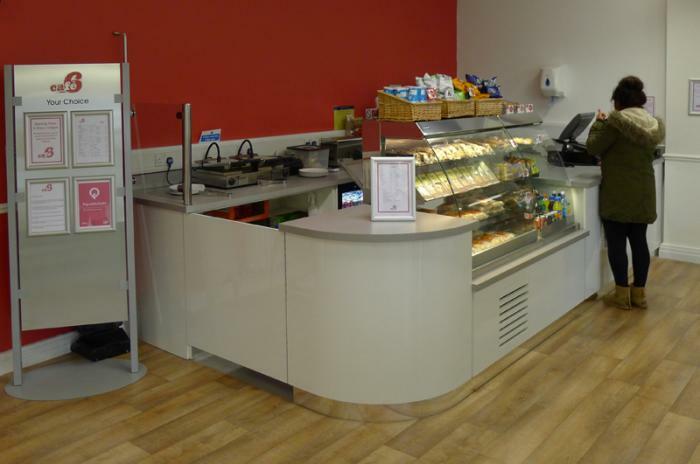 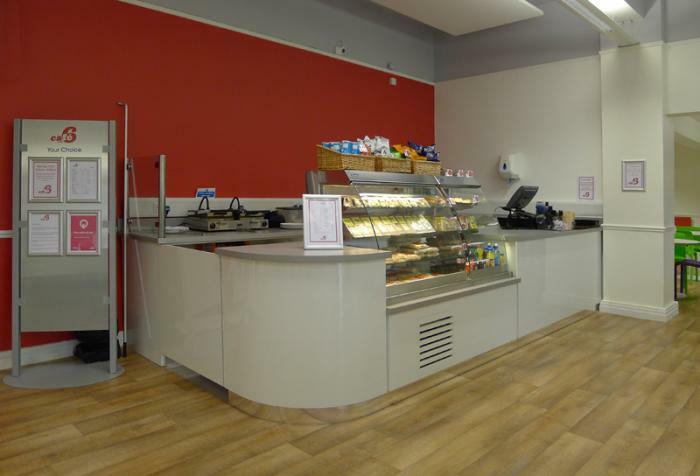 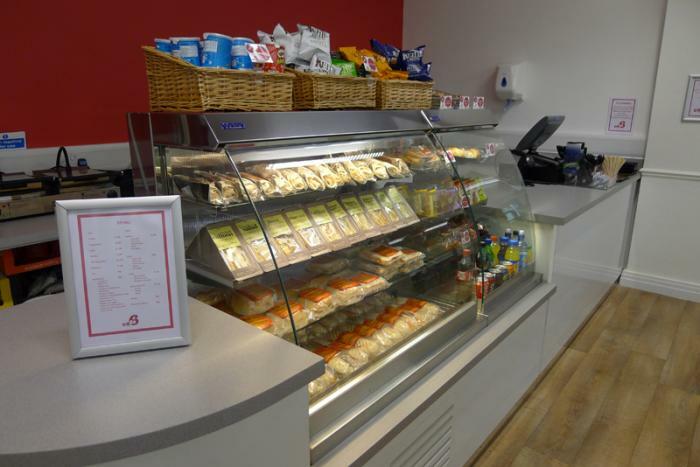 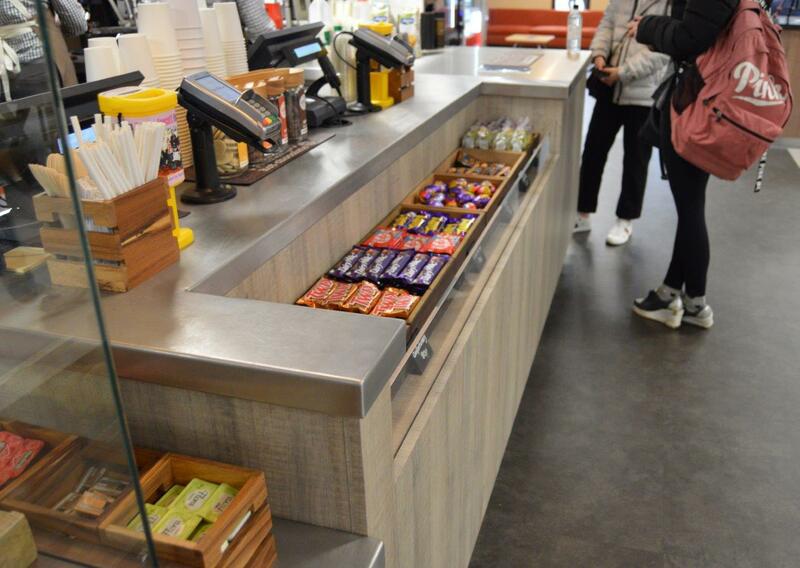 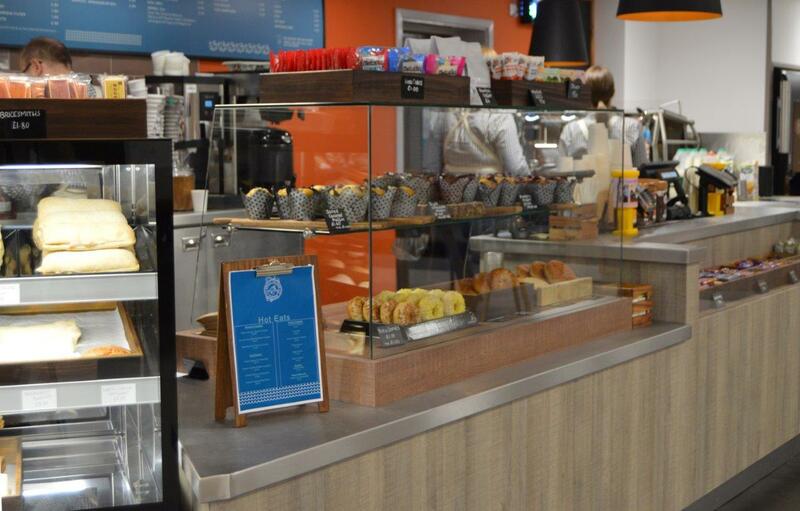 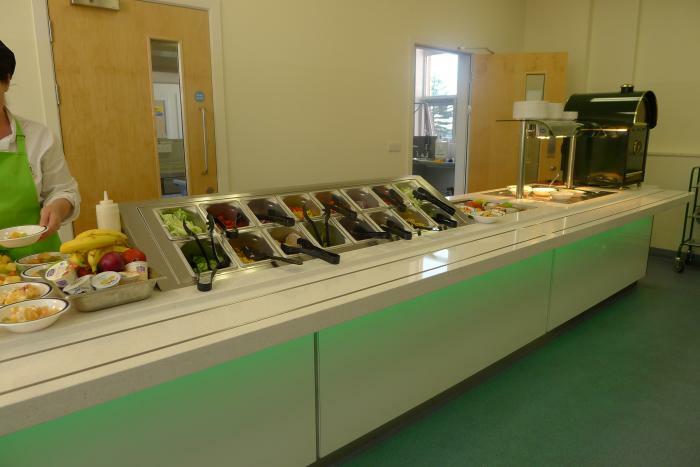 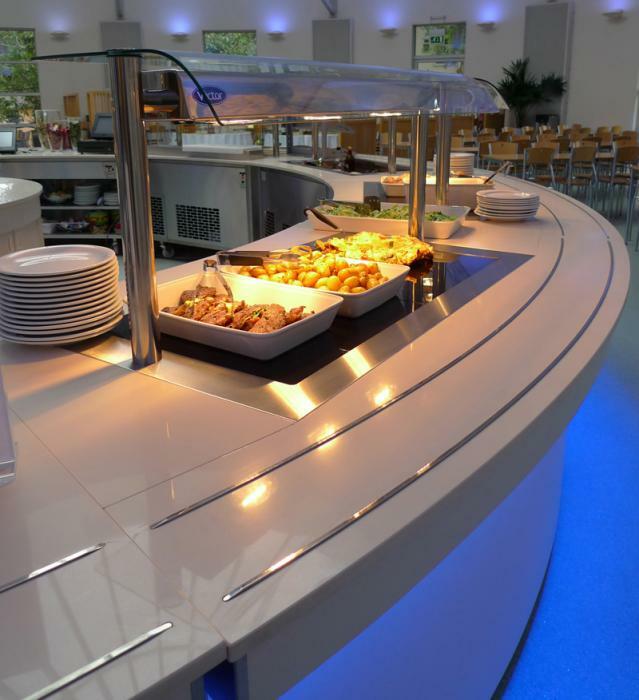 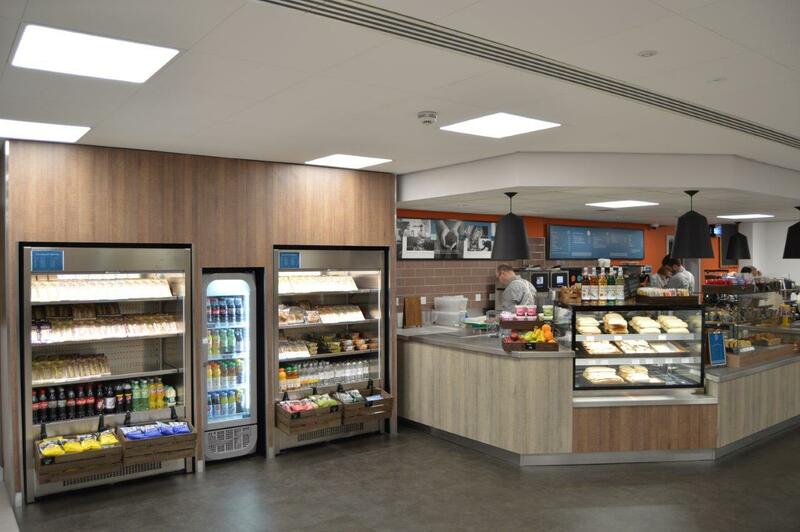 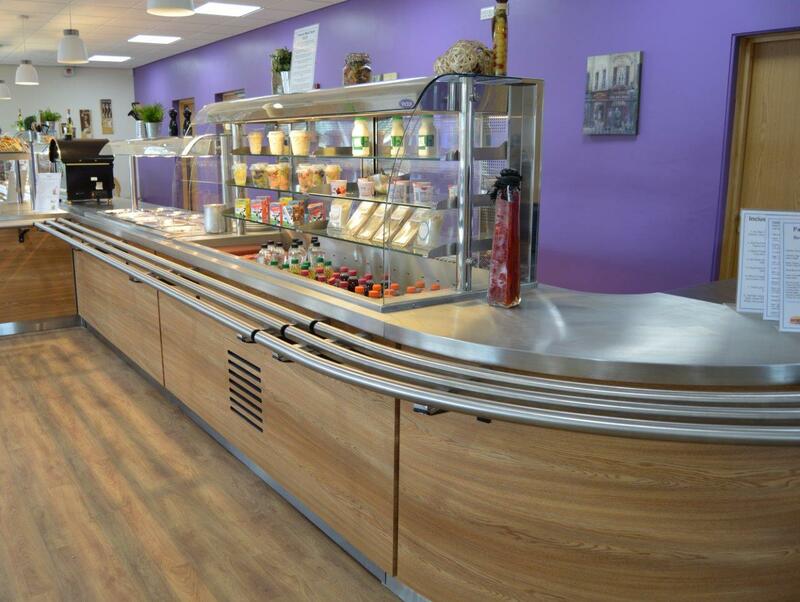 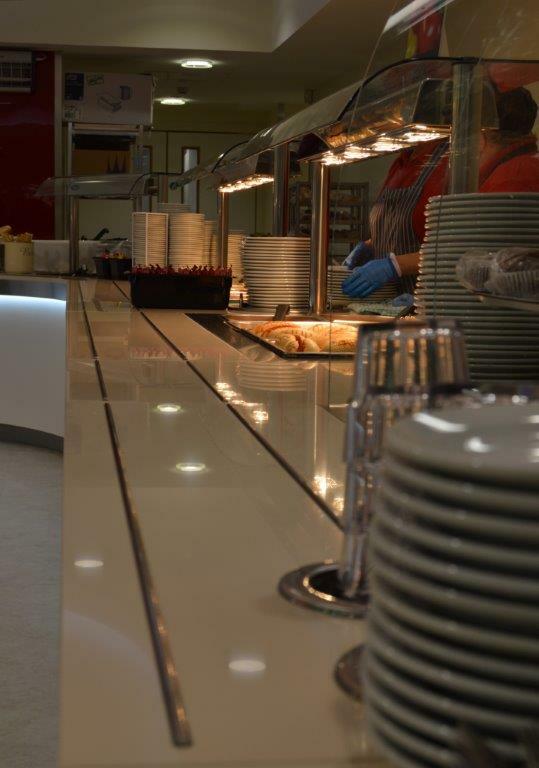 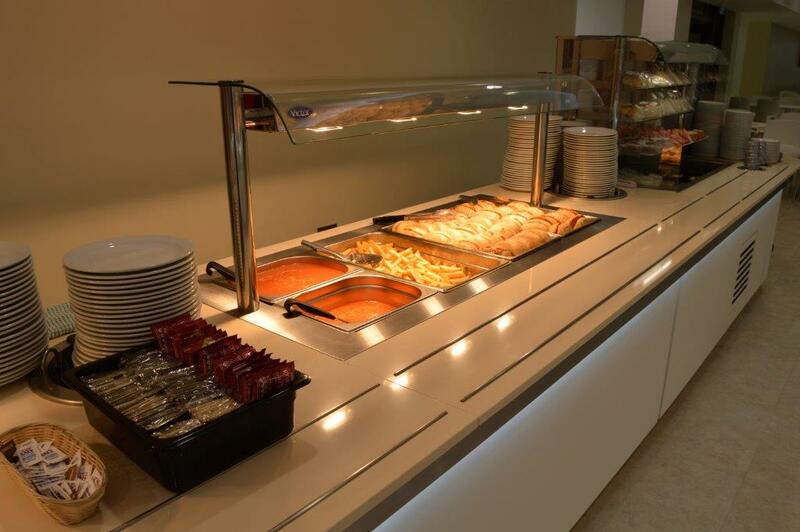 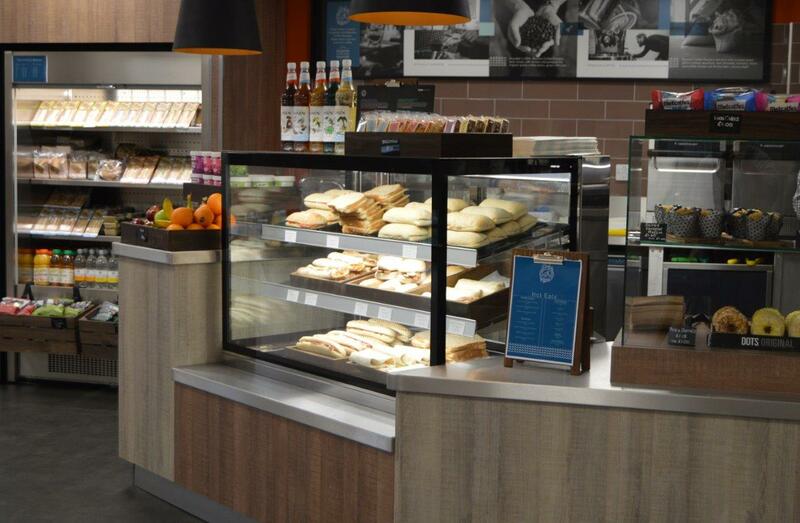 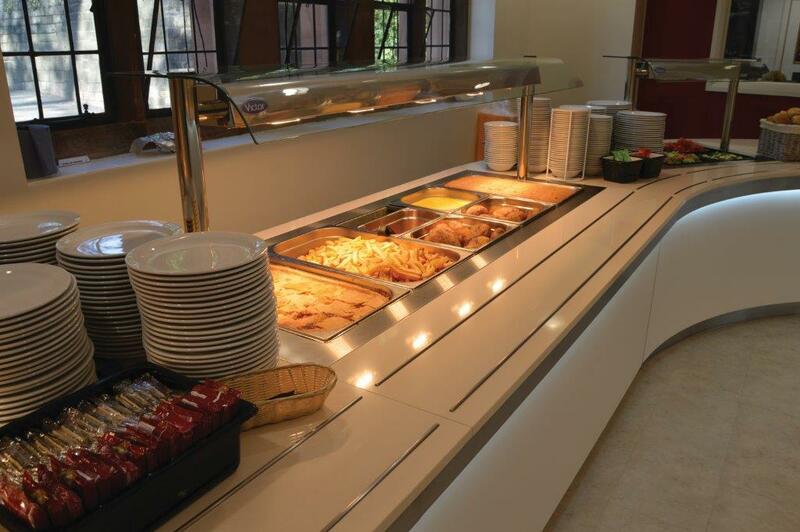 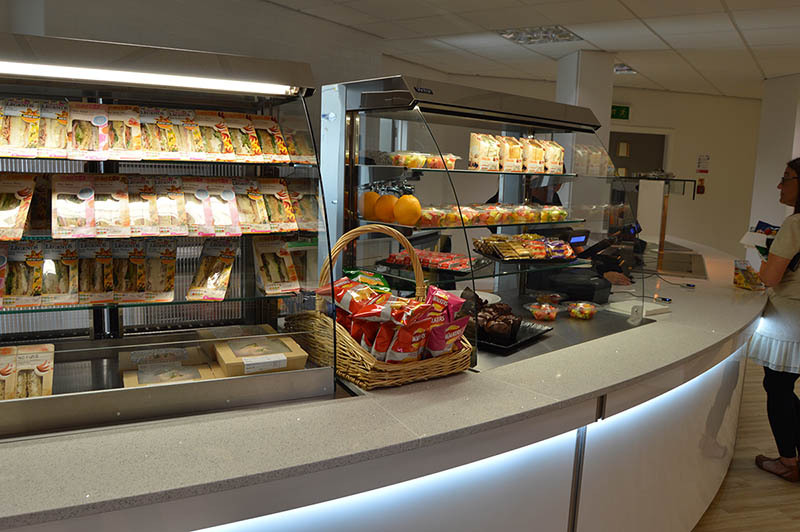 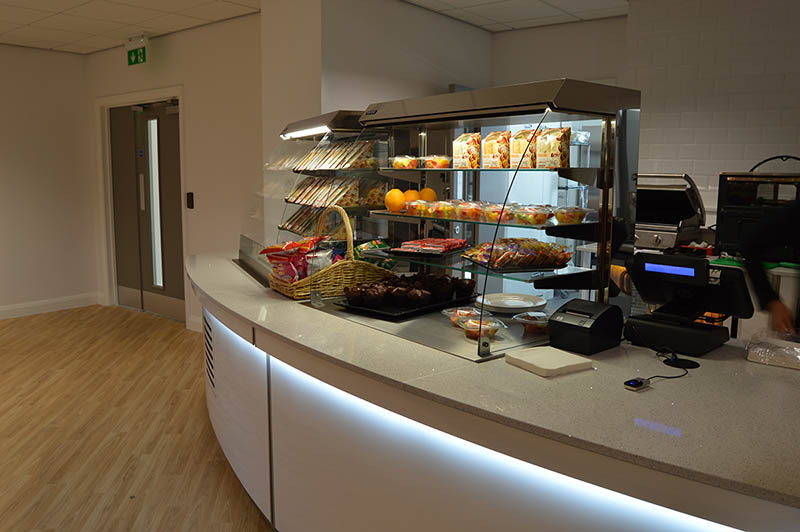 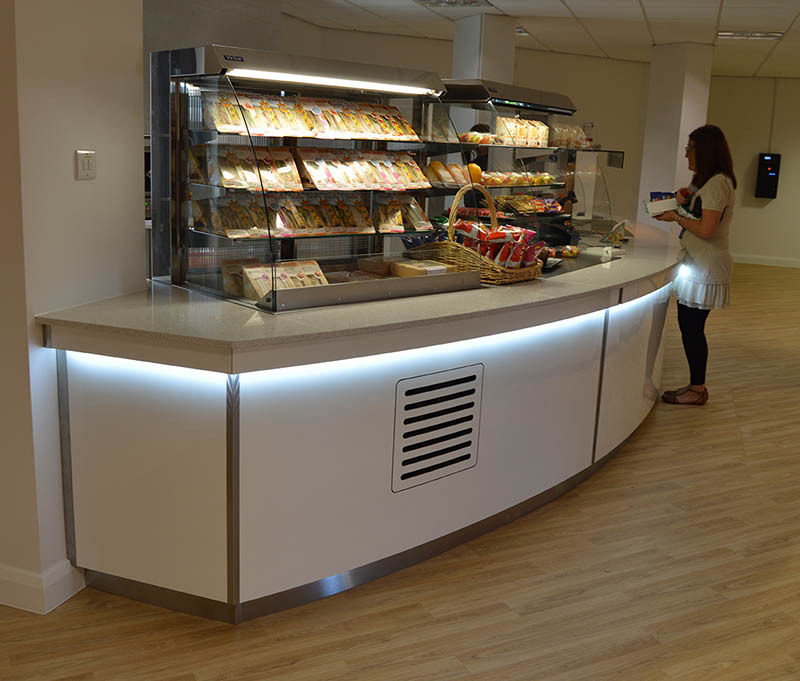 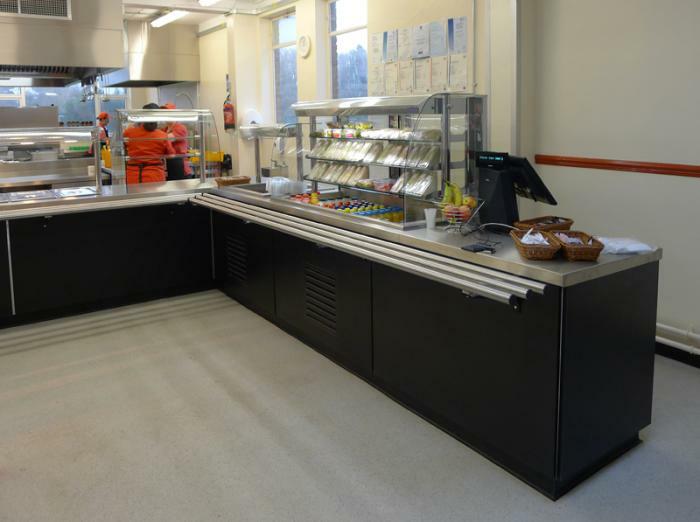 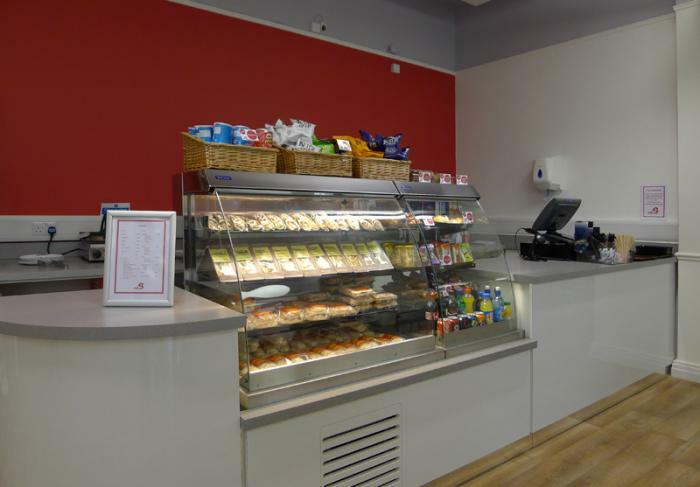 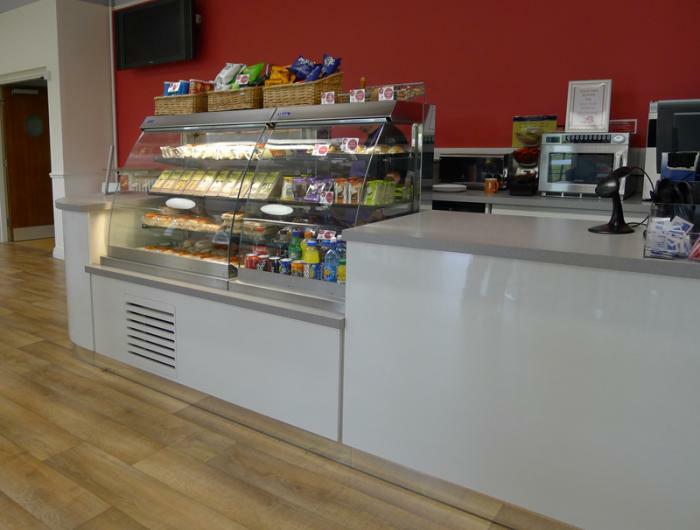 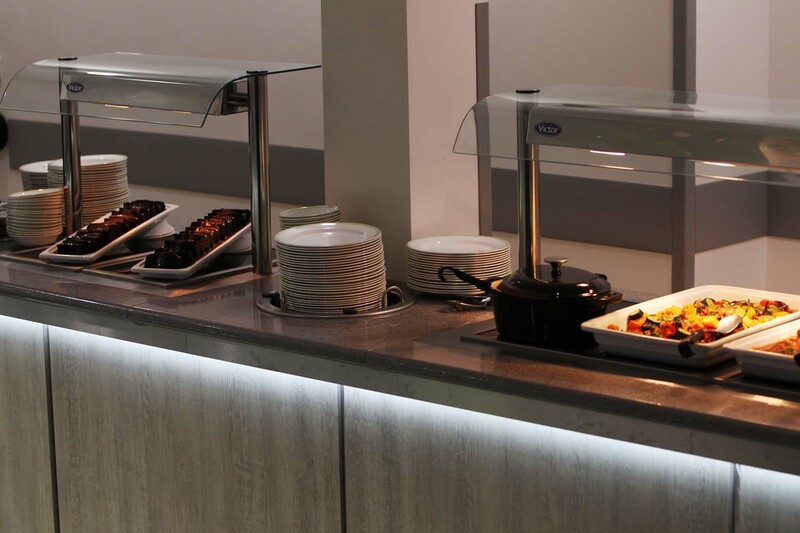 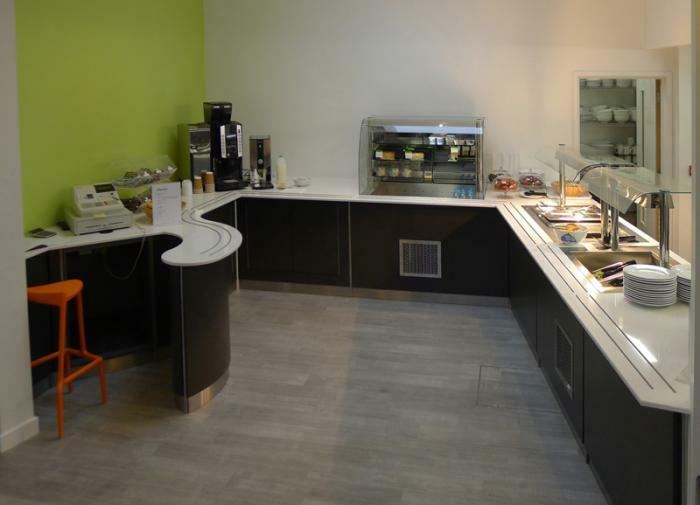 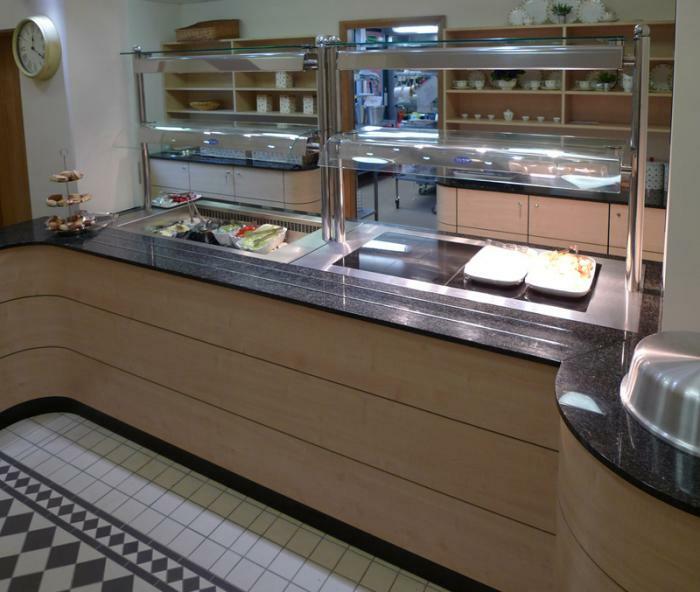 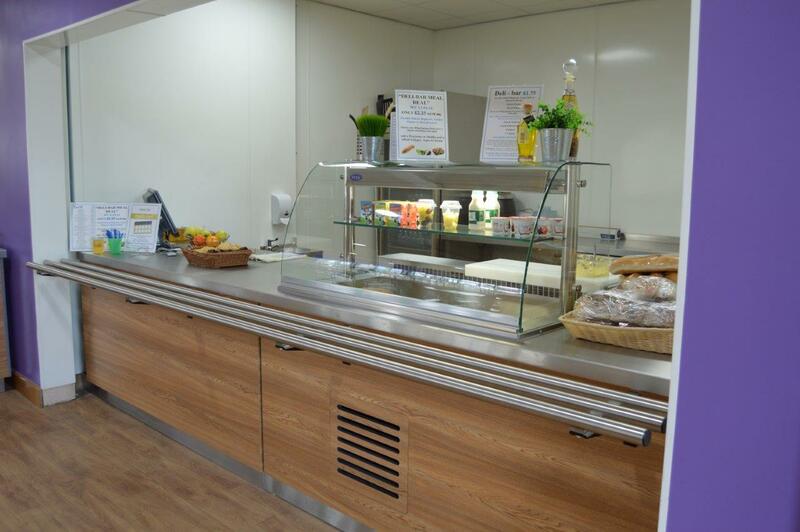 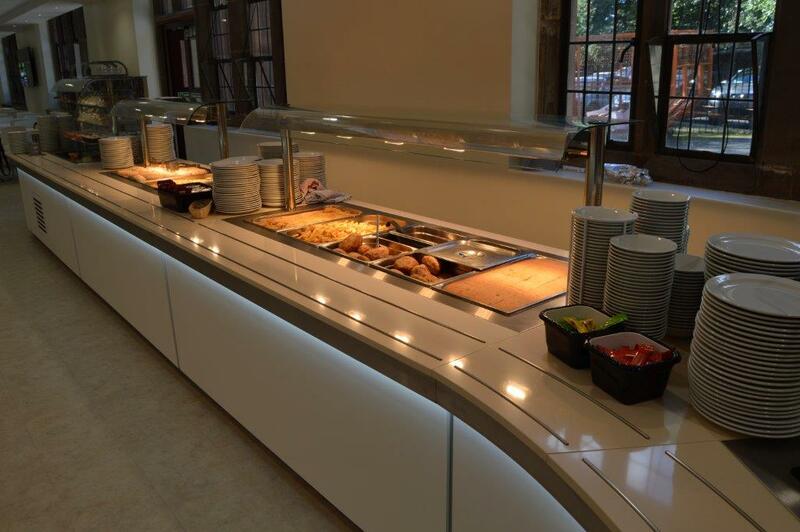 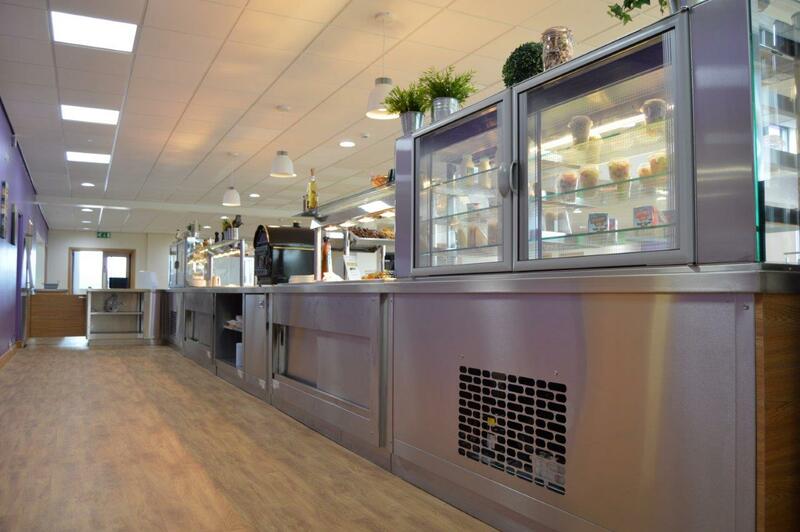 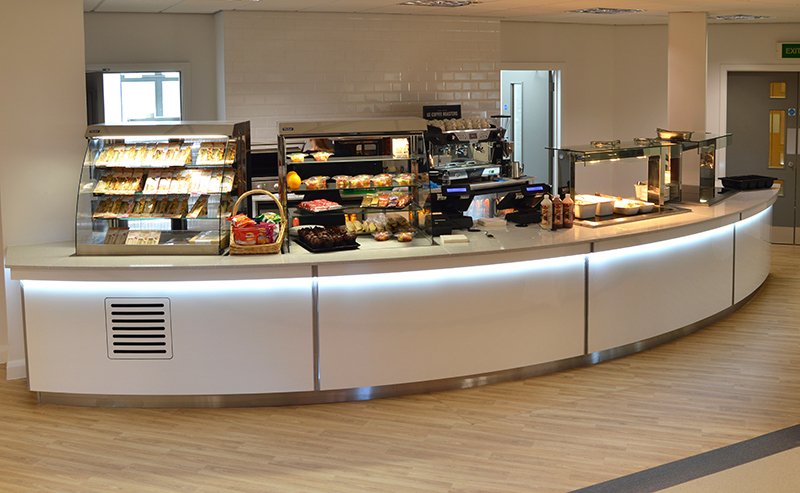 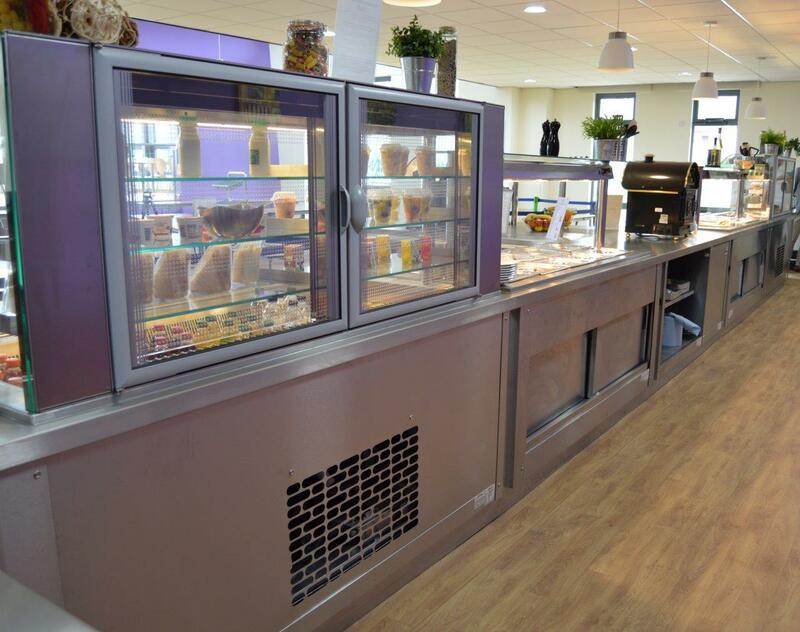 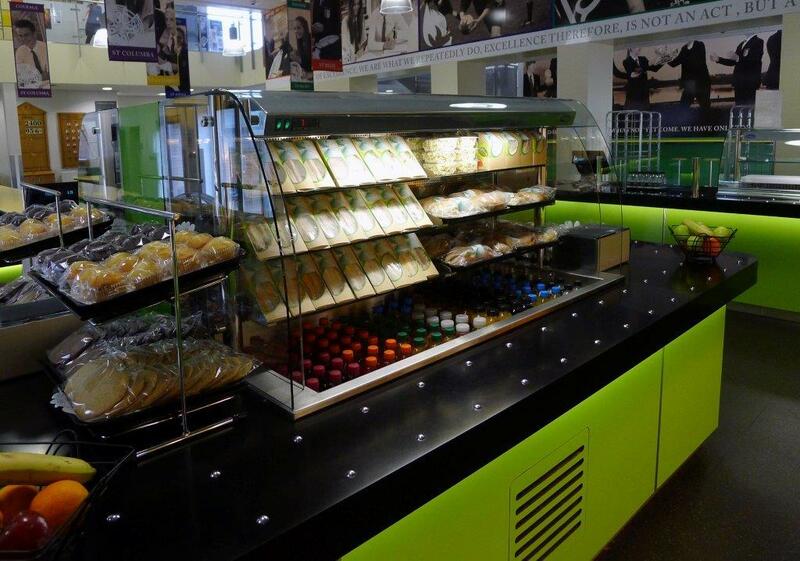 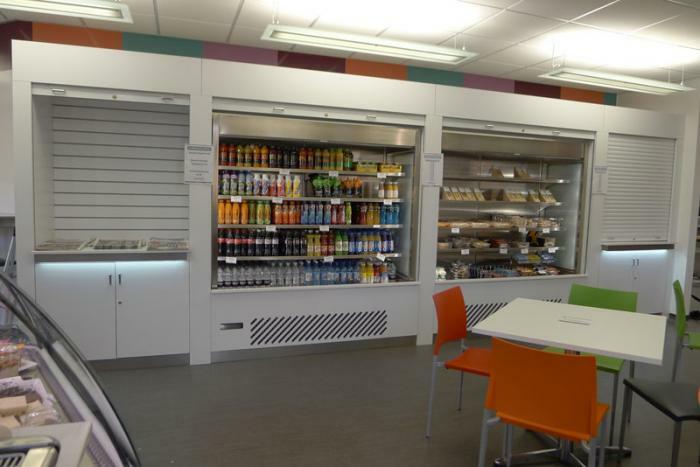 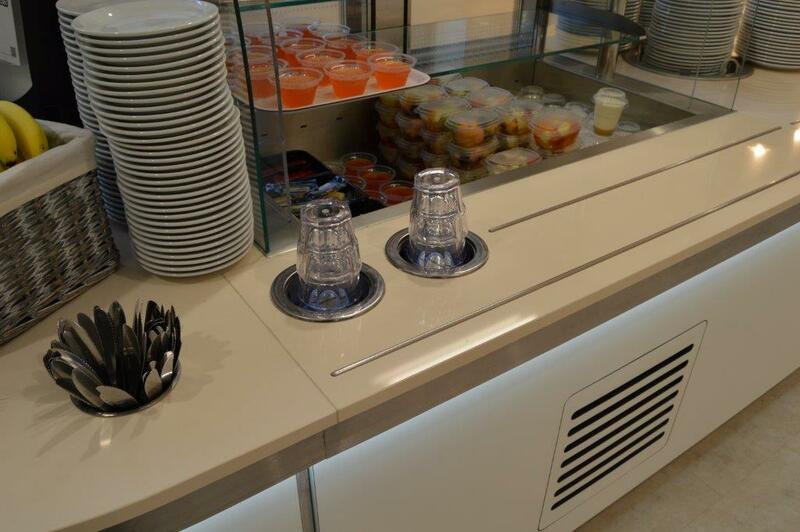 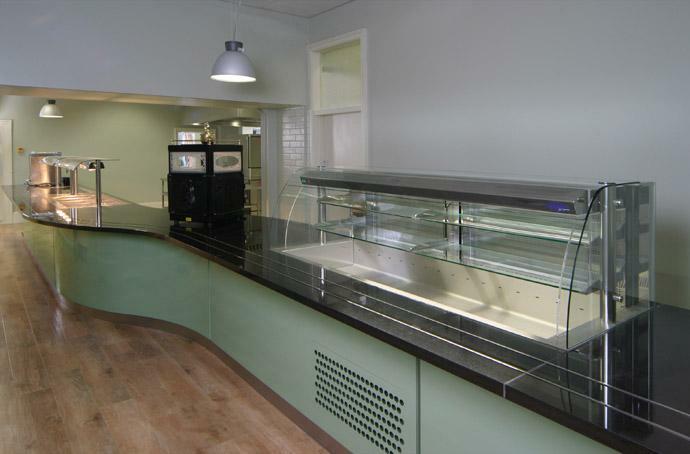 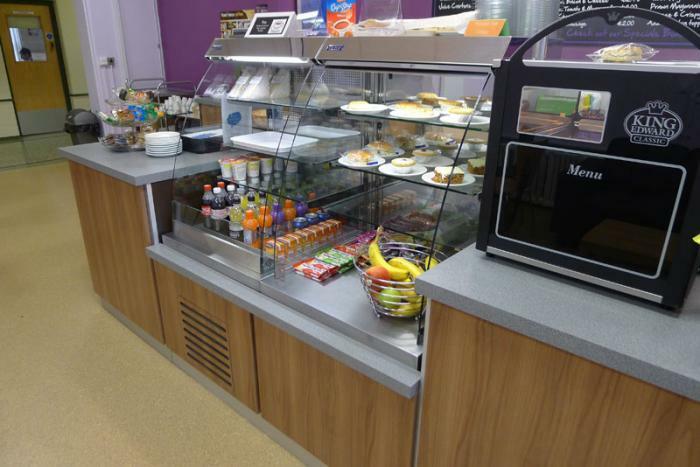 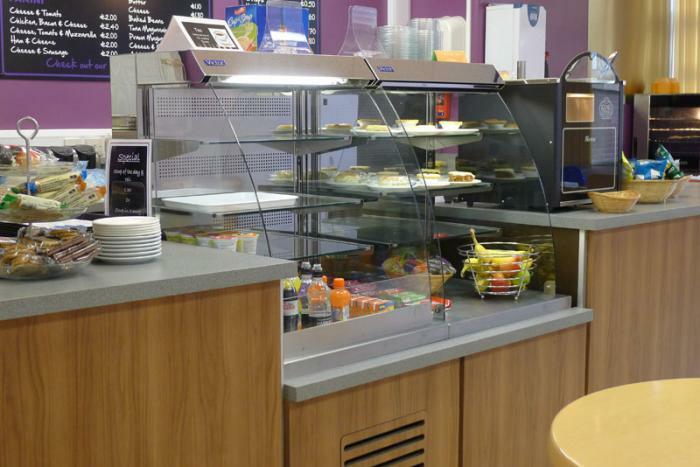 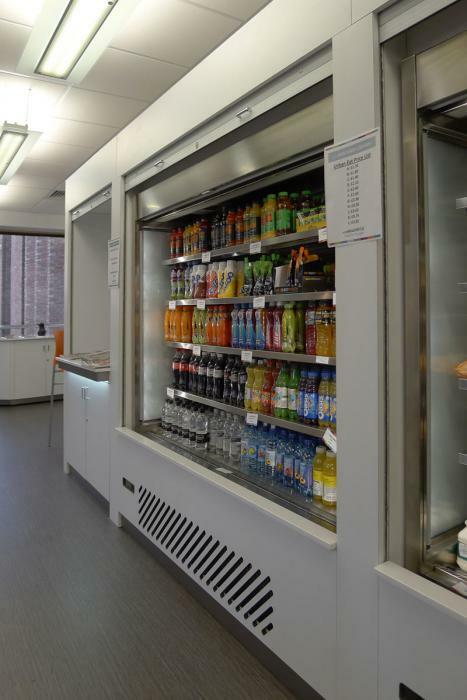 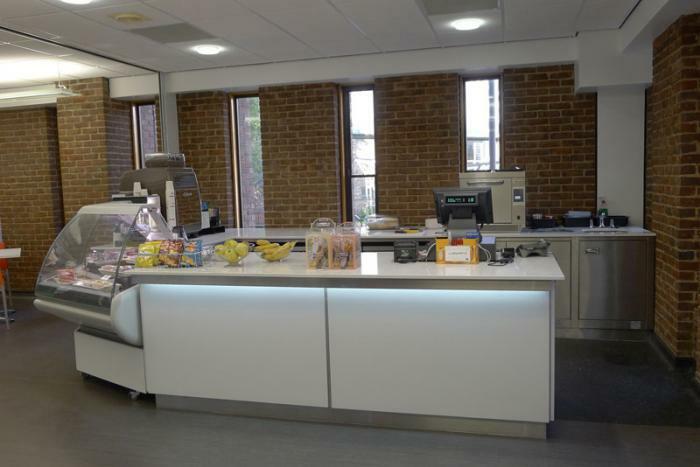 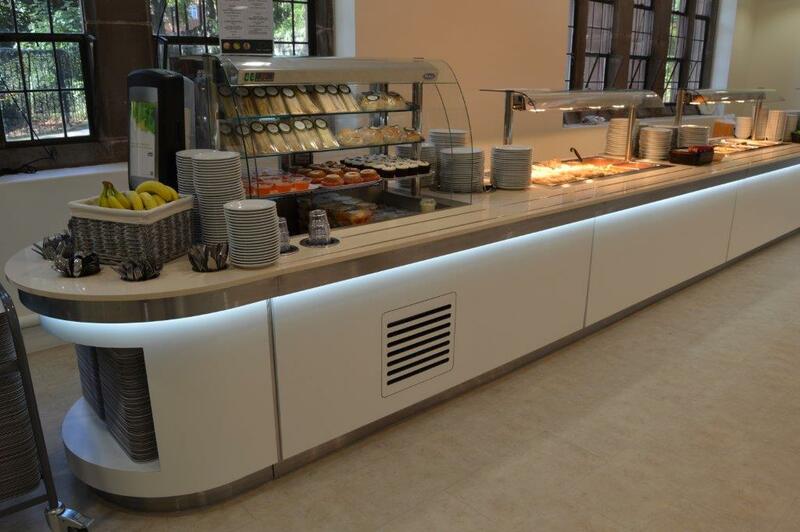 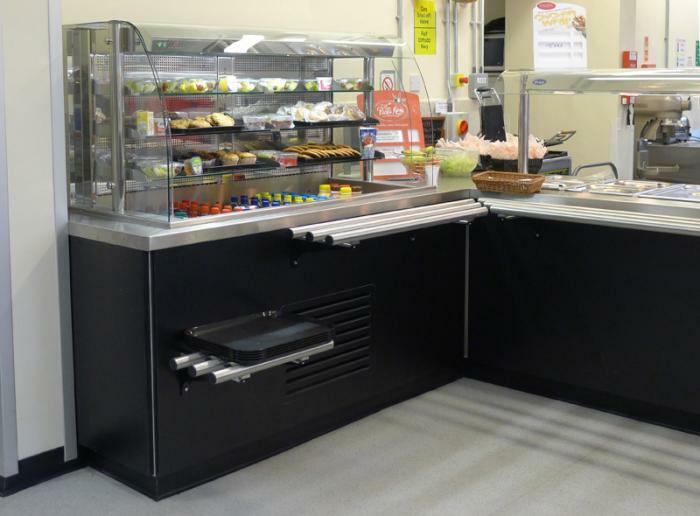 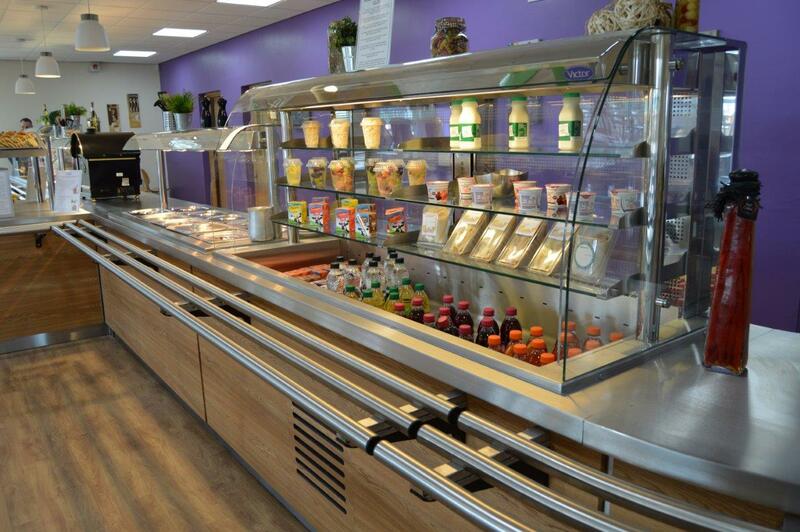 Compact Servery counter with Shaped Silestone top inlaid trayslide runners, till section, Refrigerated Multi-tier, Heated Bains Marie and refrigerated well. 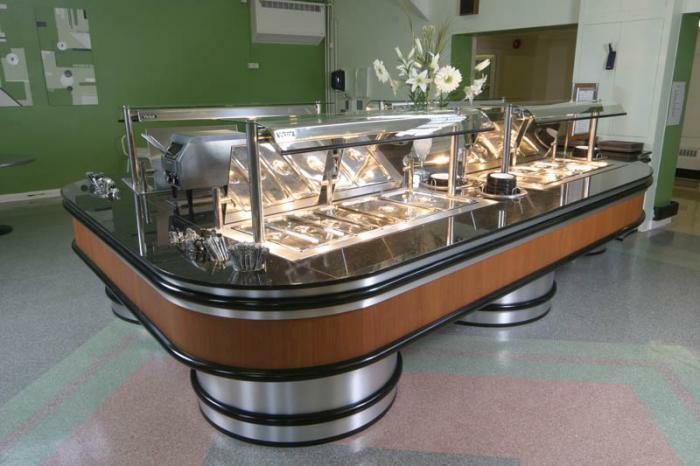 Victor’s counter is in three sections, a hot counter for main courses, a theatre area featuring hot and cold units and a beverage and soup section, and finally, a centrally-sited refrigerated section housing the salad bar. 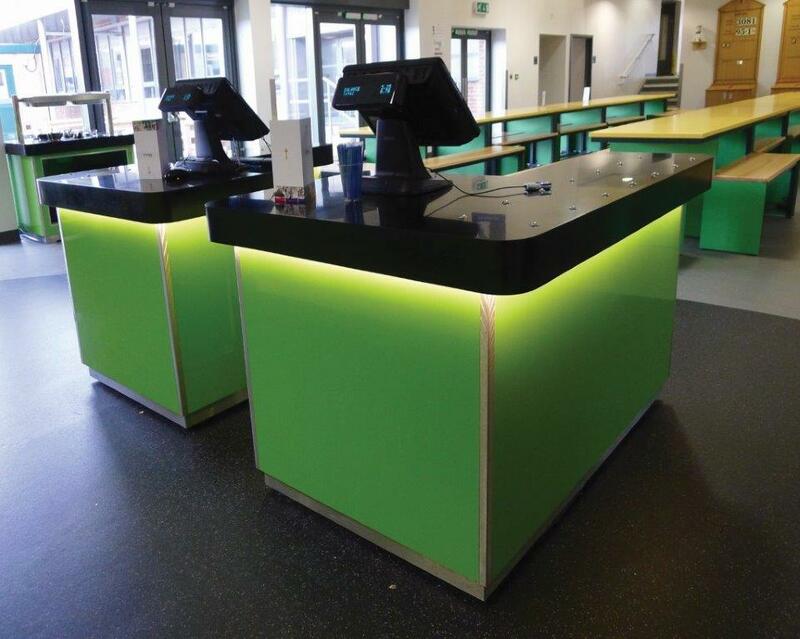 The counter is topped in stunning German green slate, with brushed aluminium frontage highlighted with black shadow gaps and kick plinths. 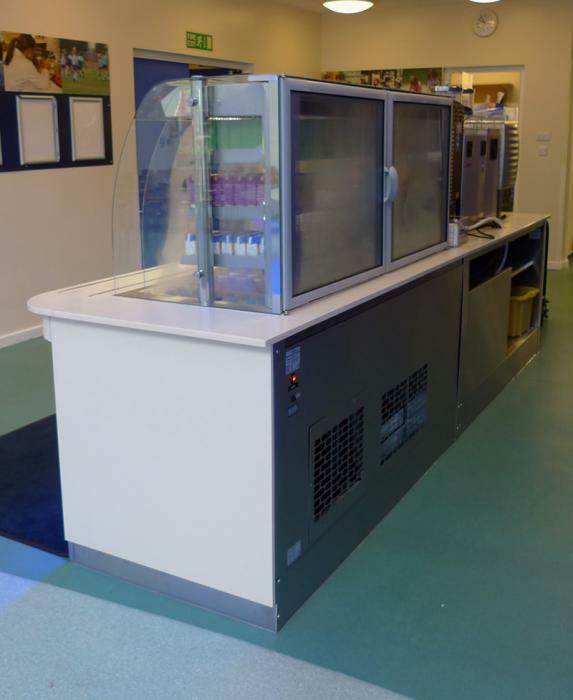 Two identical hot counter runs and one refrigerated counter were ordered with very specific criteria. 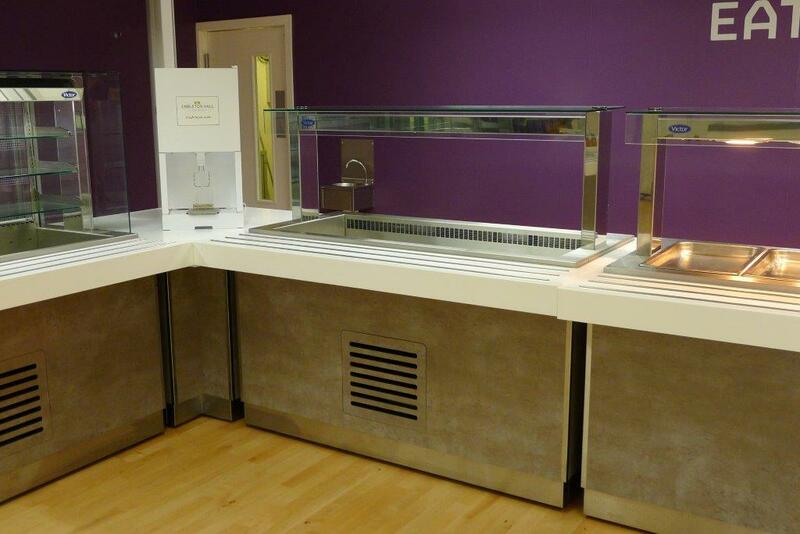 The counters needed to be student friendly and easily accessible. 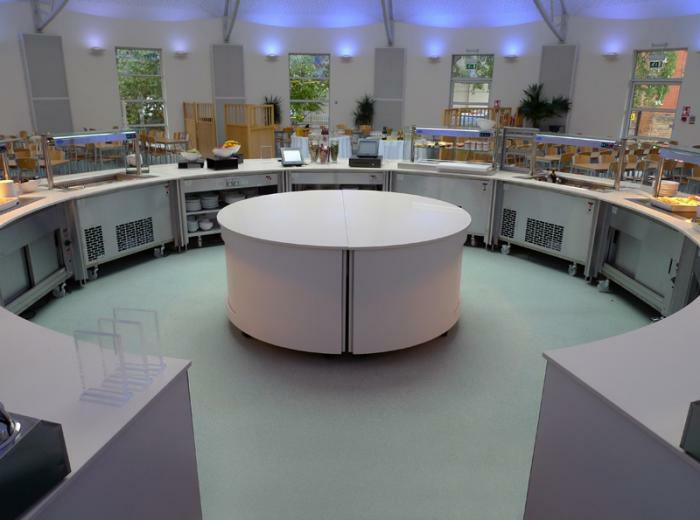 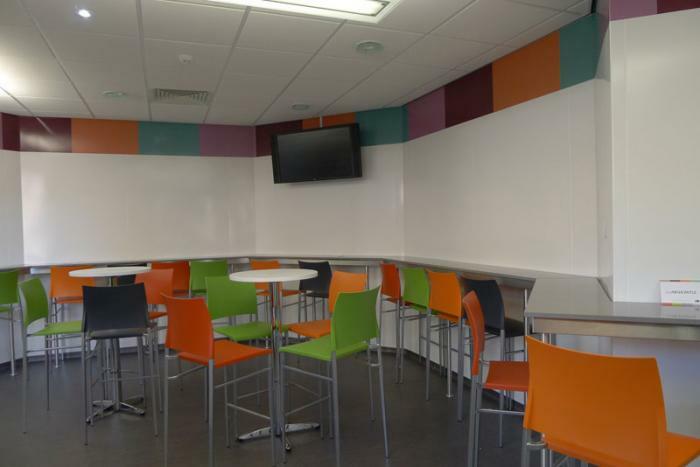 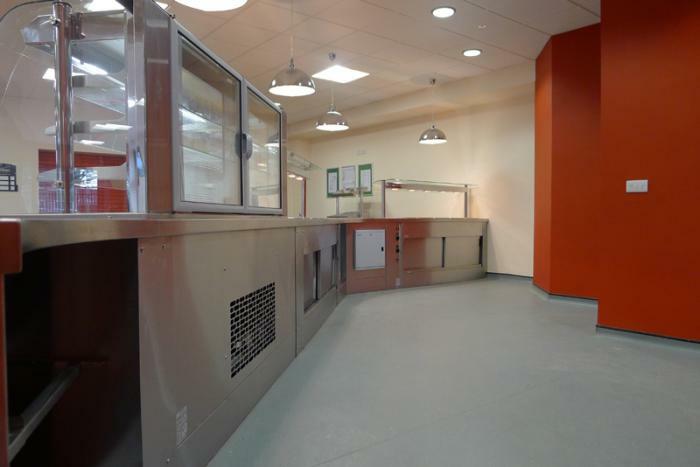 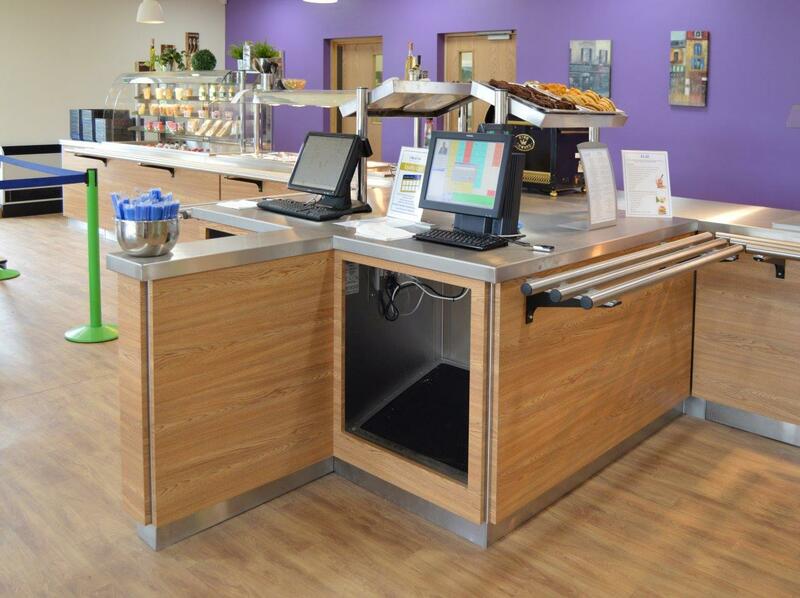 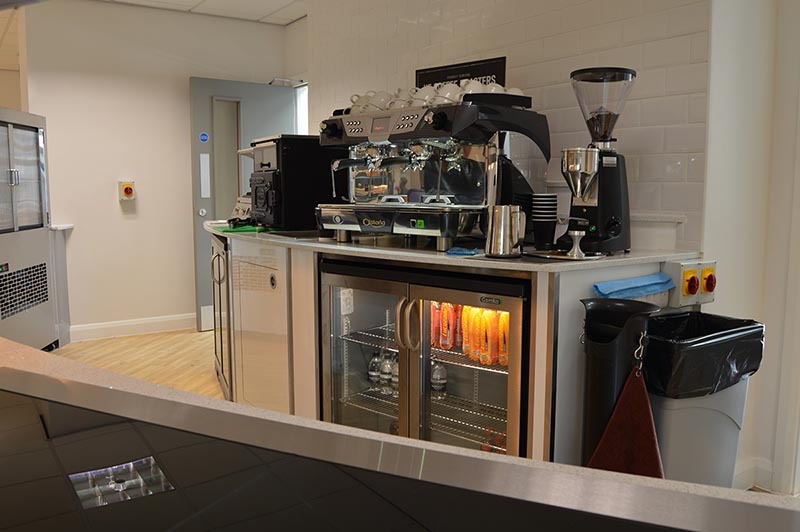 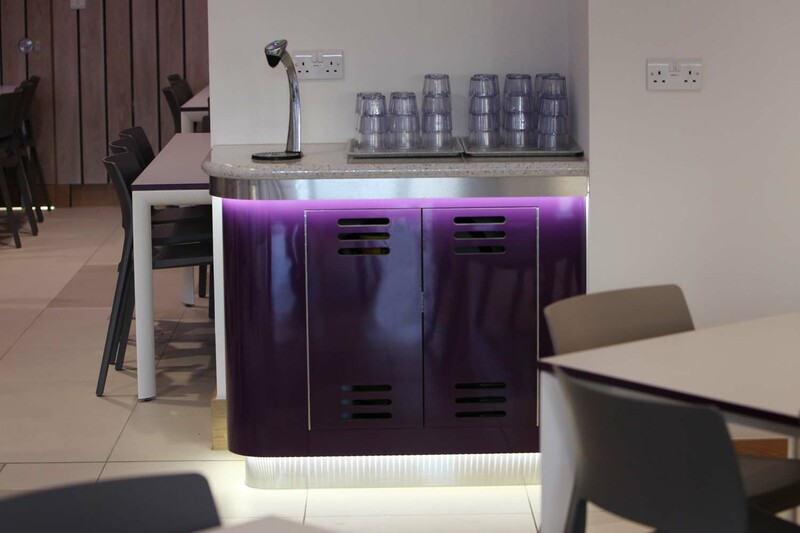 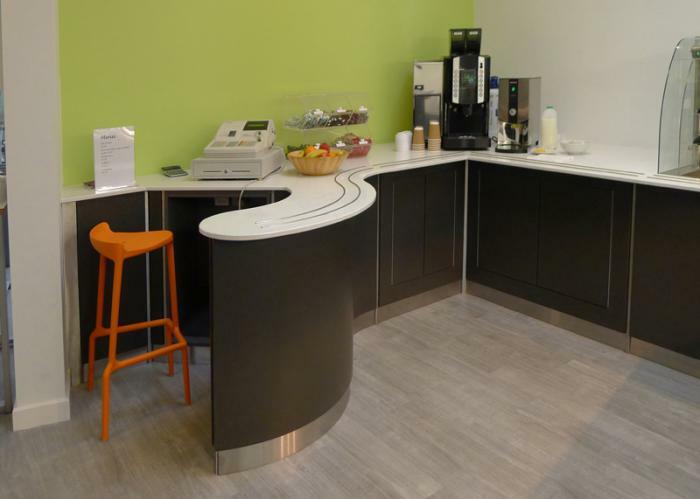 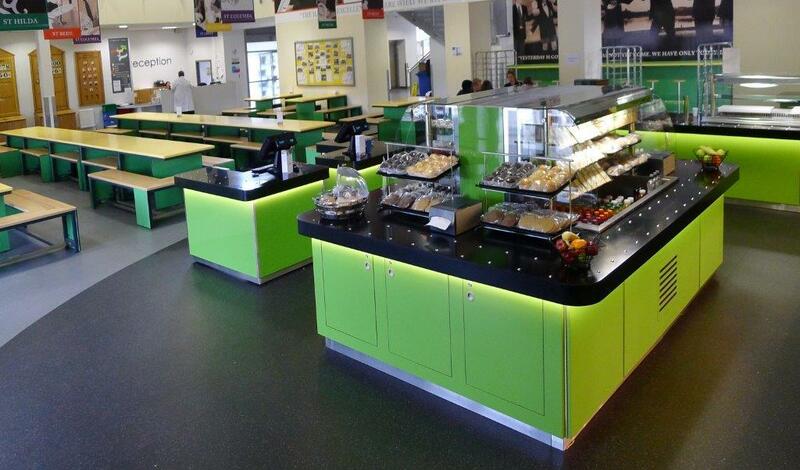 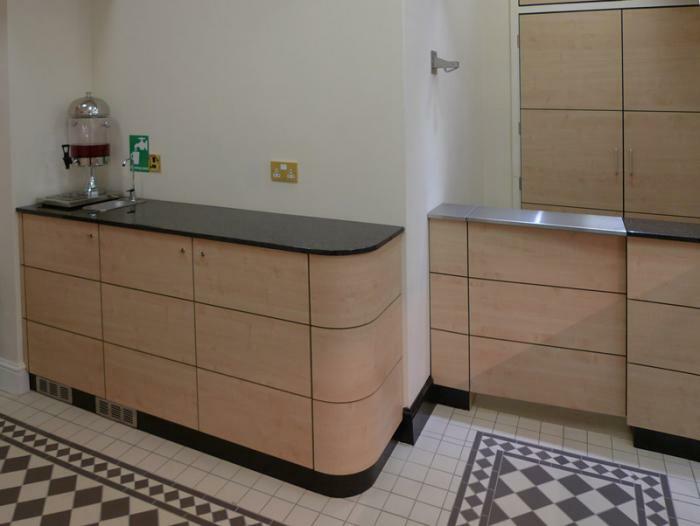 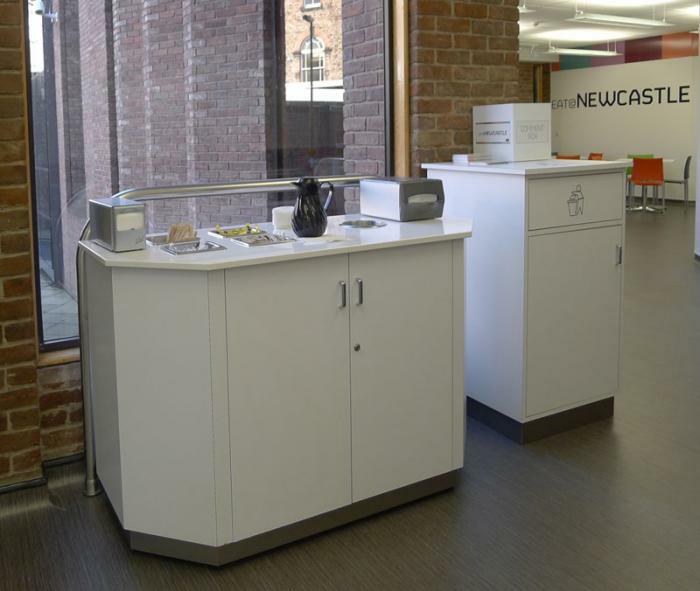 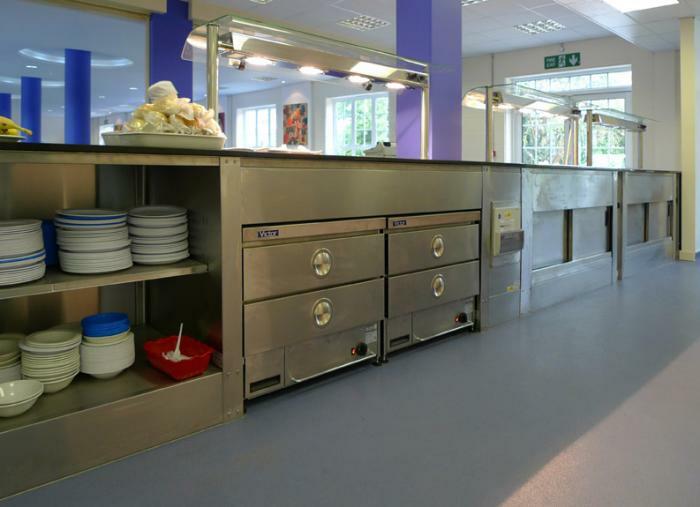 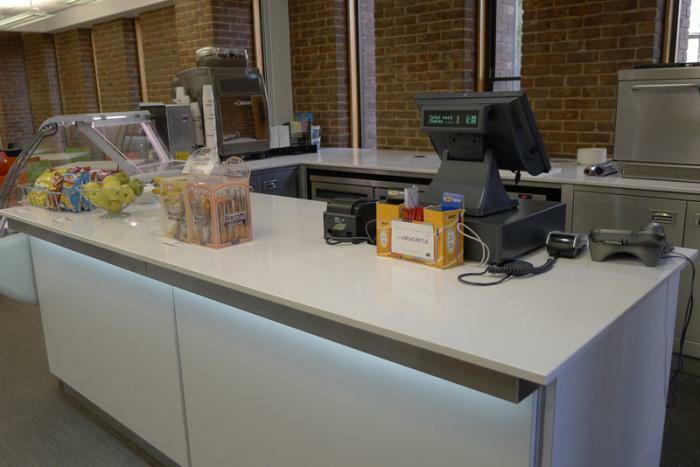 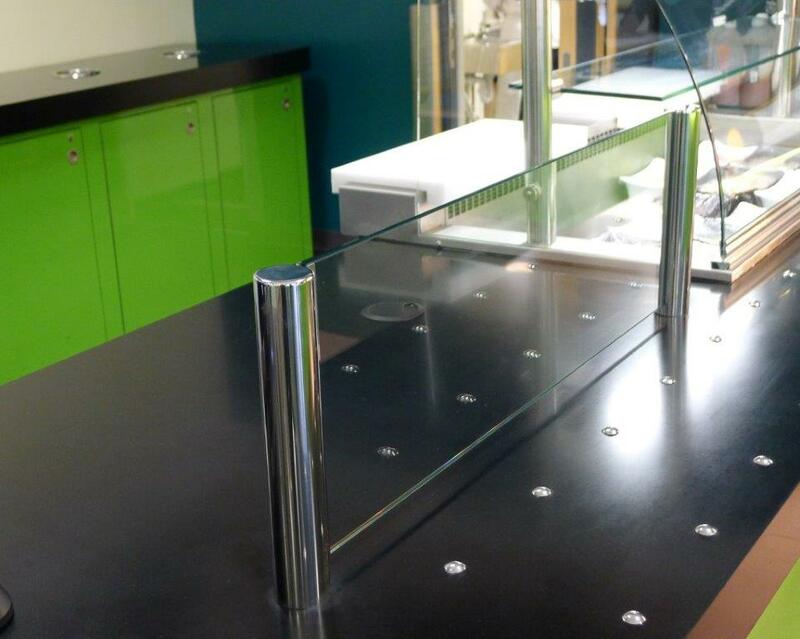 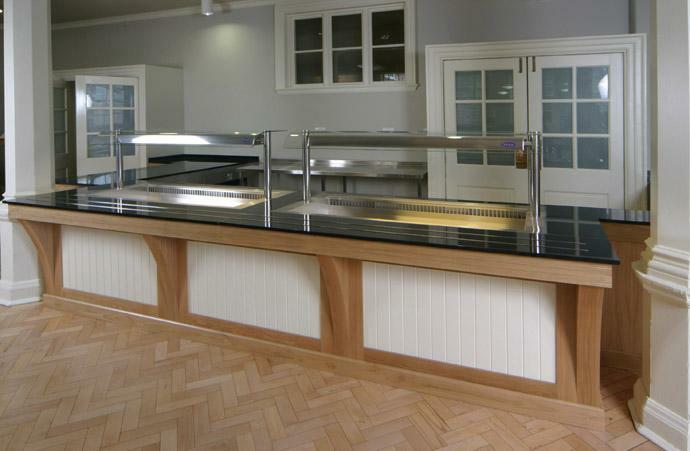 These custom counters, specially built to house the Victor Synergy inset module units – useful in maintaining cost levels, and offering the College a greater mix and choice of units and usage. 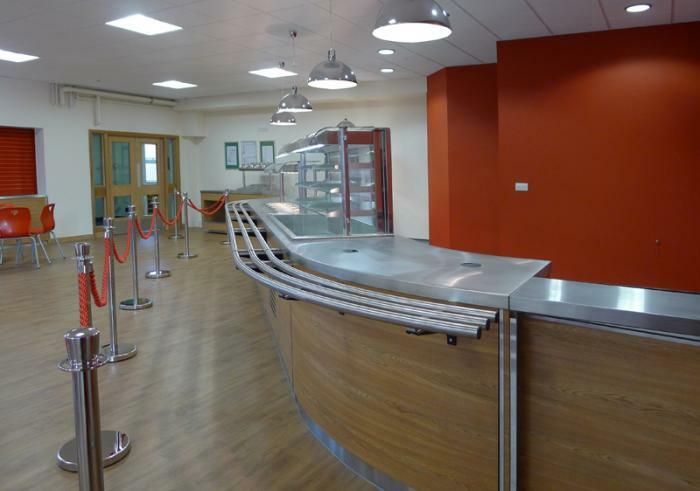 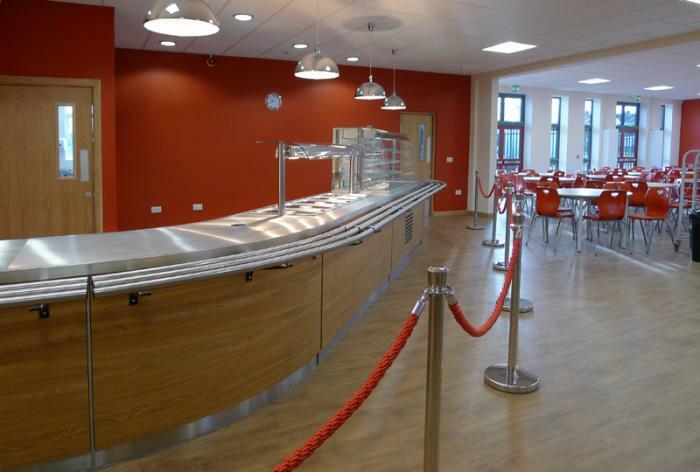 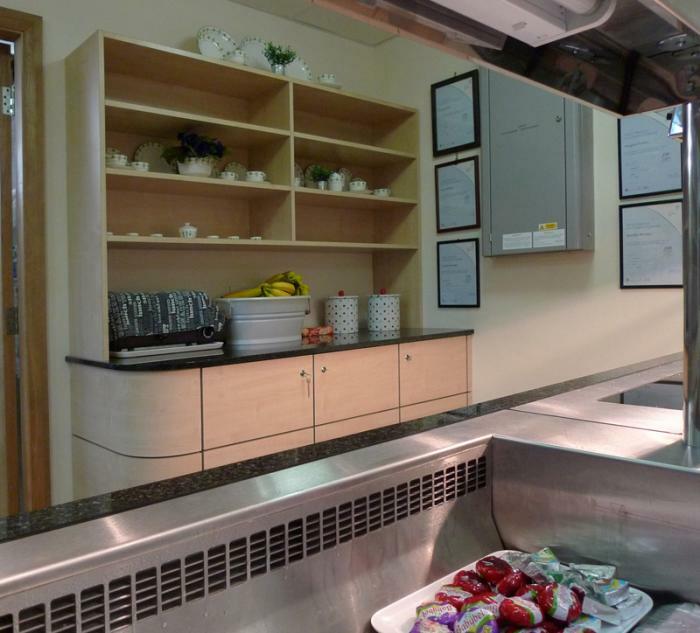 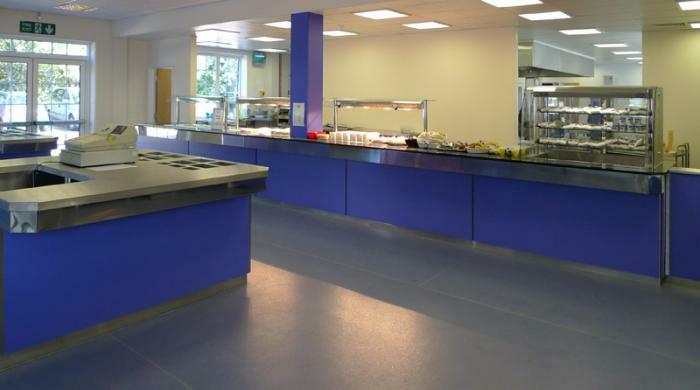 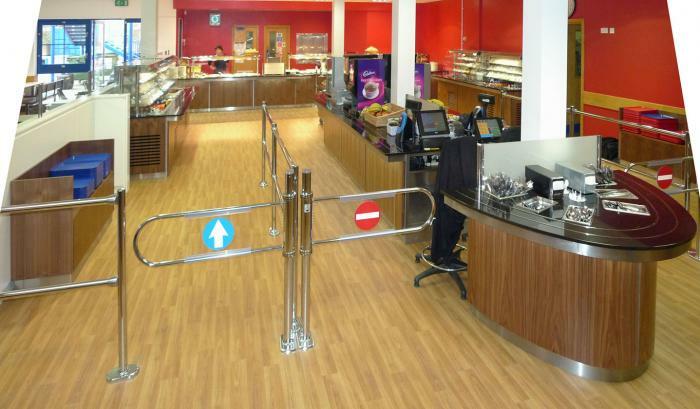 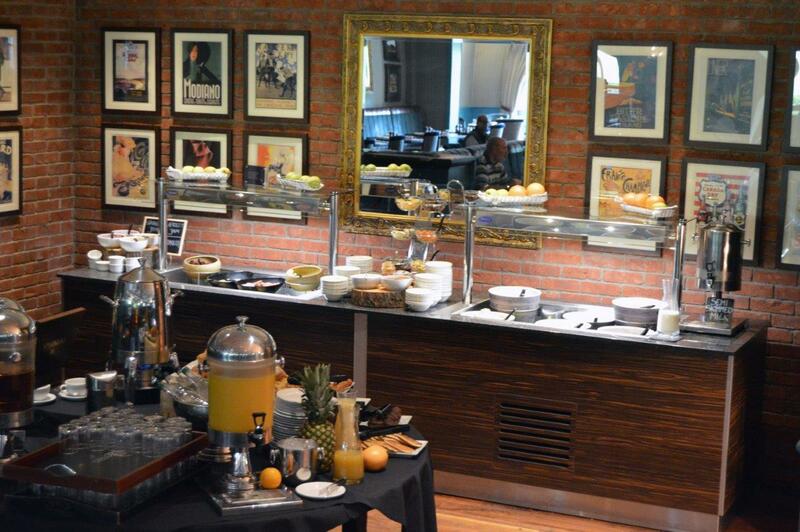 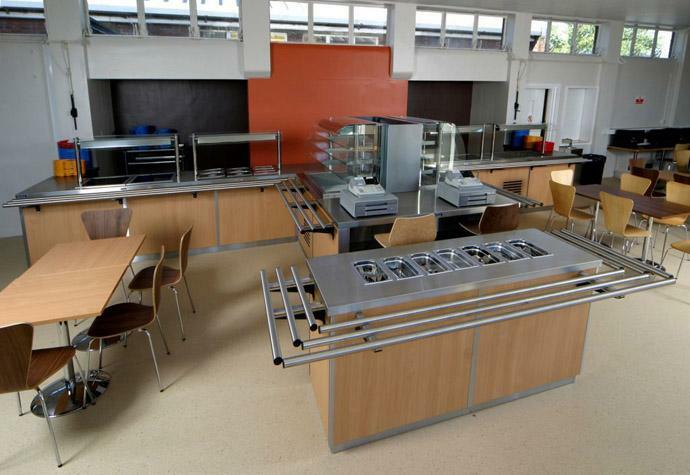 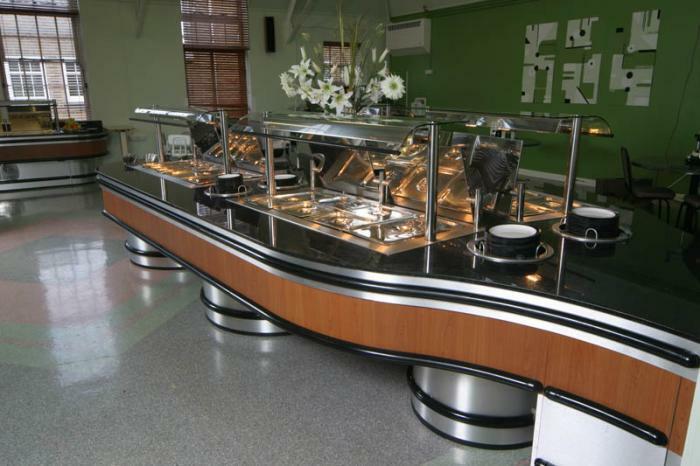 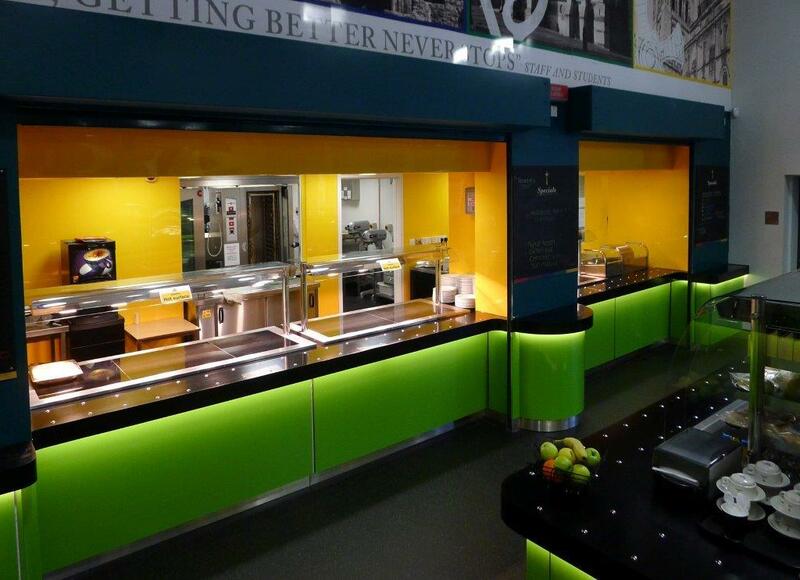 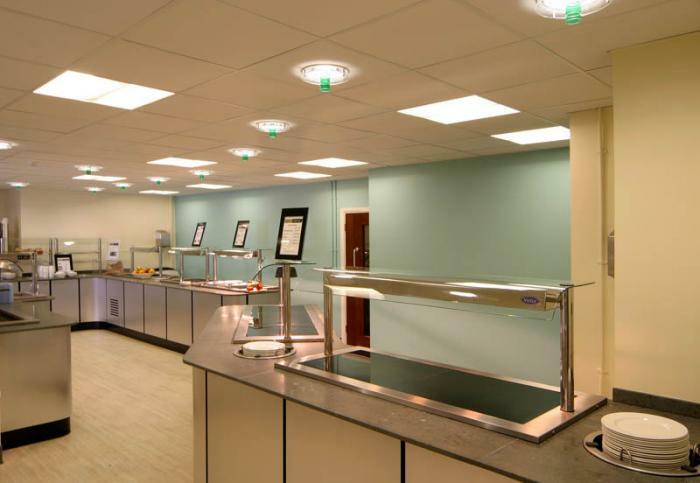 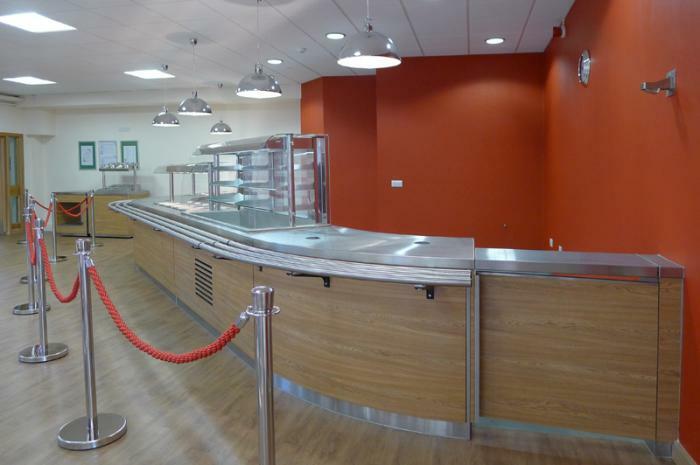 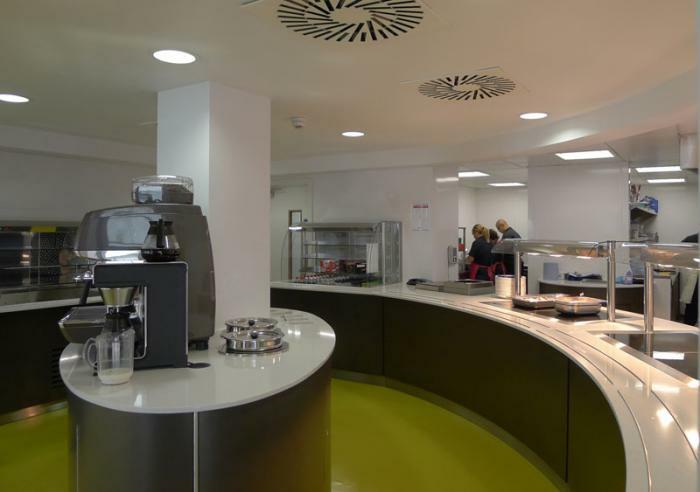 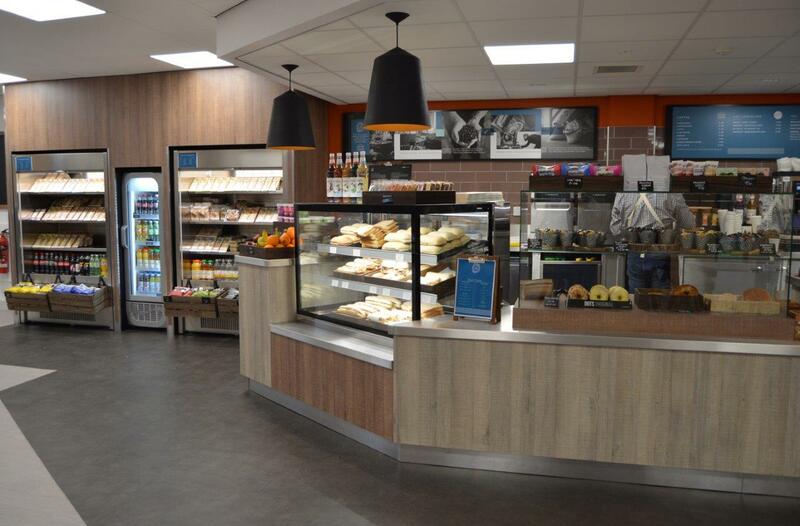 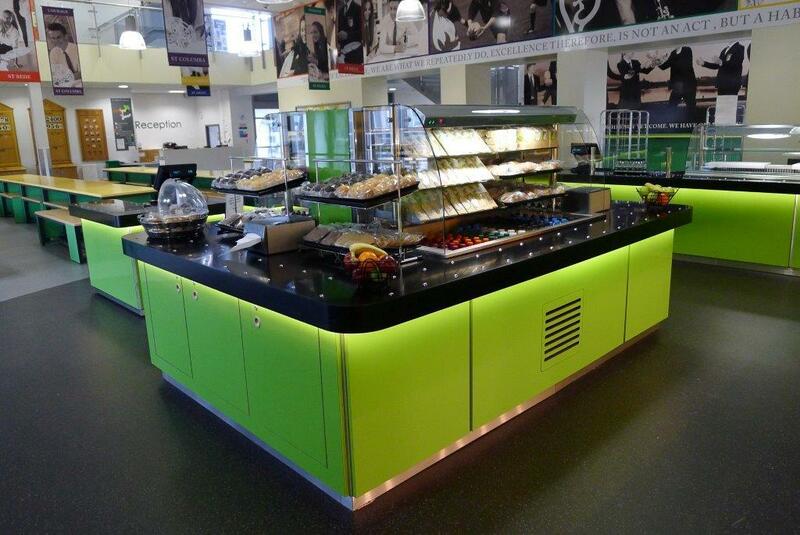 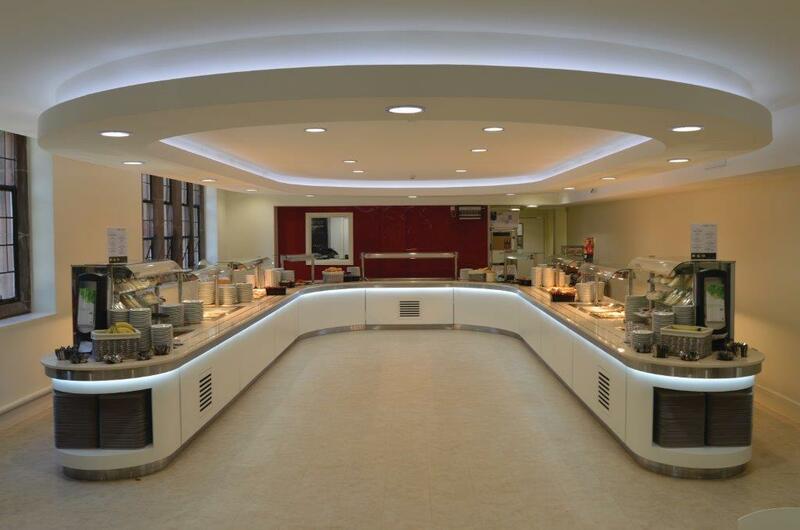 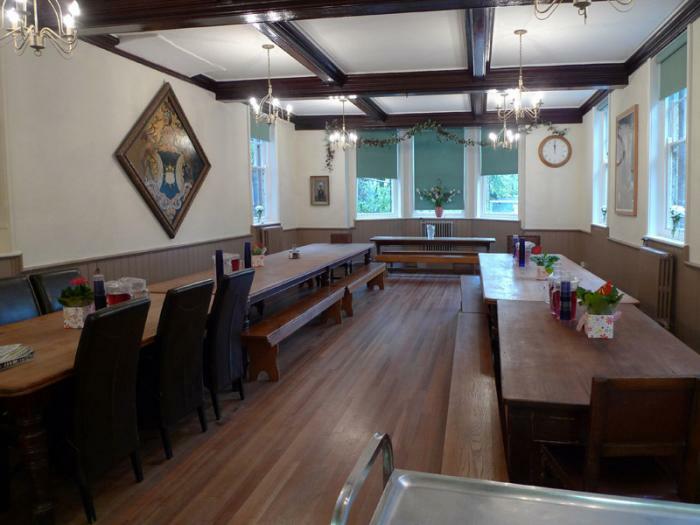 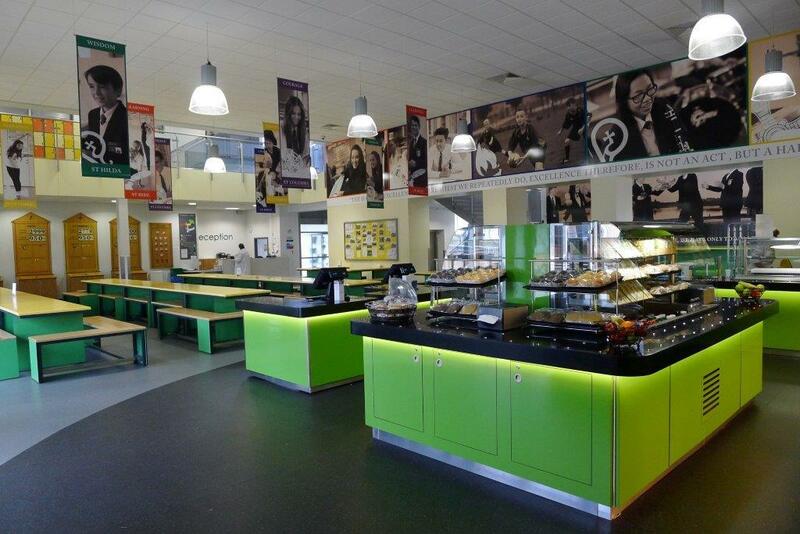 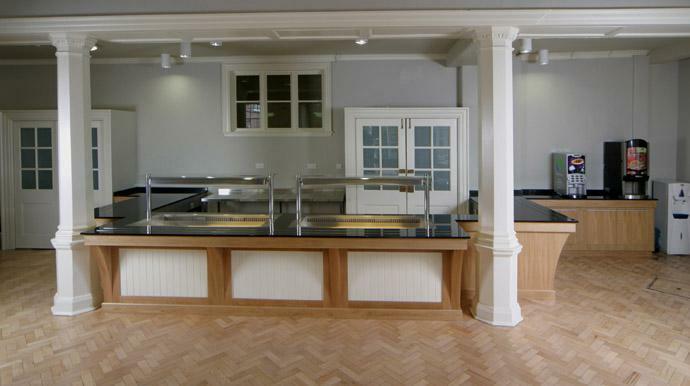 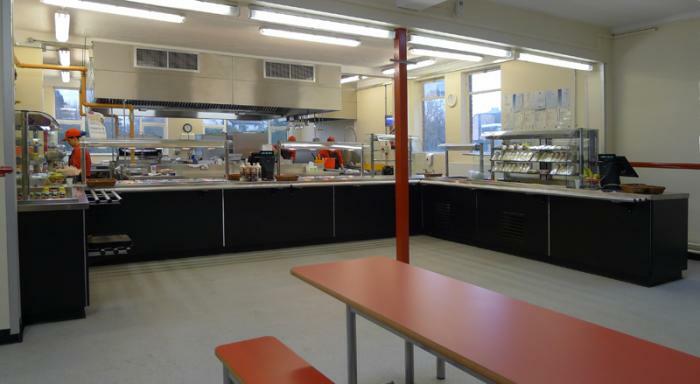 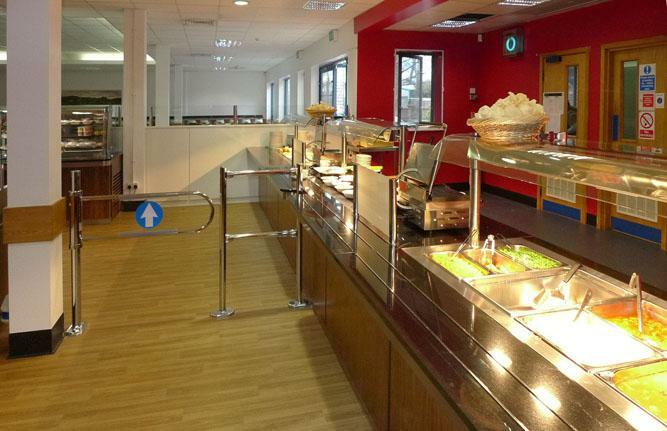 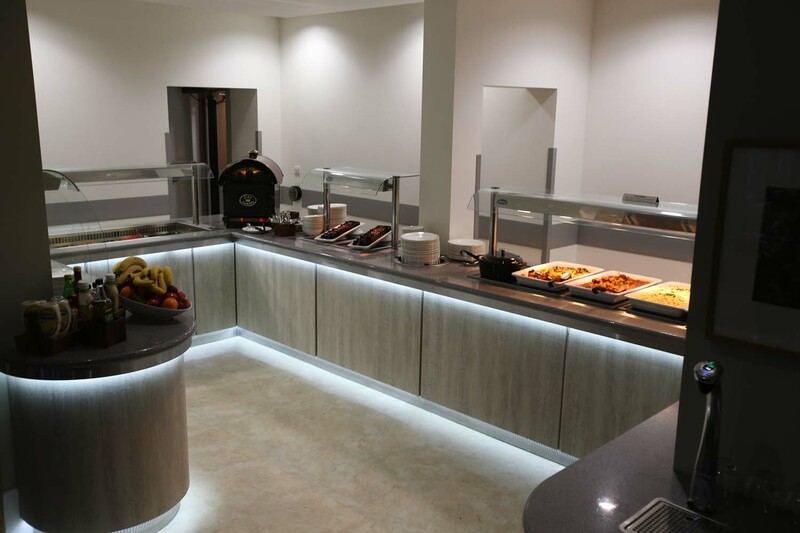 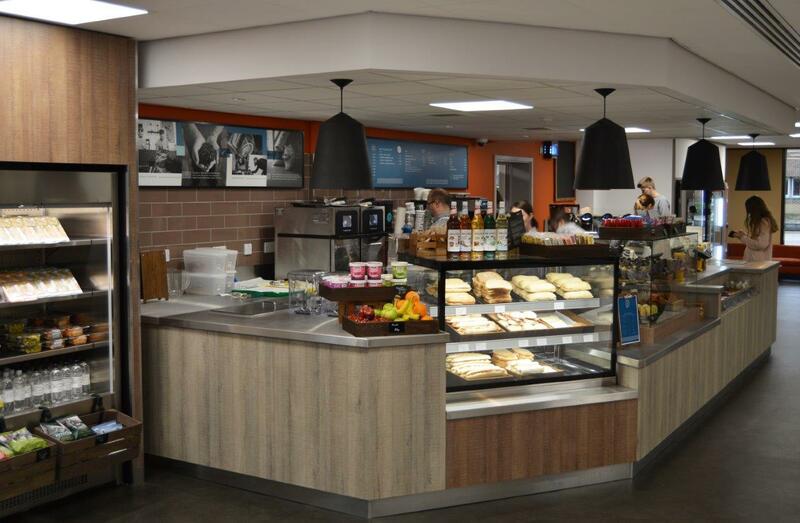 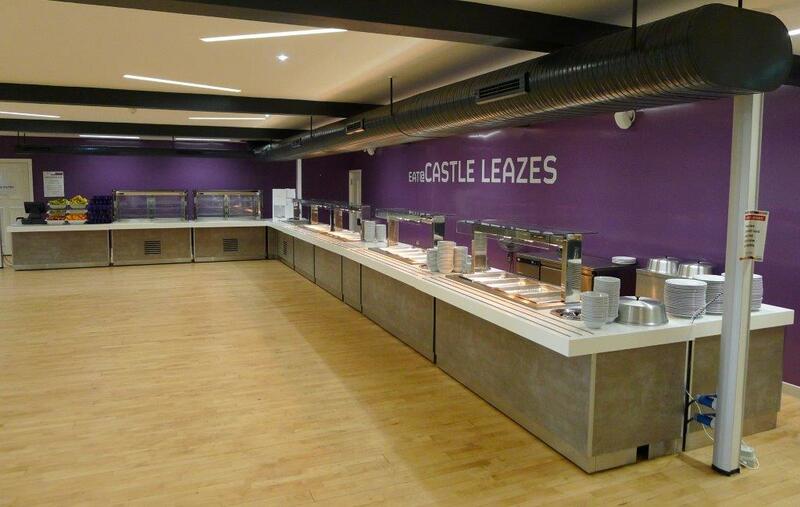 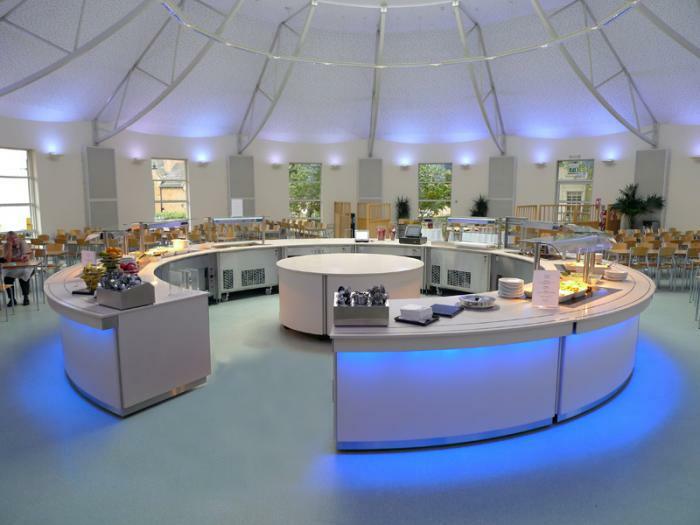 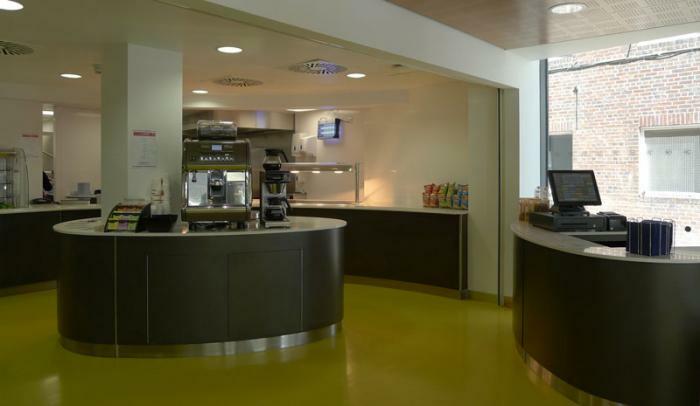 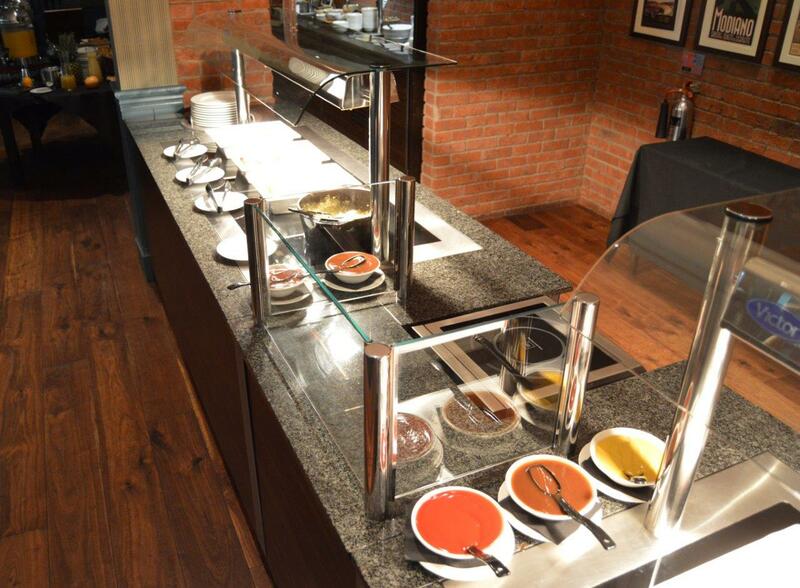 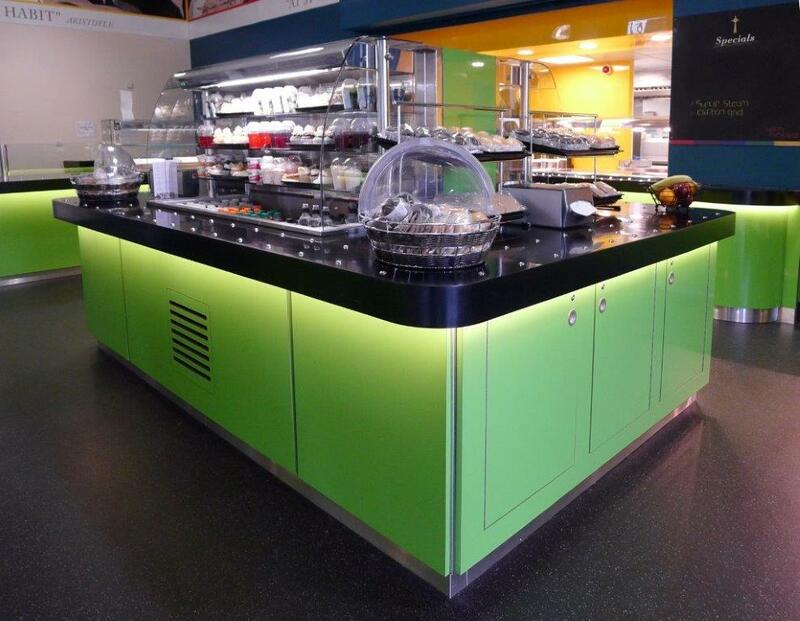 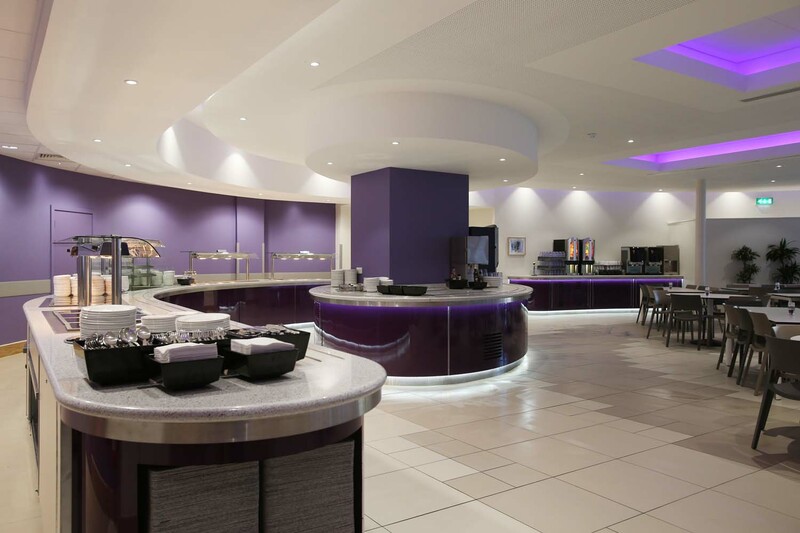 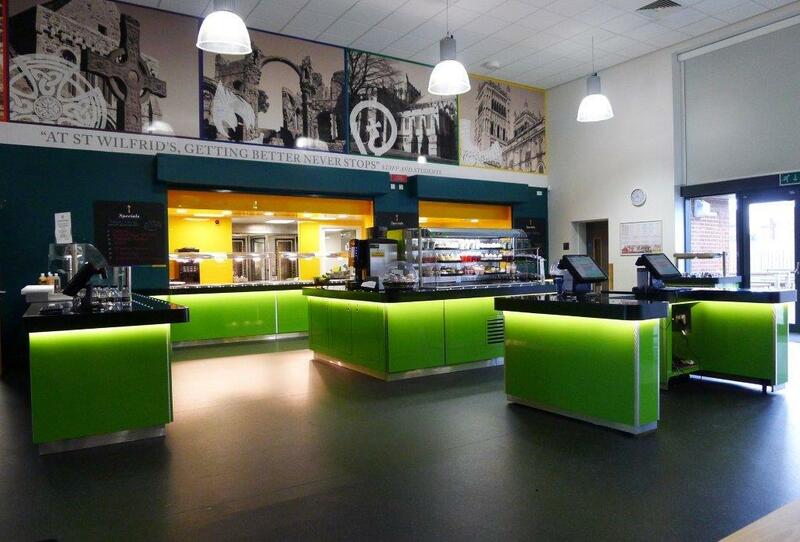 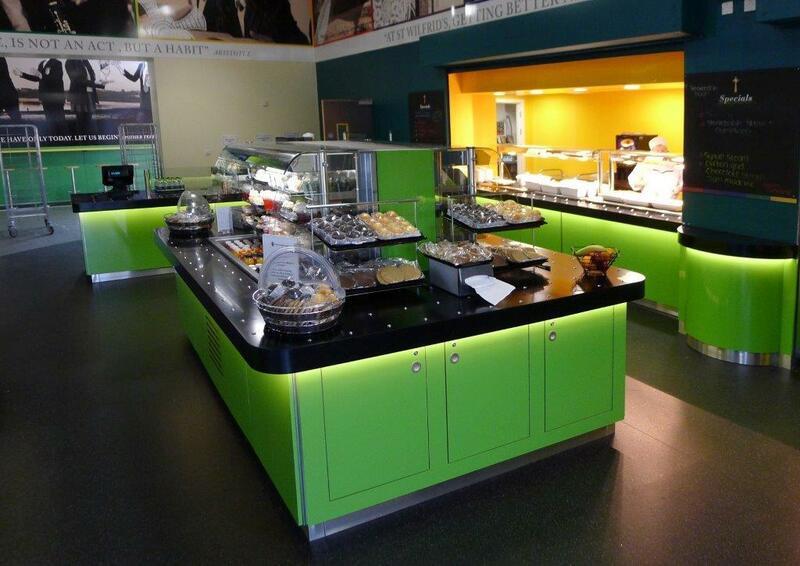 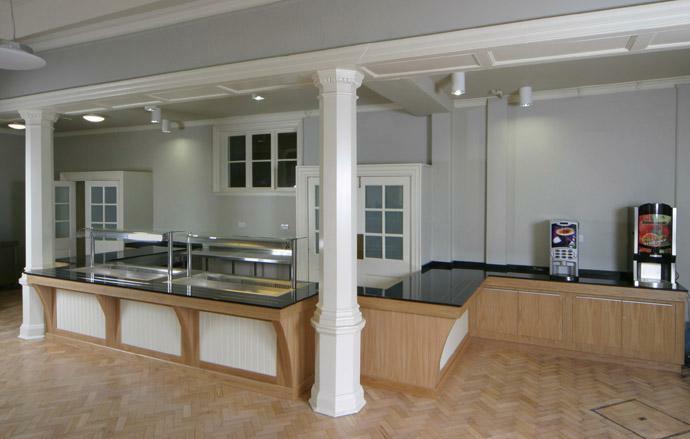 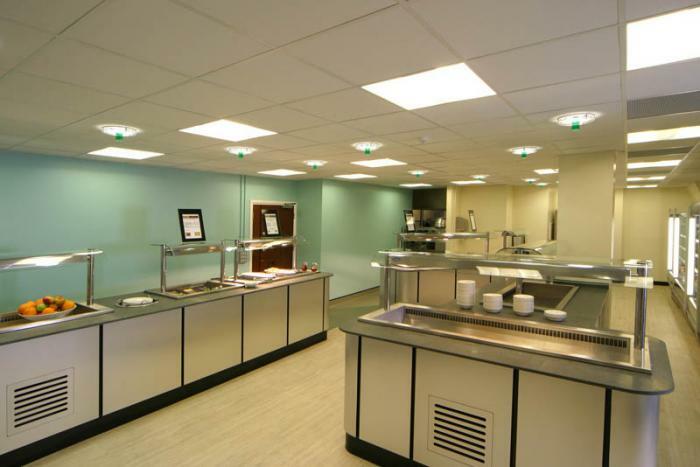 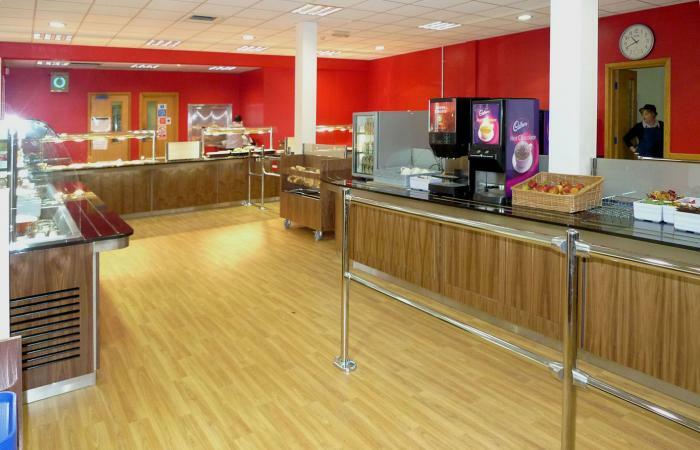 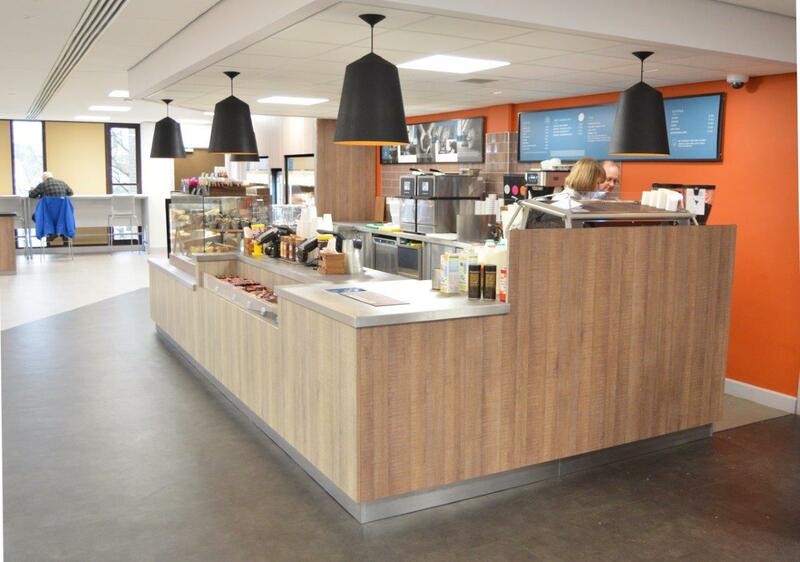 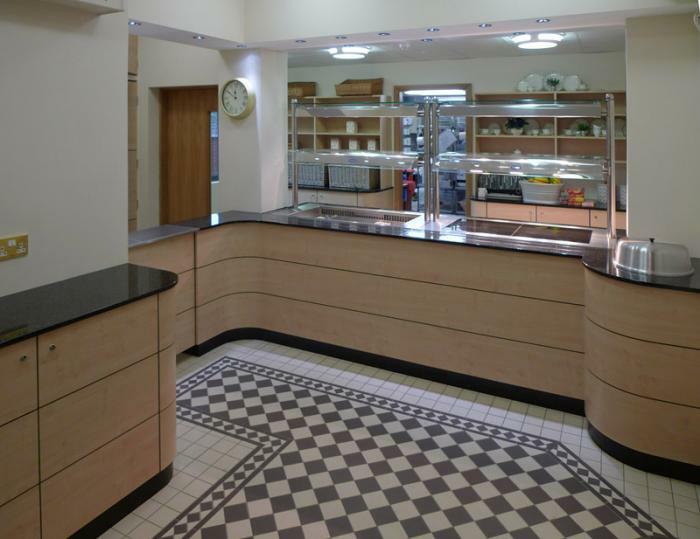 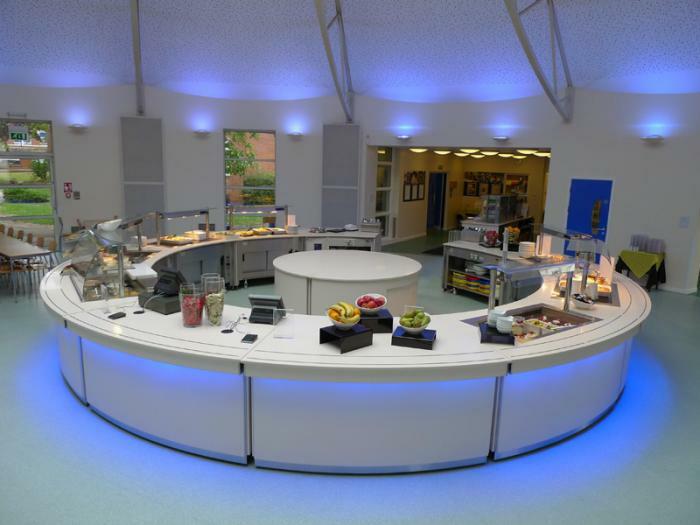 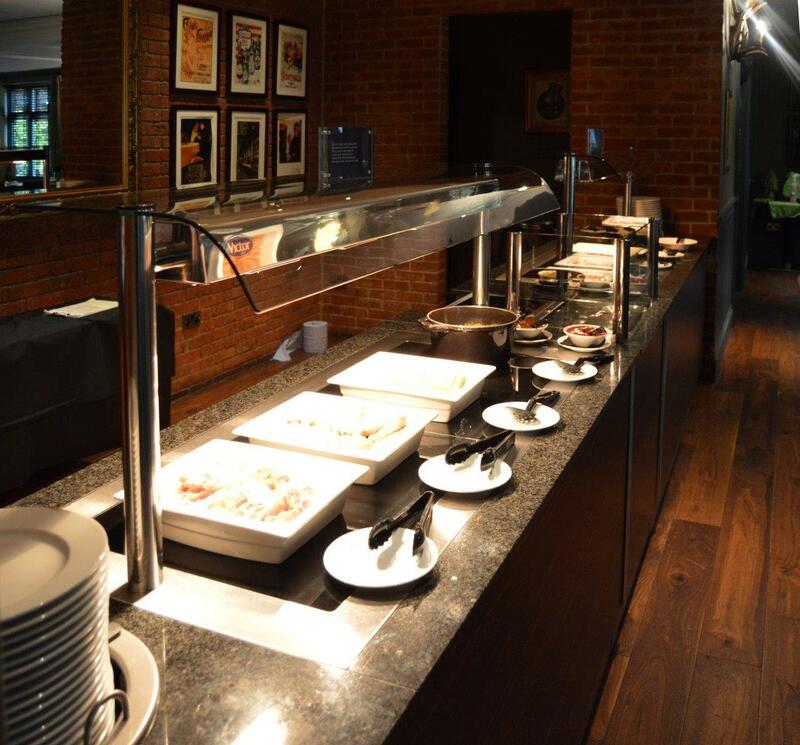 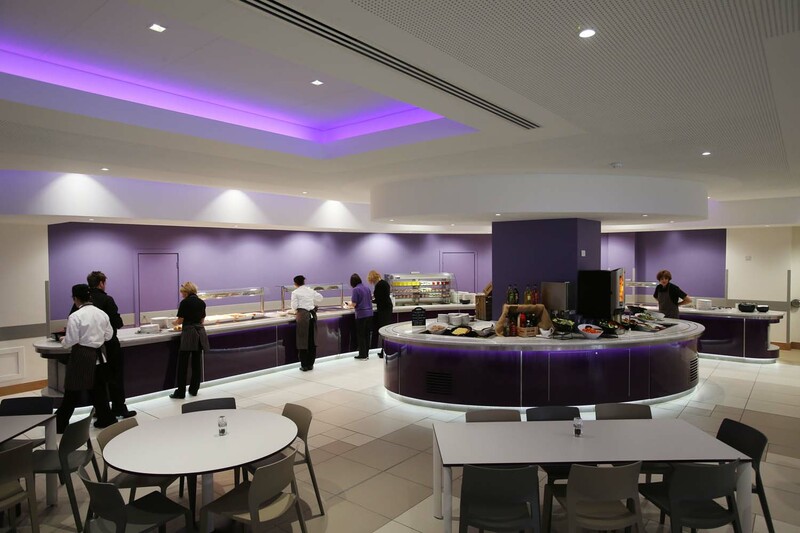 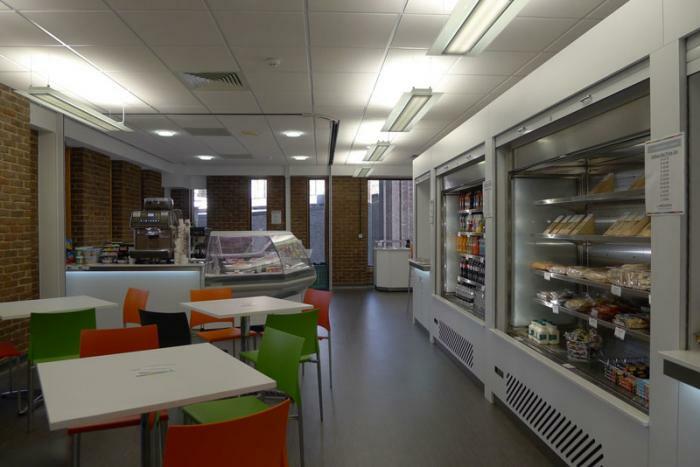 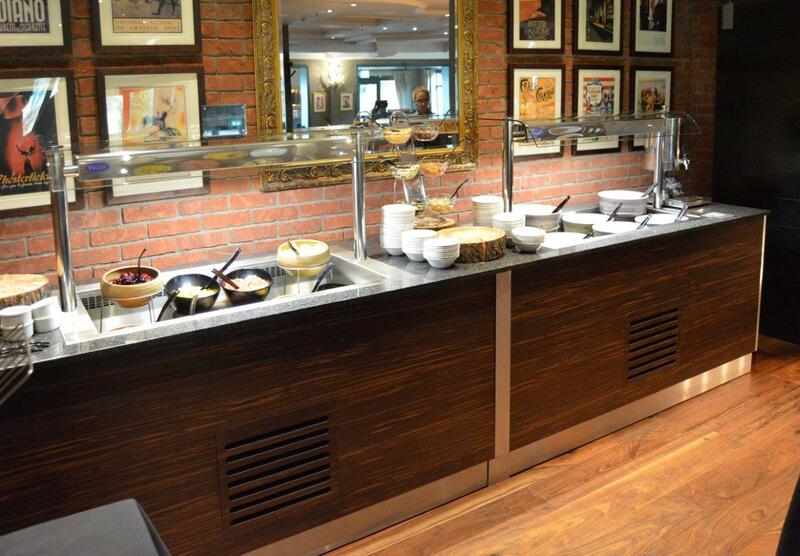 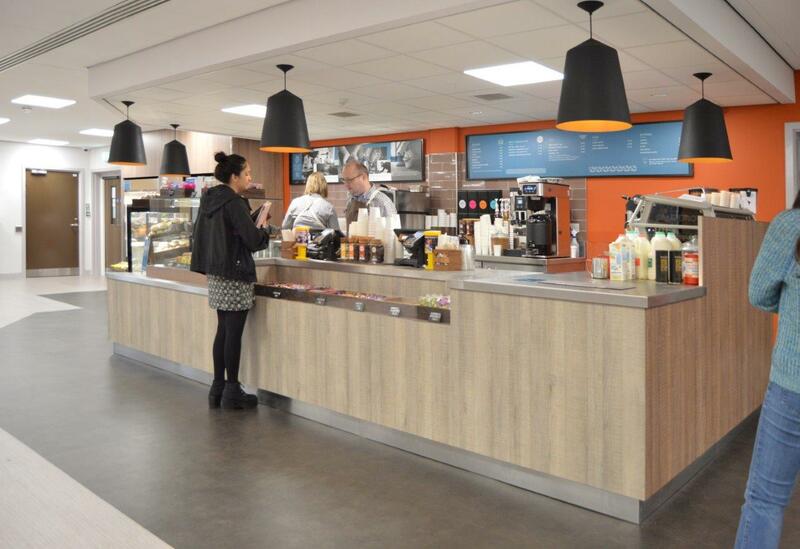 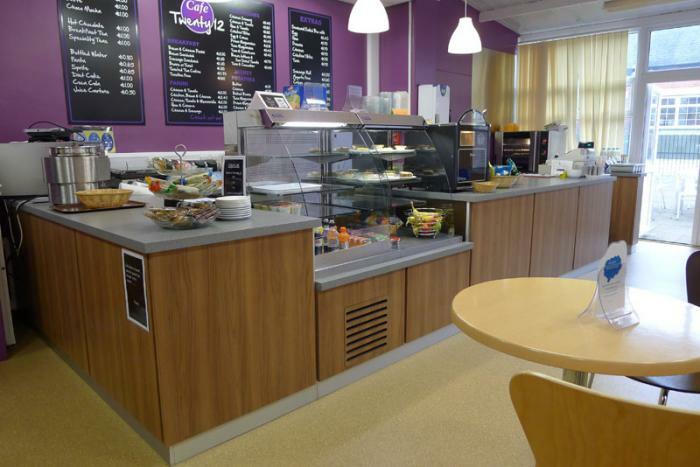 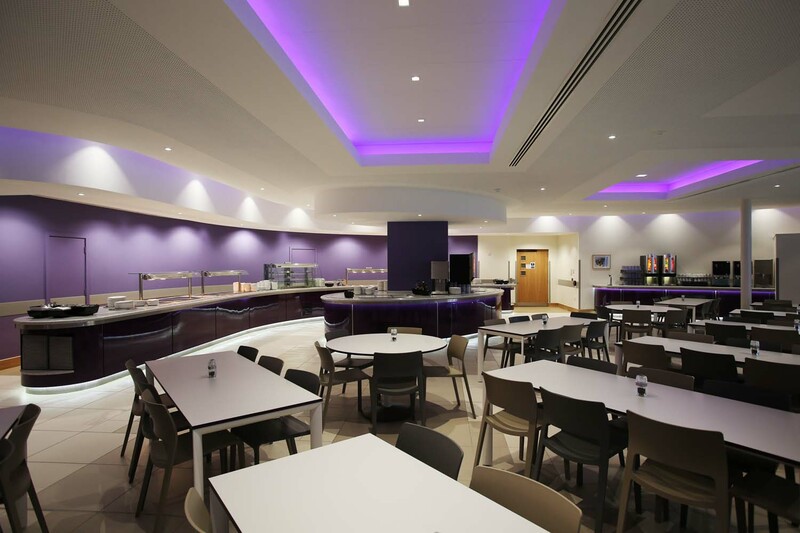 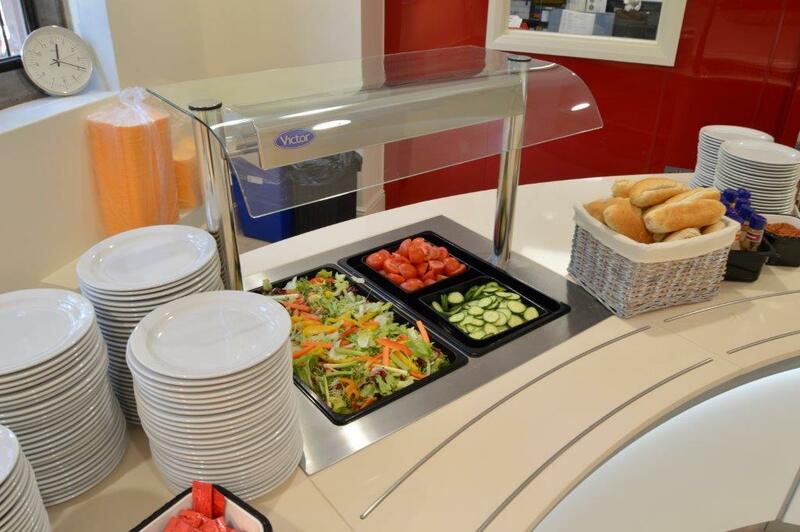 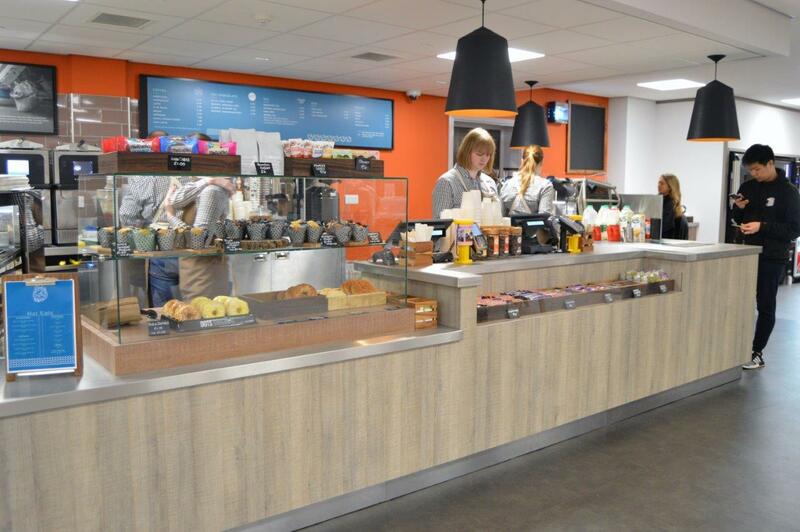 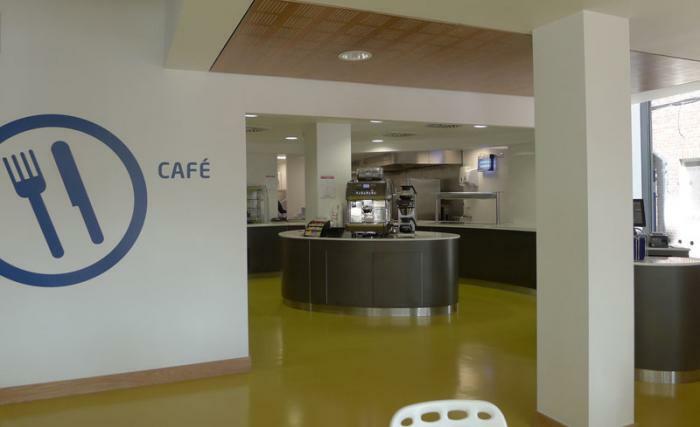 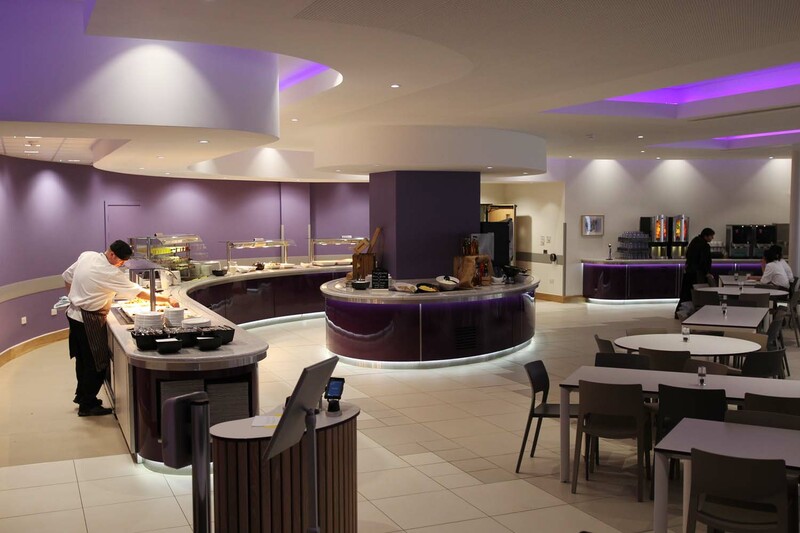 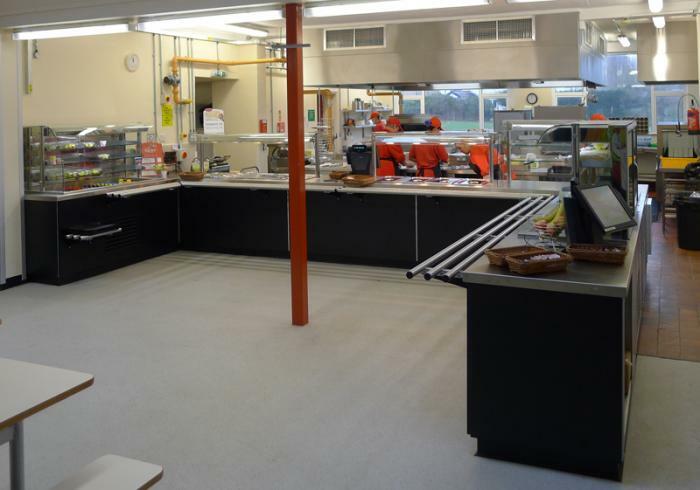 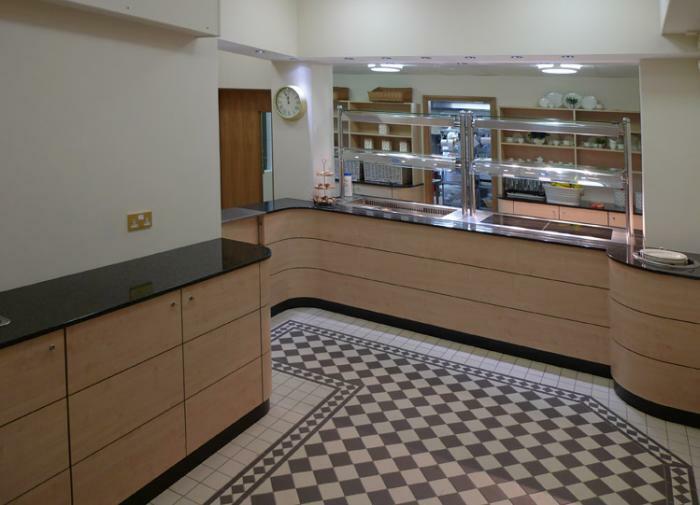 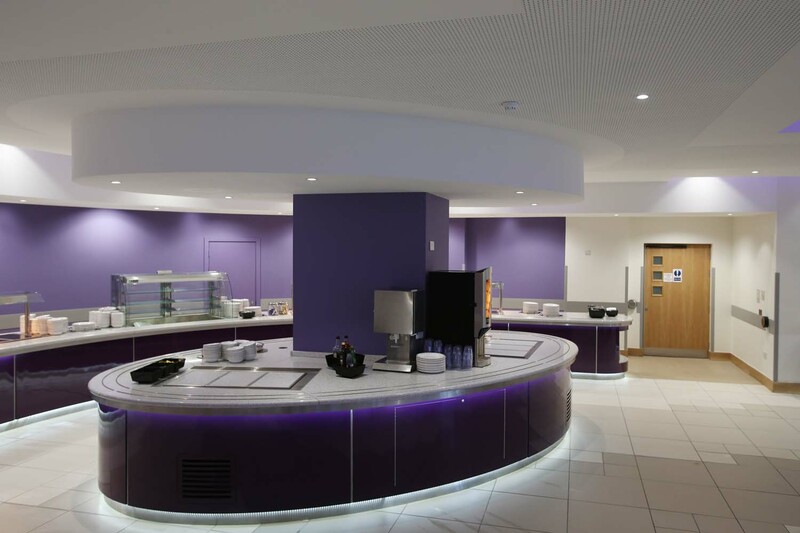 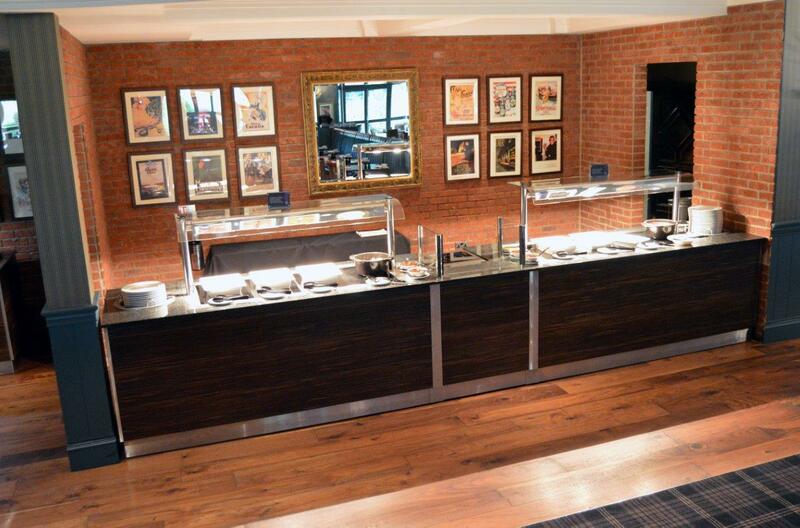 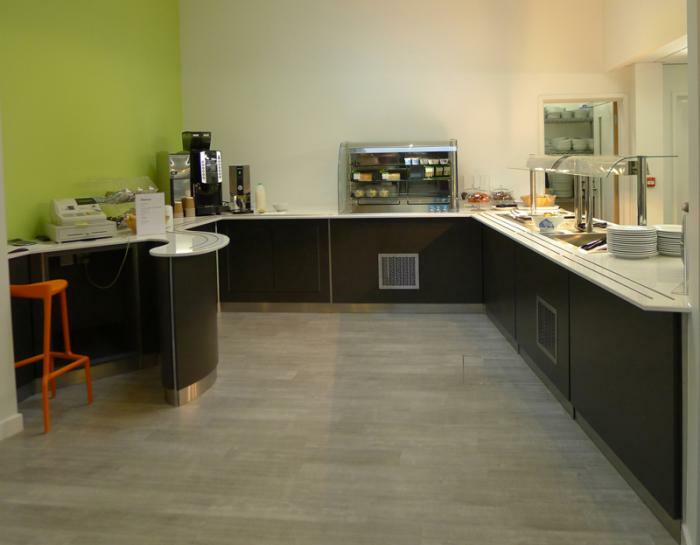 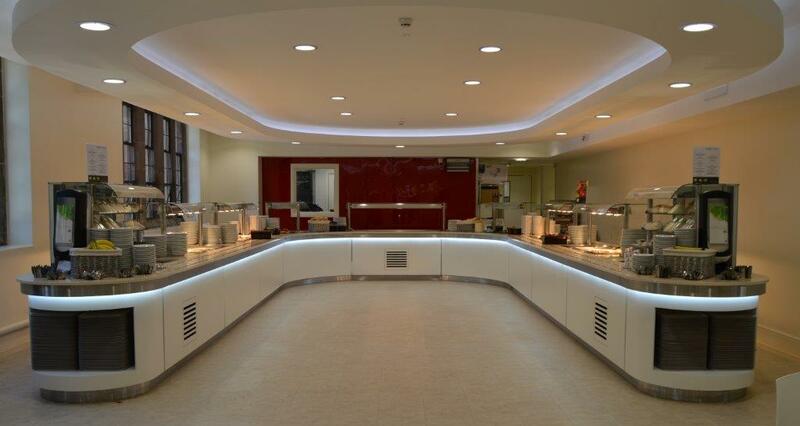 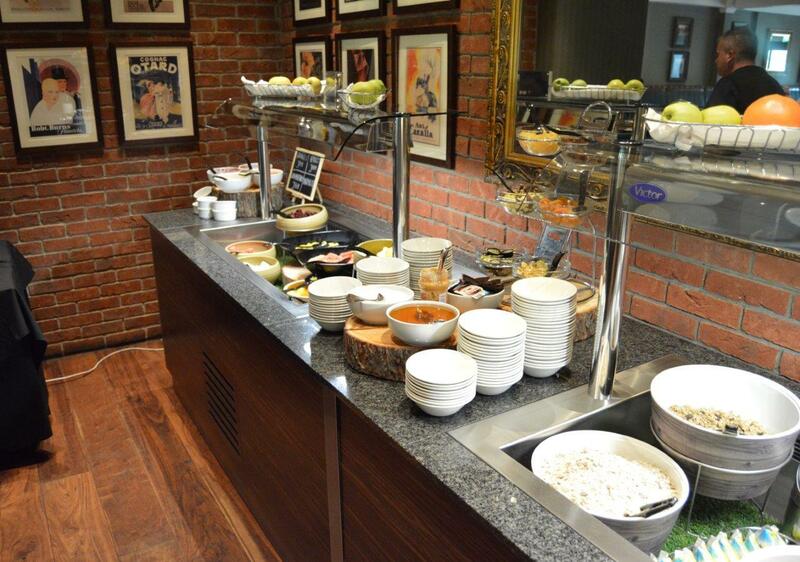 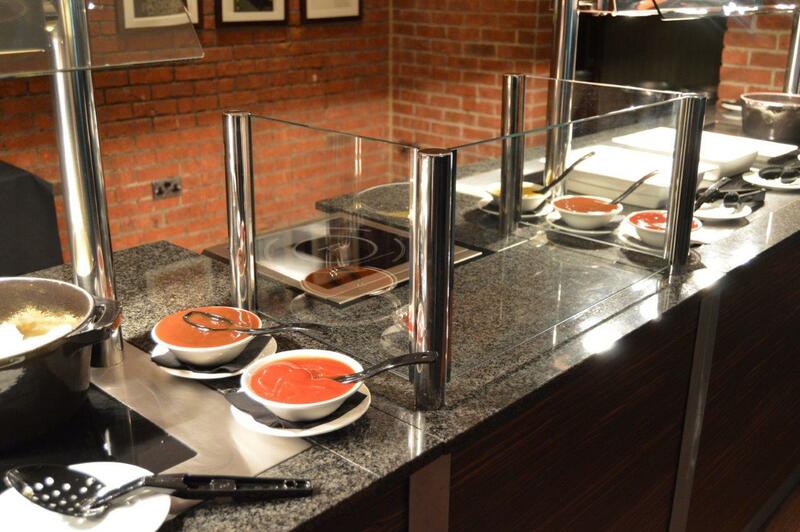 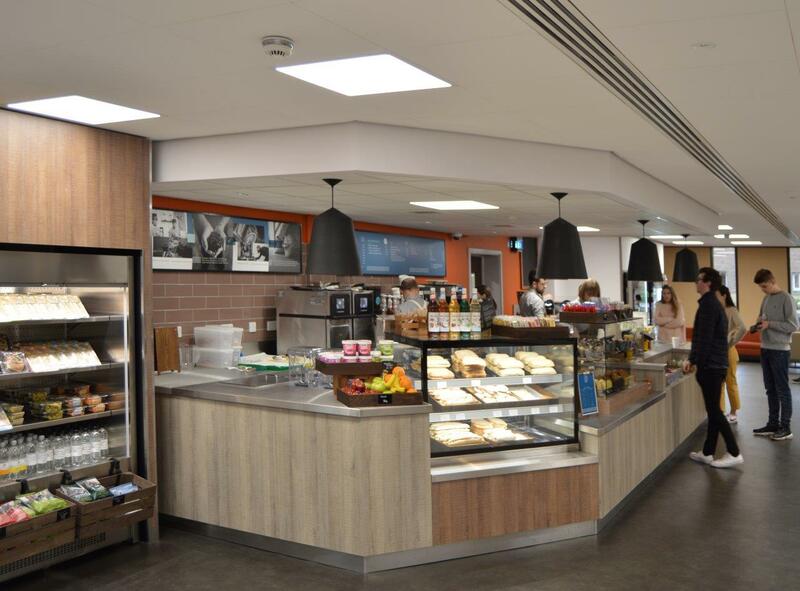 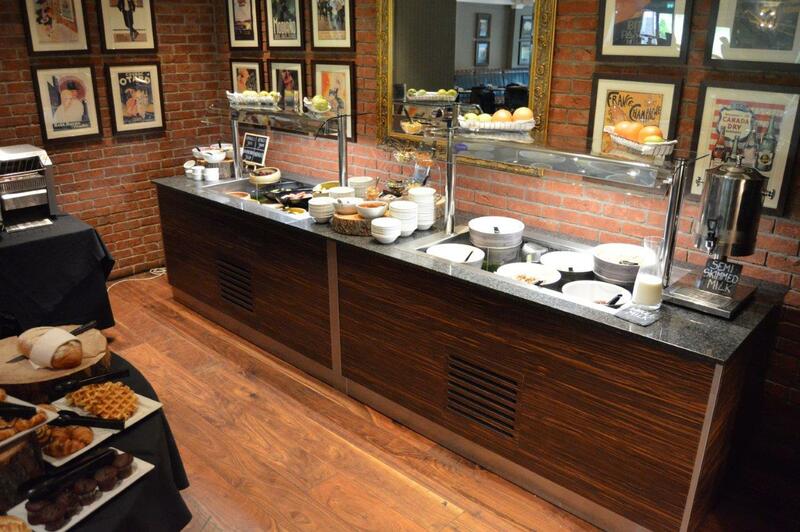 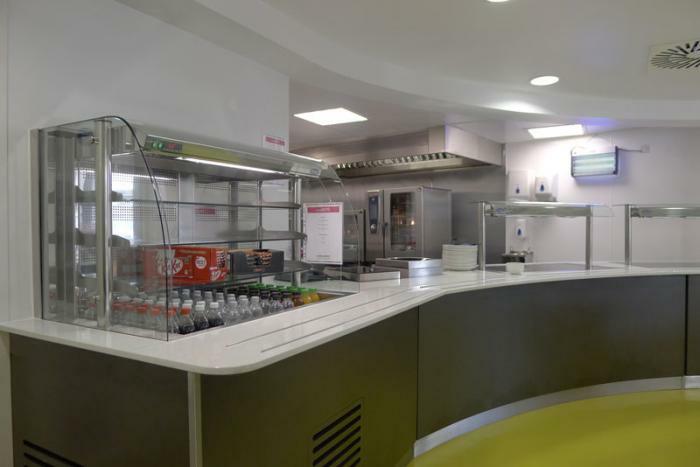 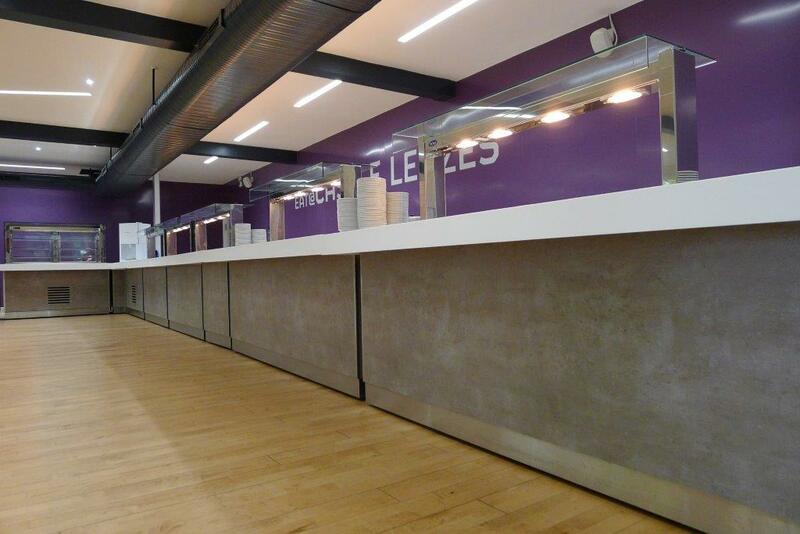 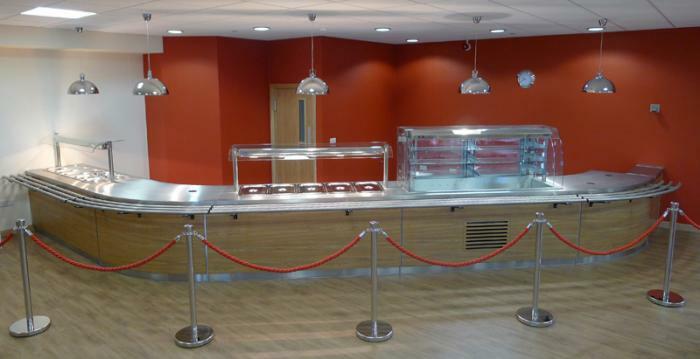 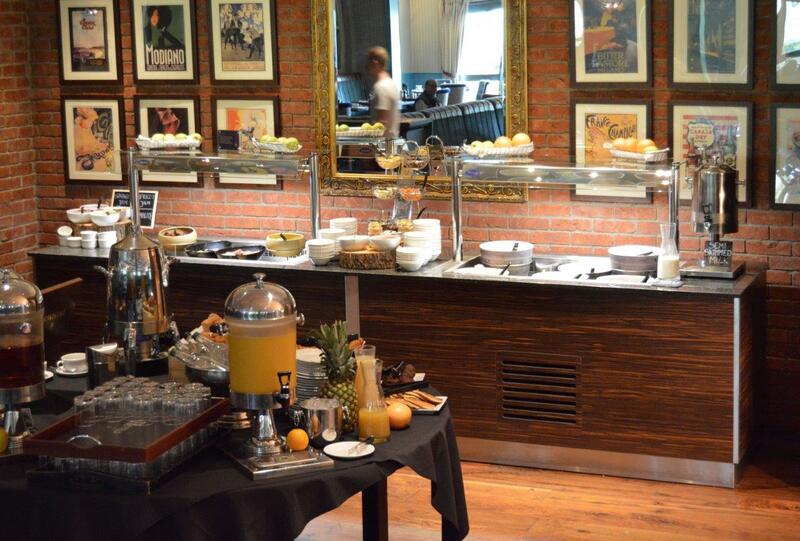 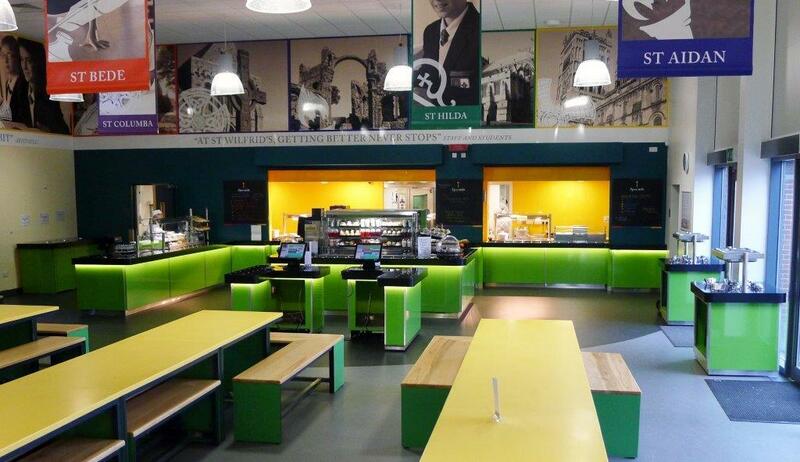 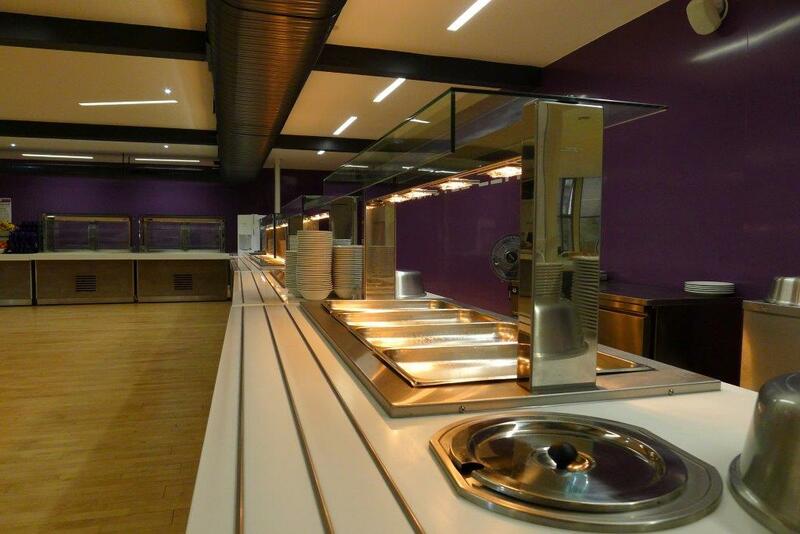 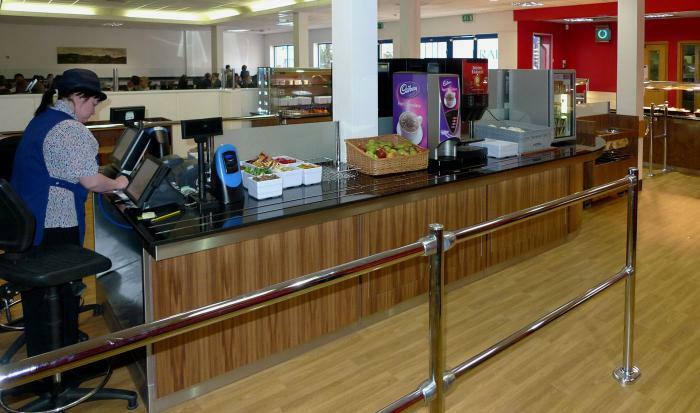 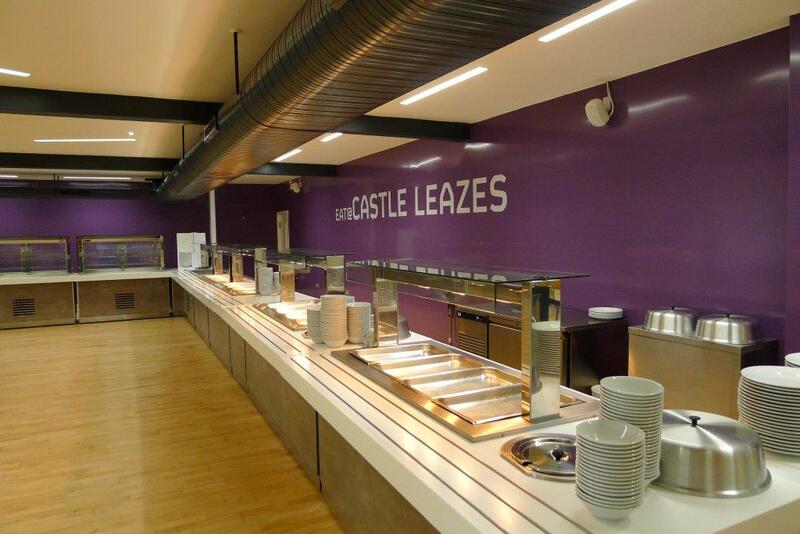 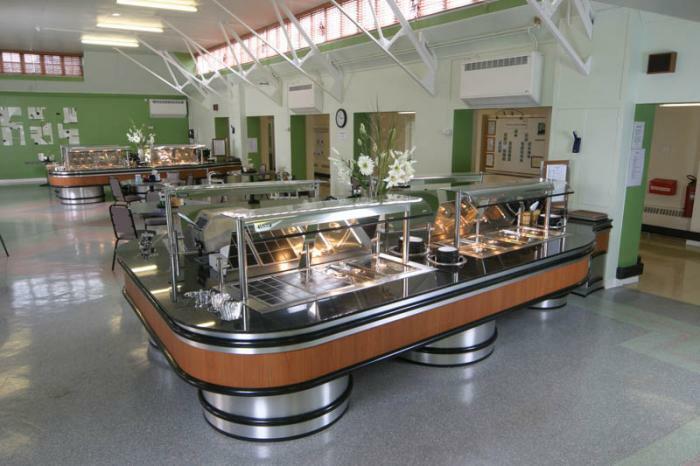 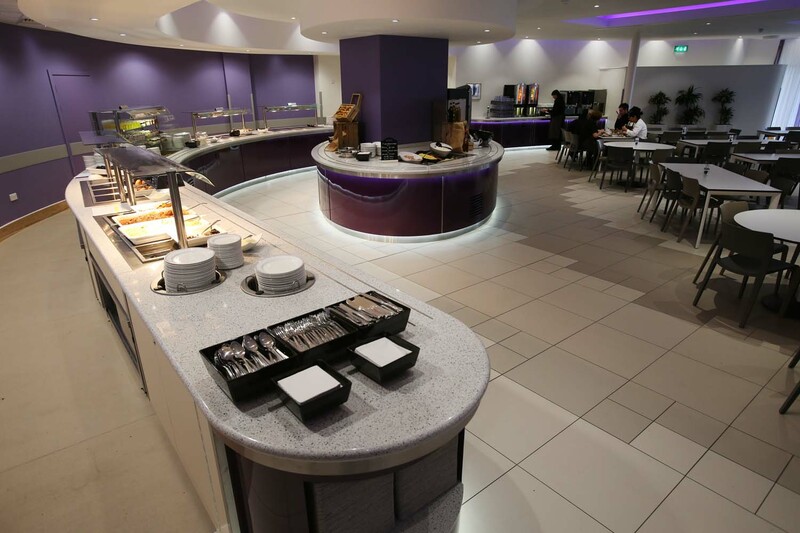 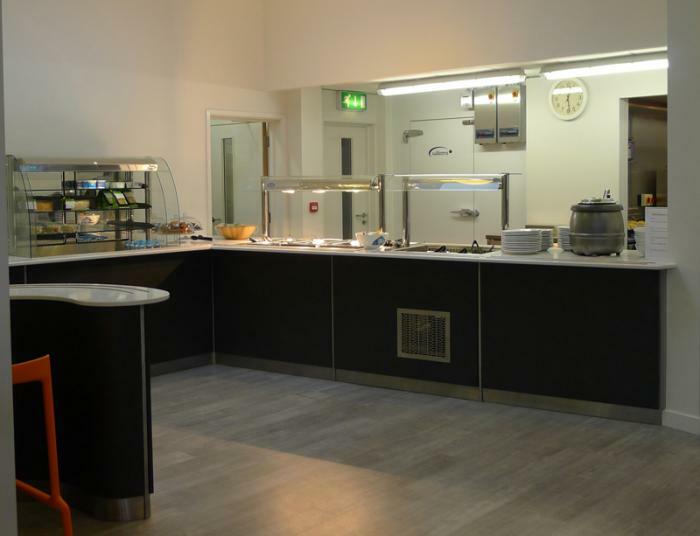 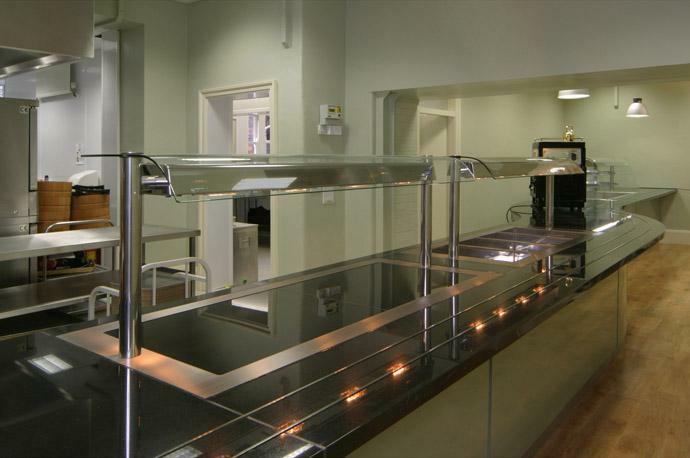 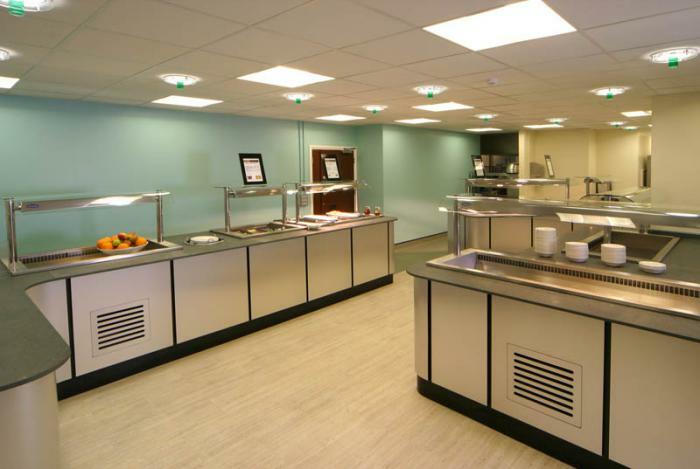 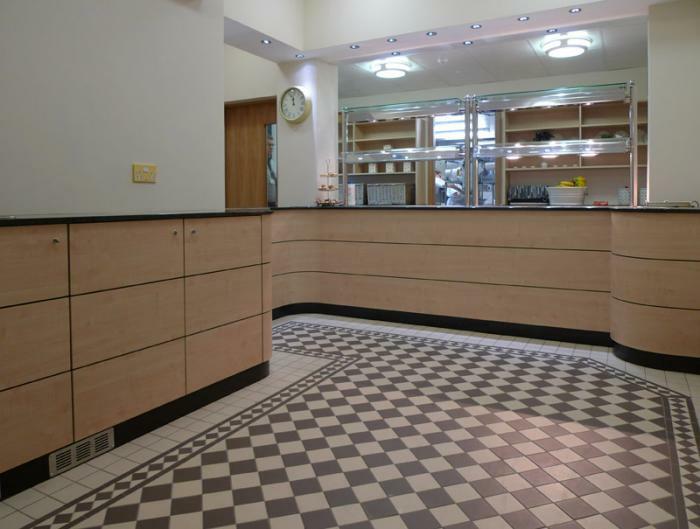 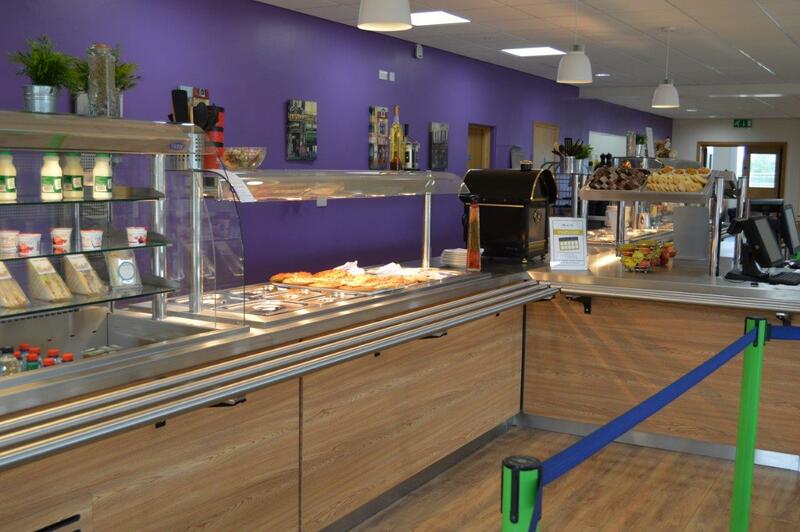 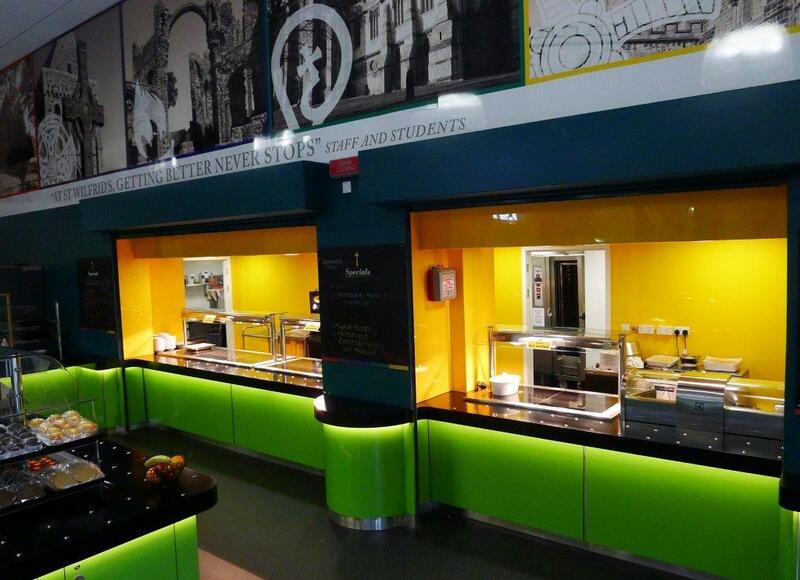 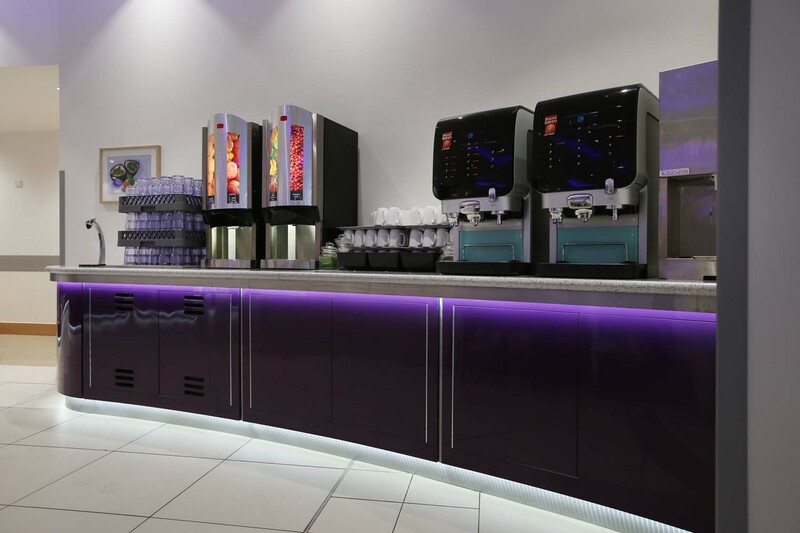 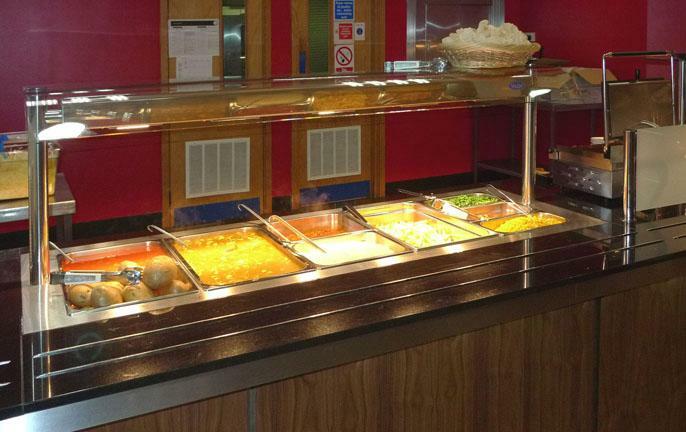 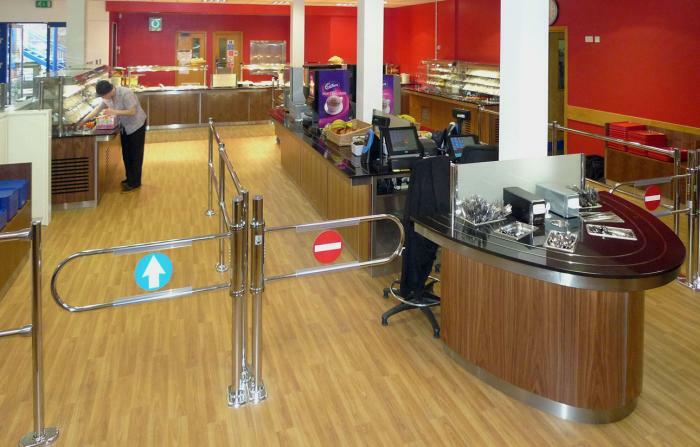 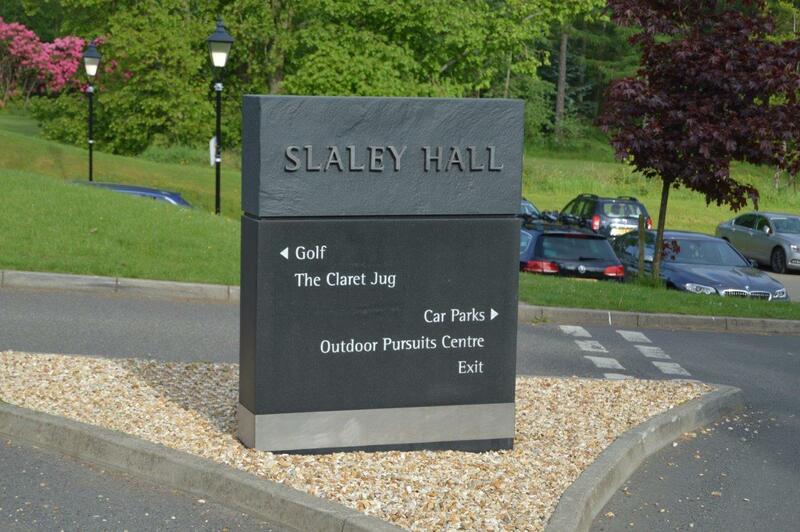 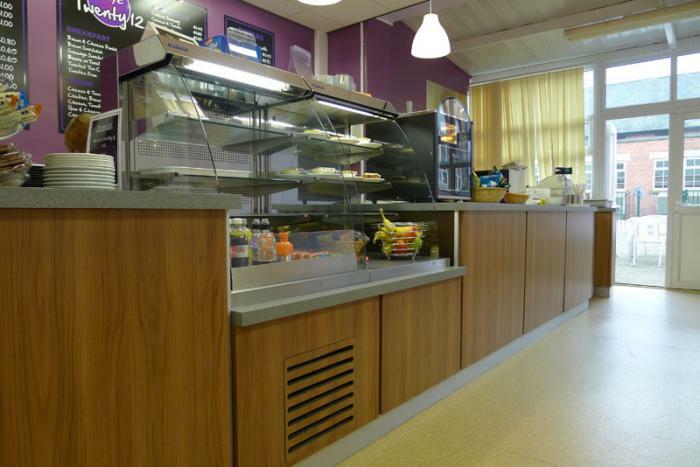 A major restaurant refurbishment at Landau Forte College. 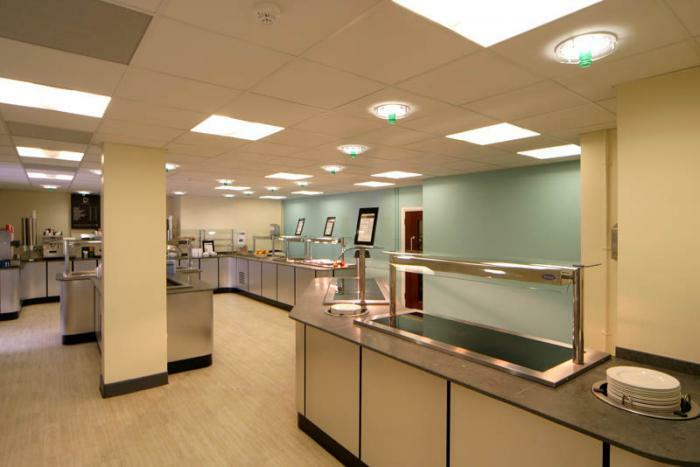 The College, which is close to Derby City Centre, opened in 1992 as the 14th City Technology College in England. 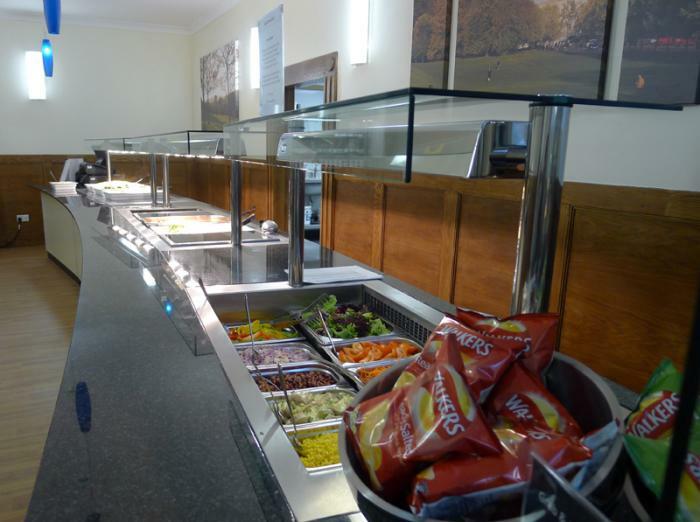 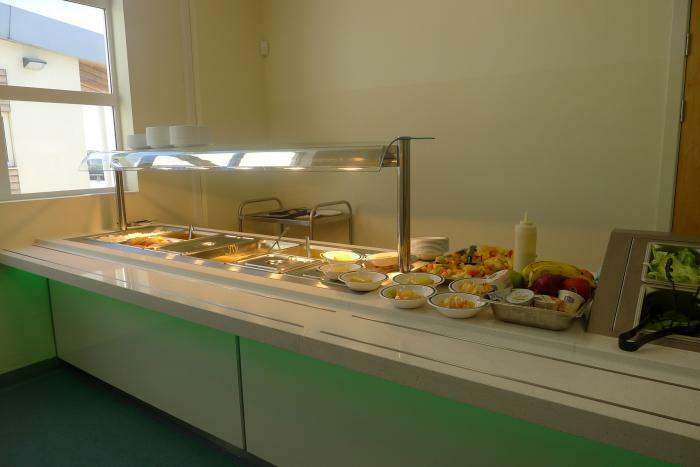 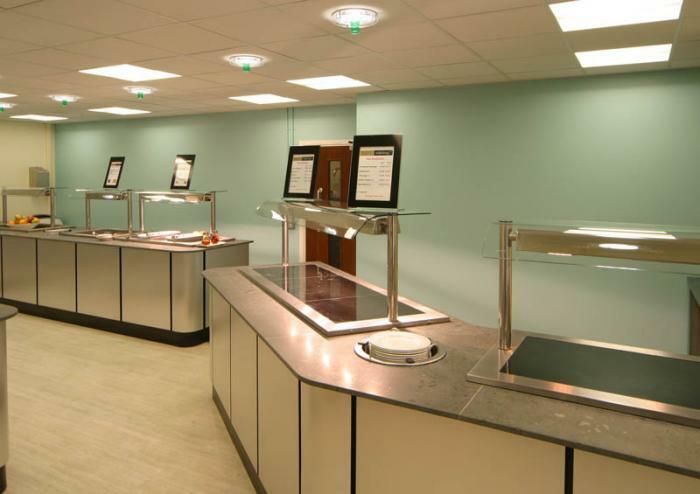 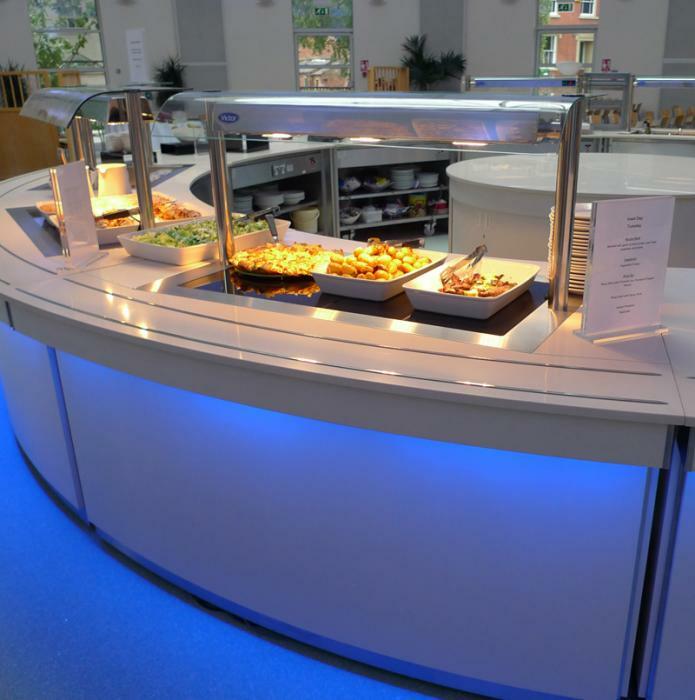 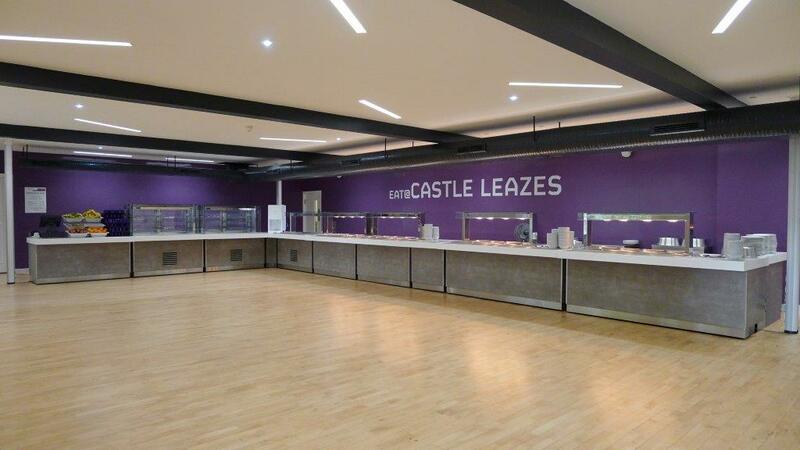 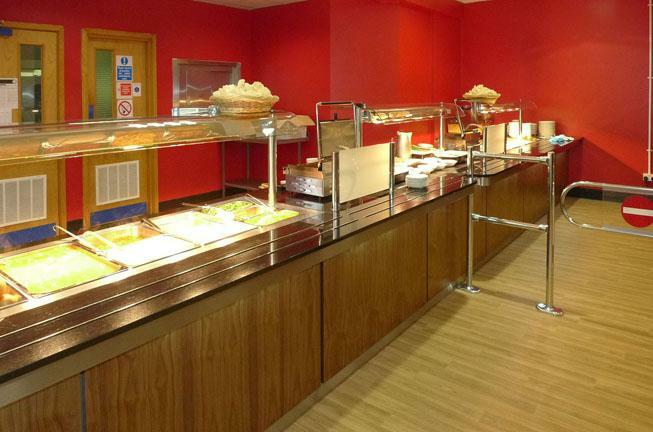 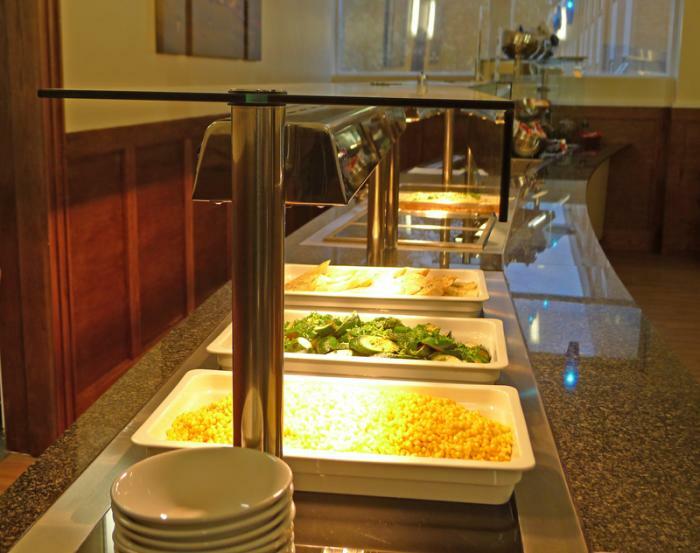 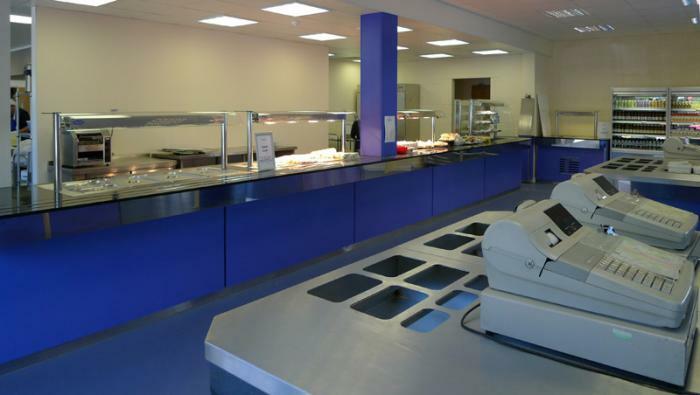 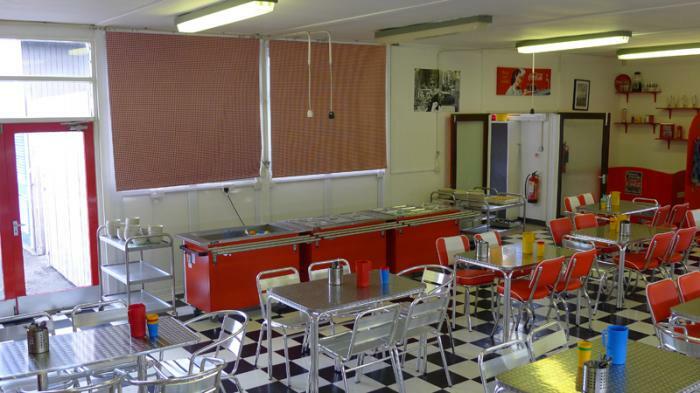 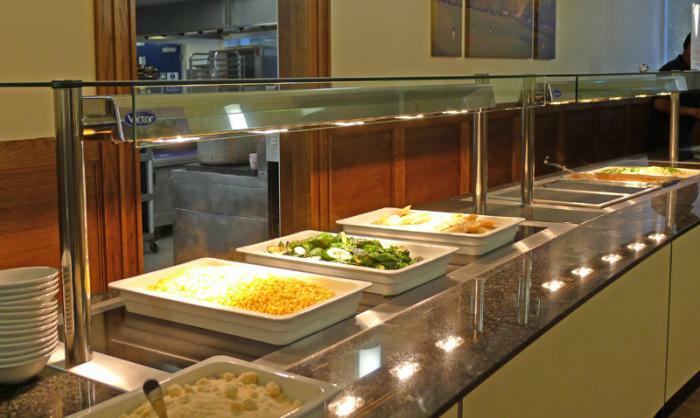 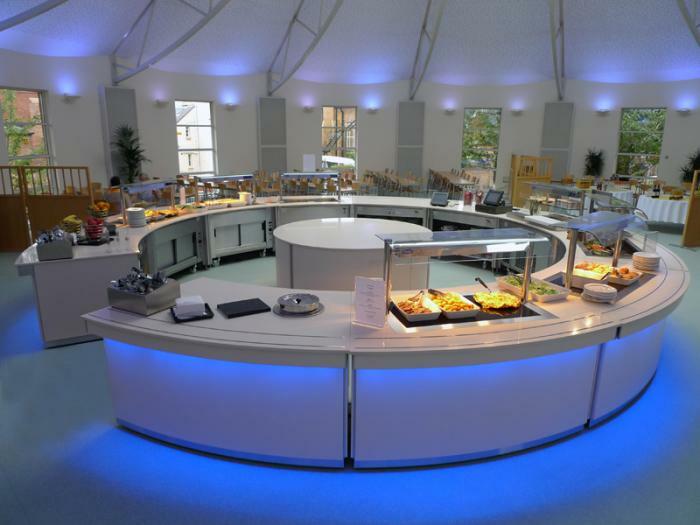 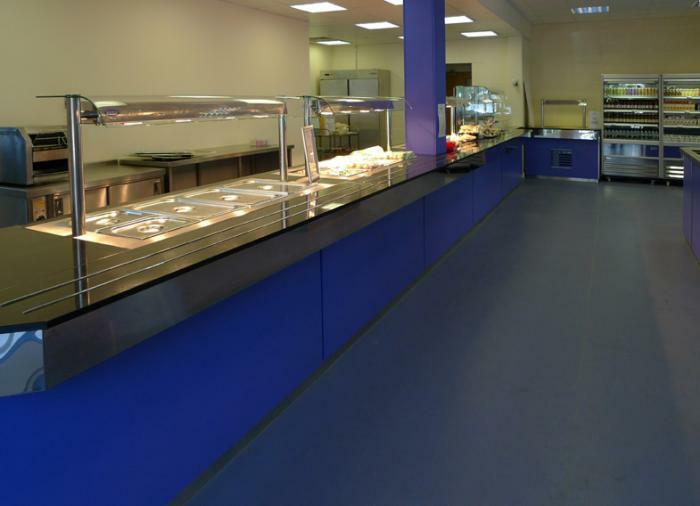 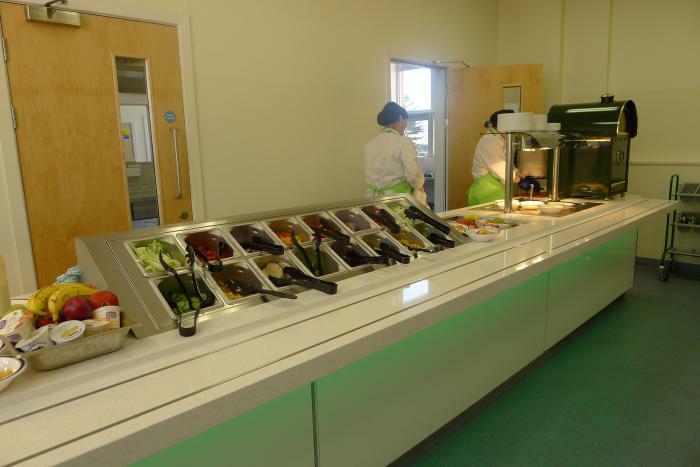 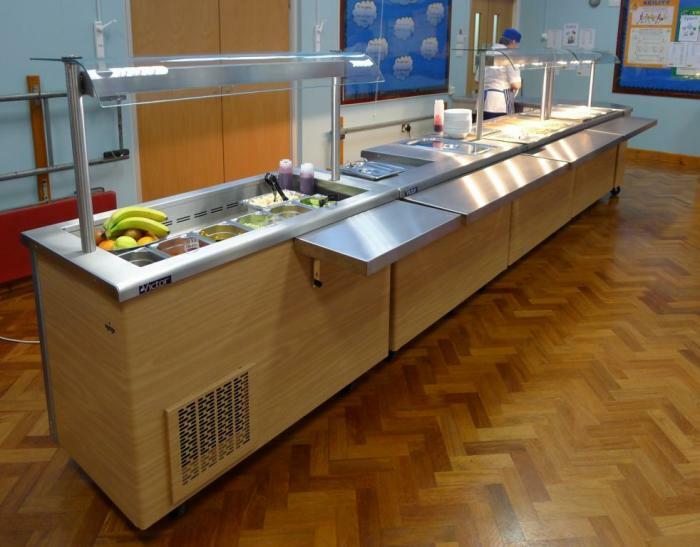 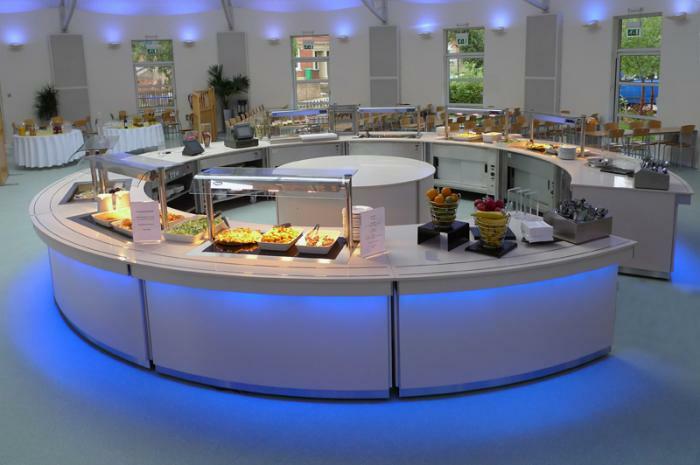 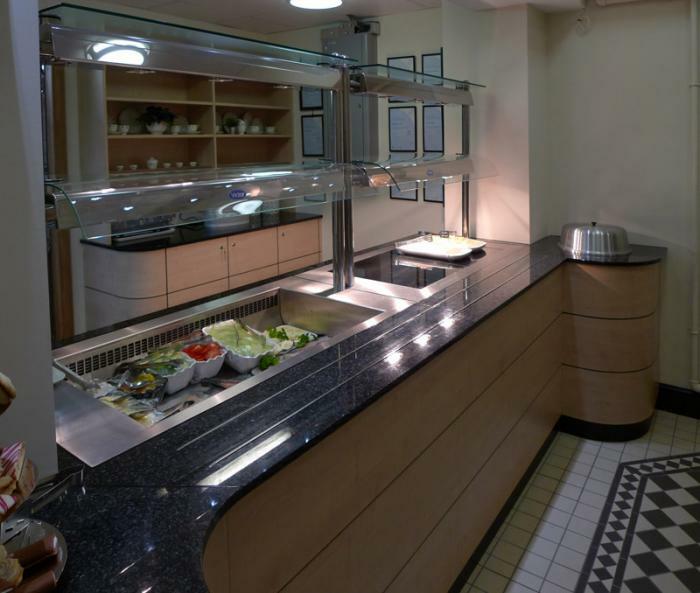 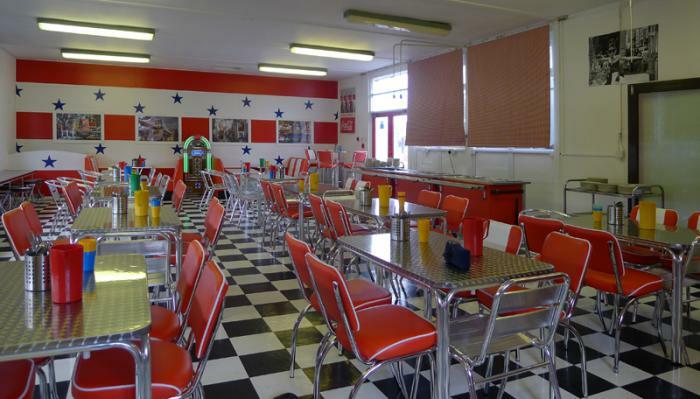 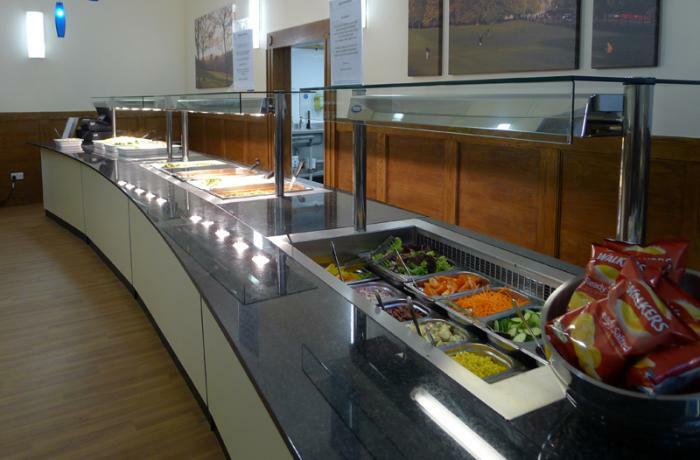 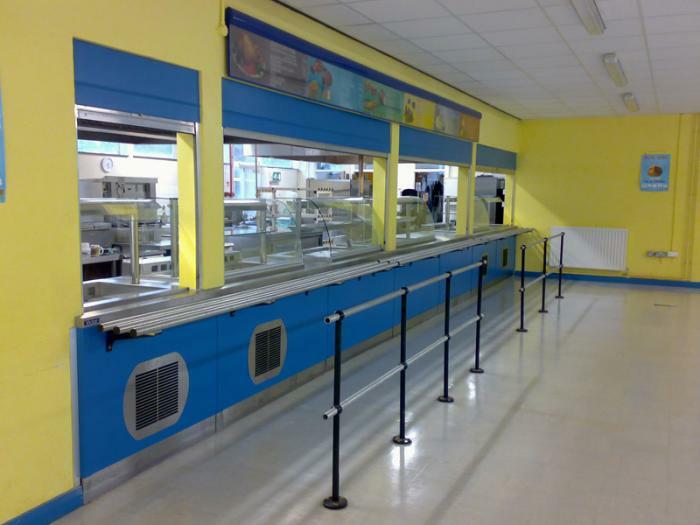 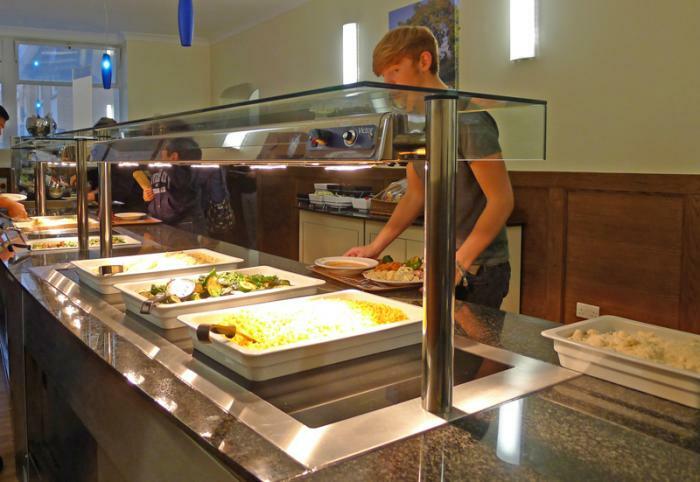 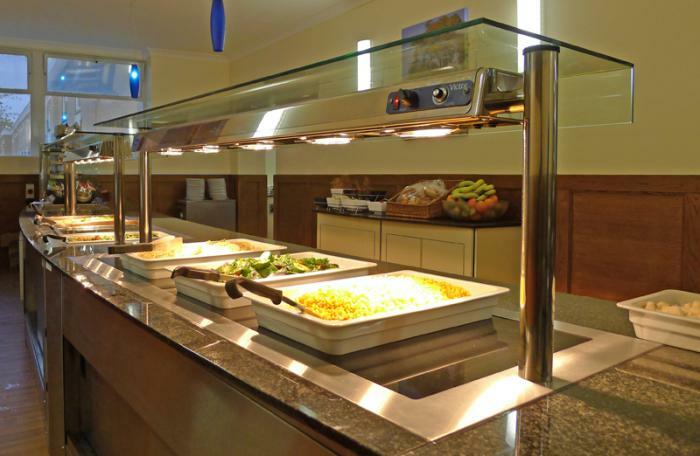 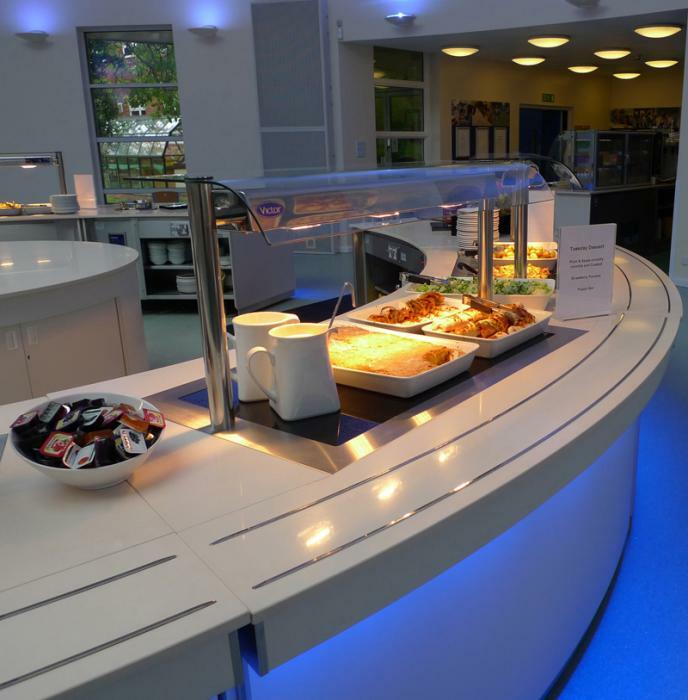 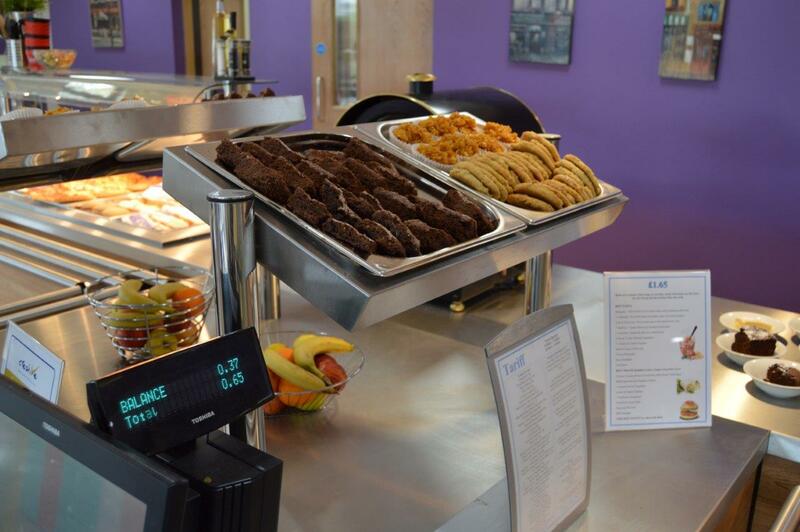 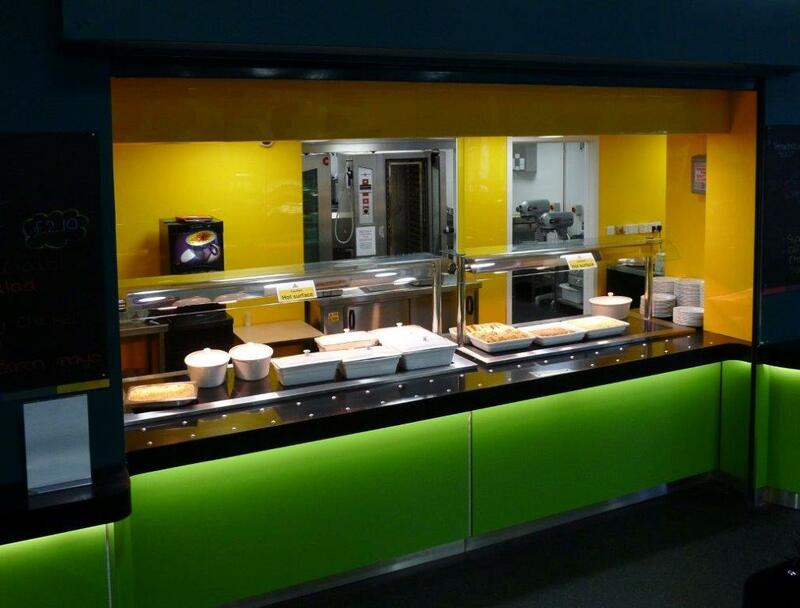 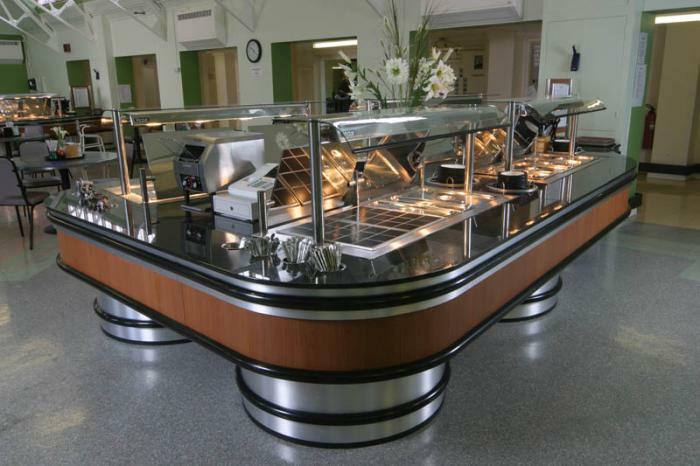 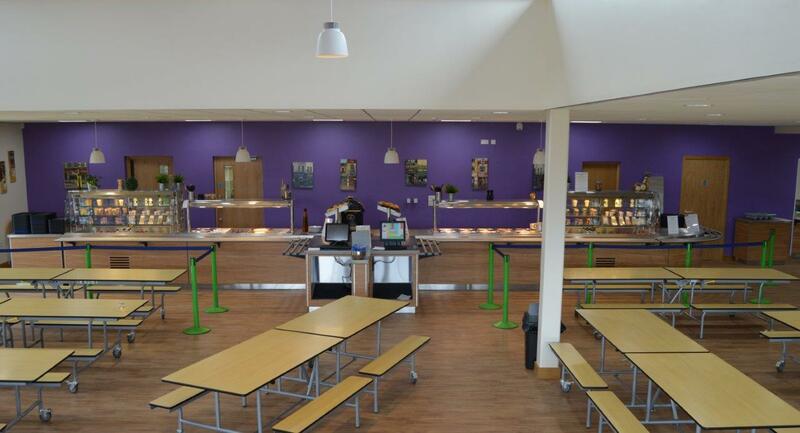 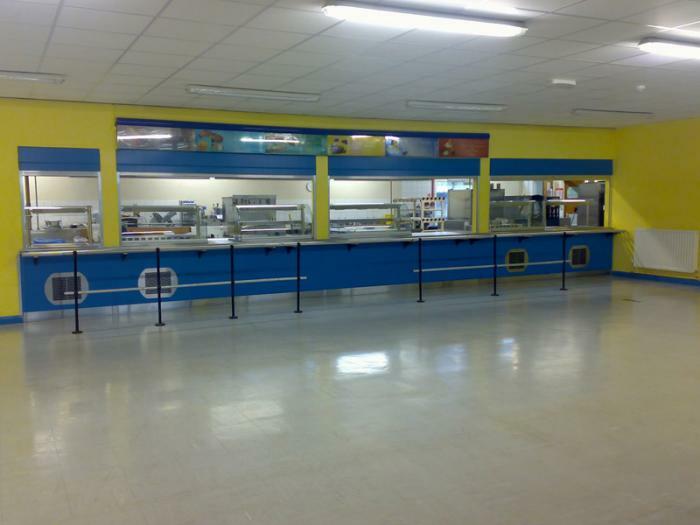 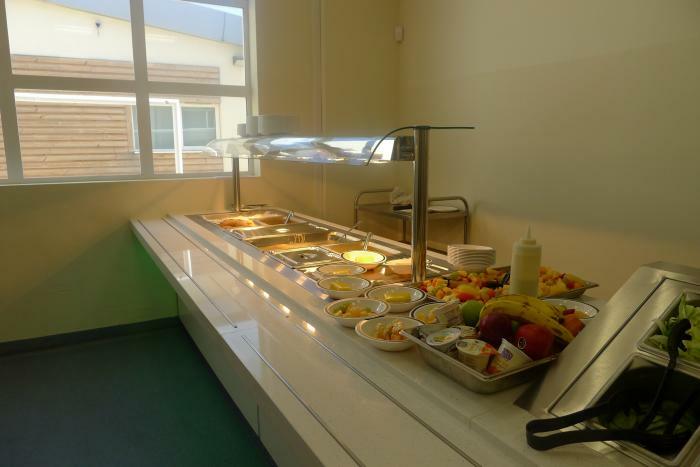 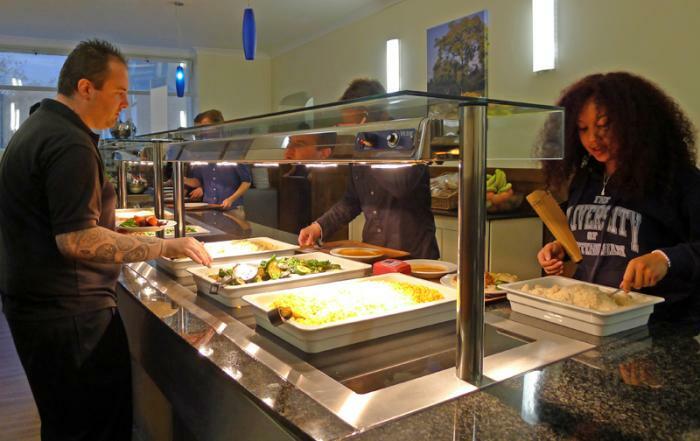 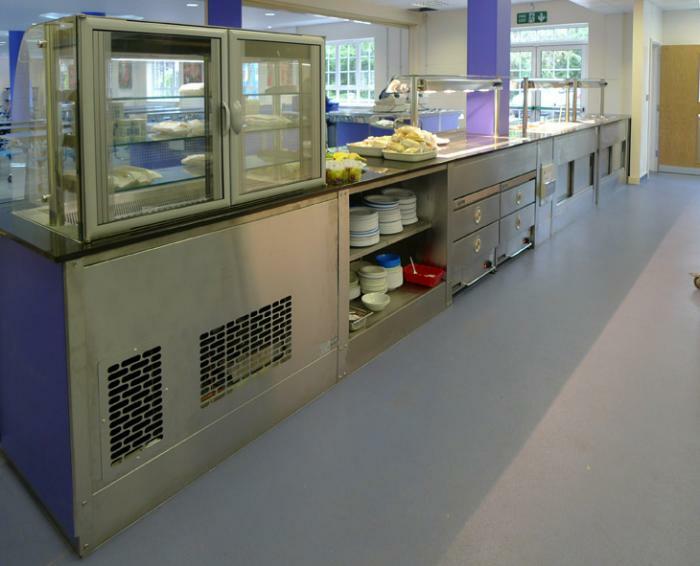 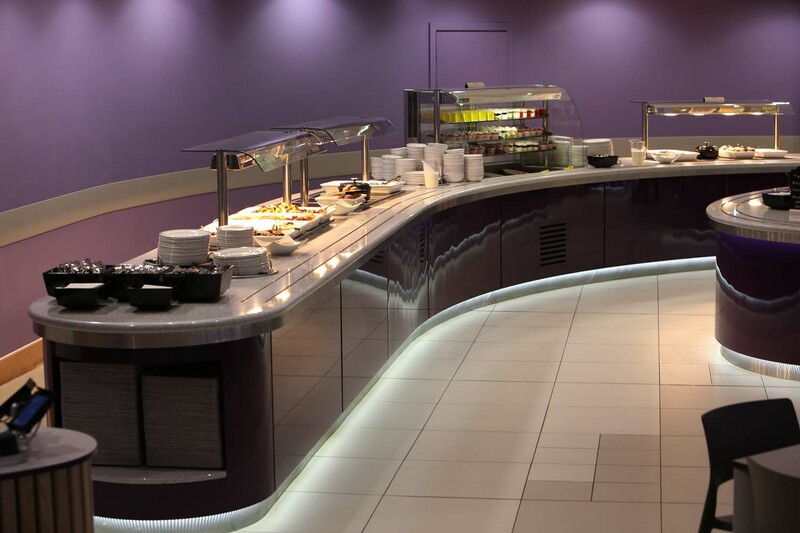 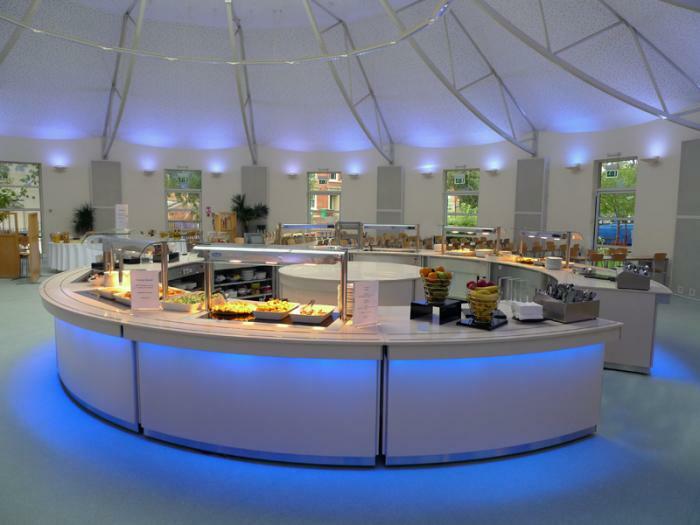 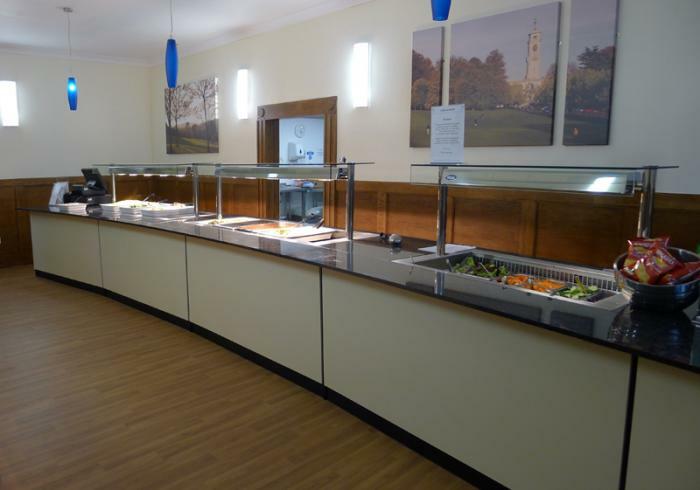 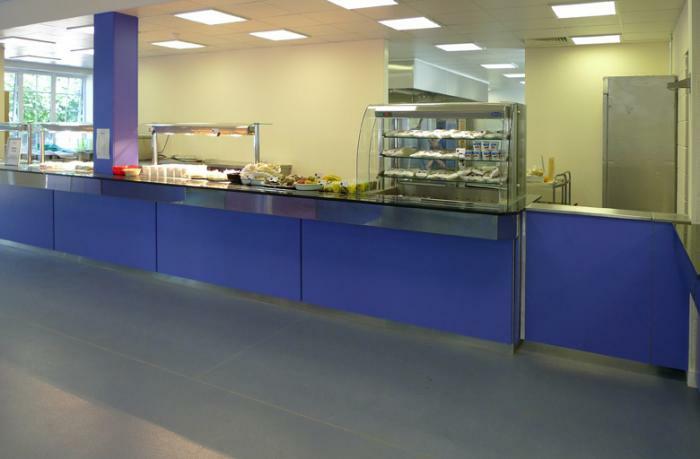 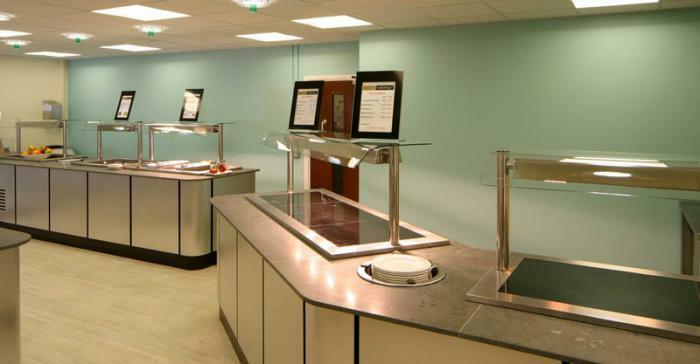 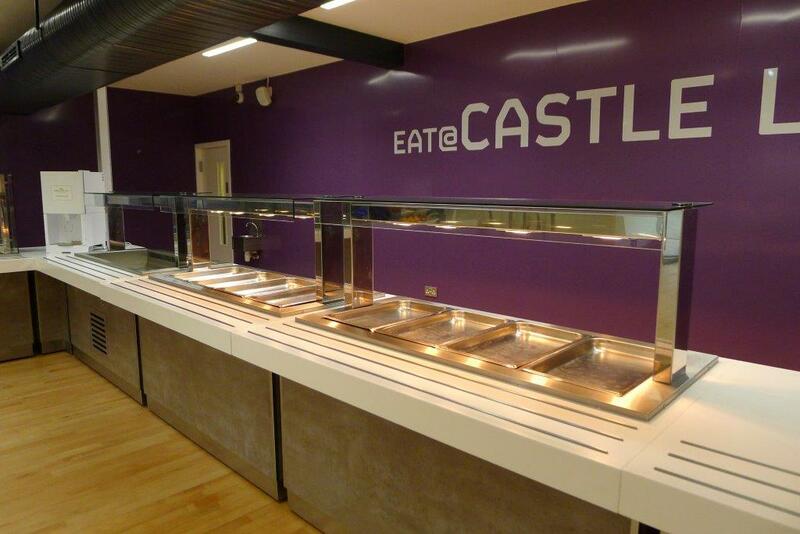 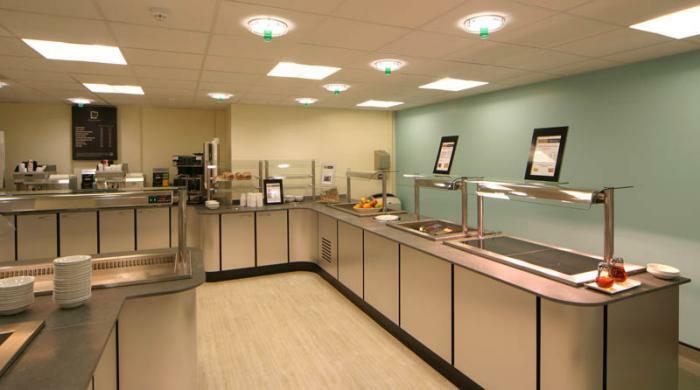 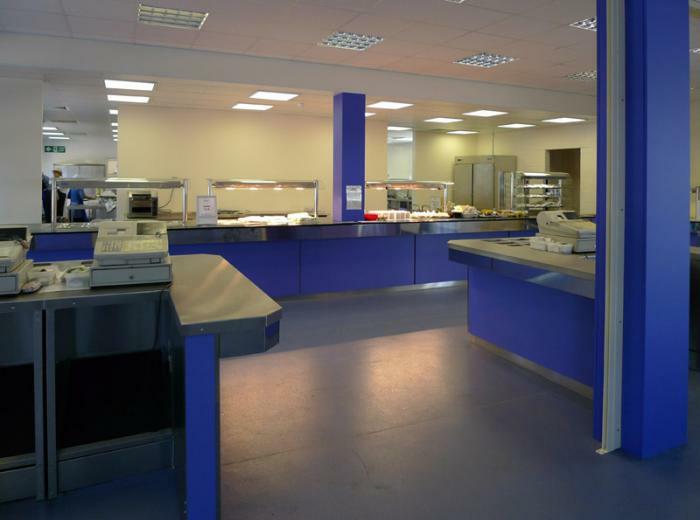 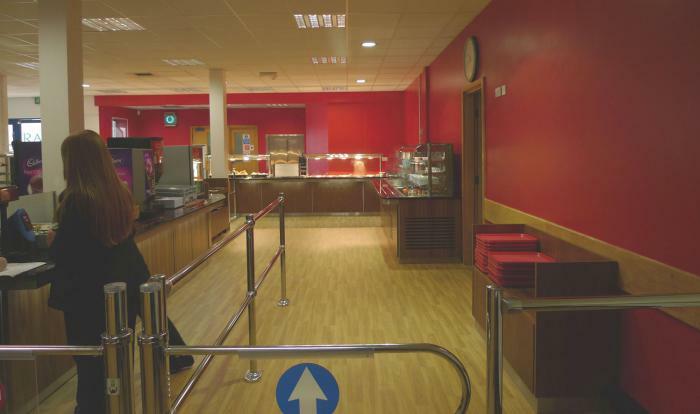 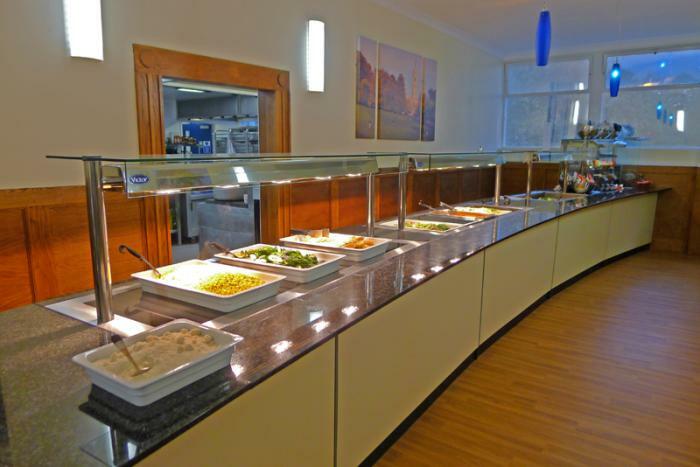 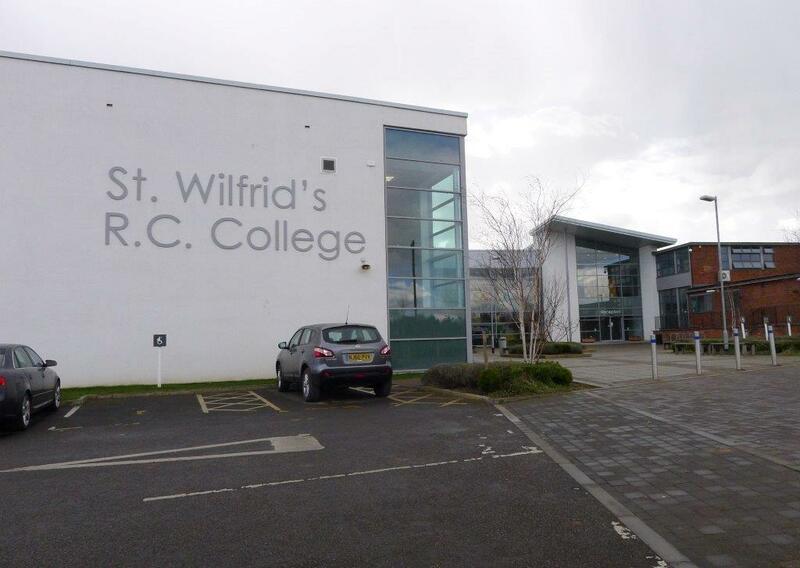 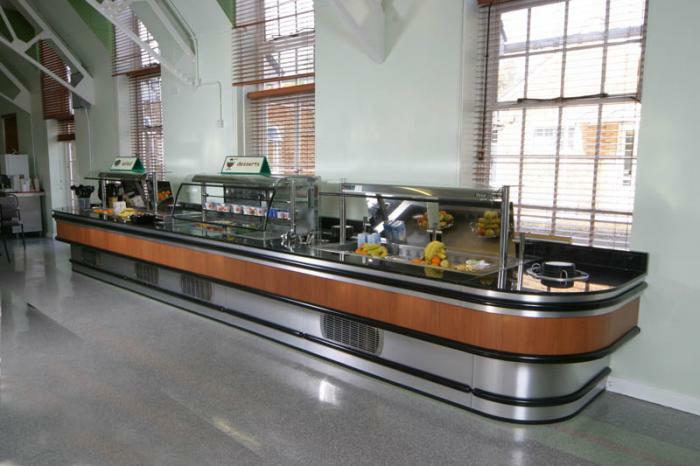 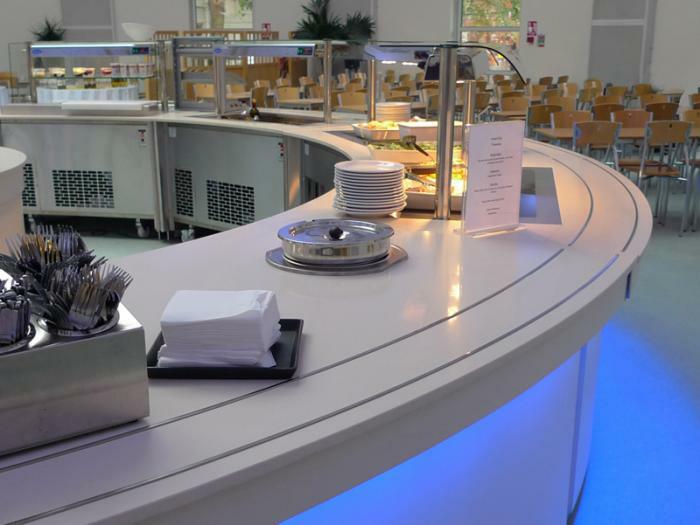 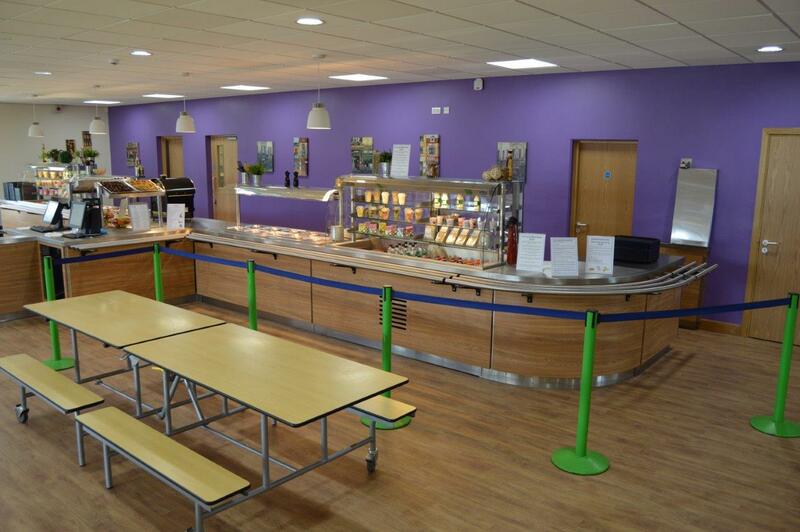 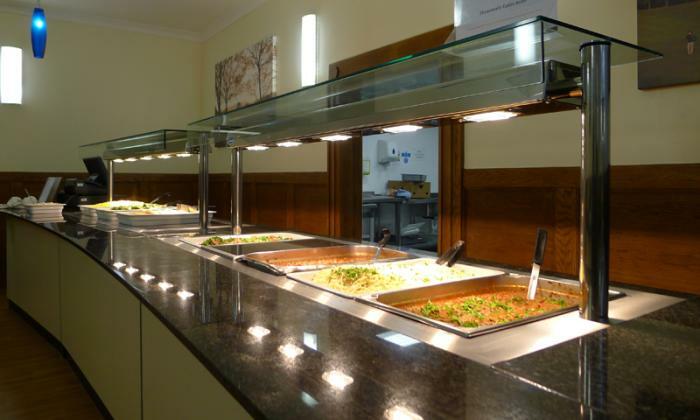 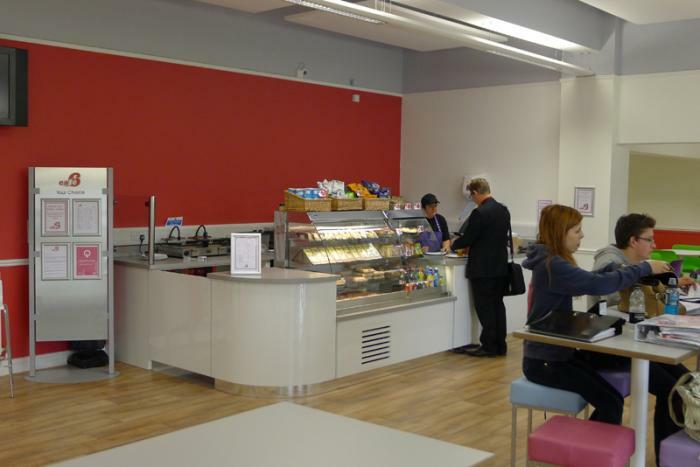 With over a 1000 students on site it became obvious that the main dining area, after 19 years of hard service, had outgrown its usefulness and there were major problems with queues that needed resolving. 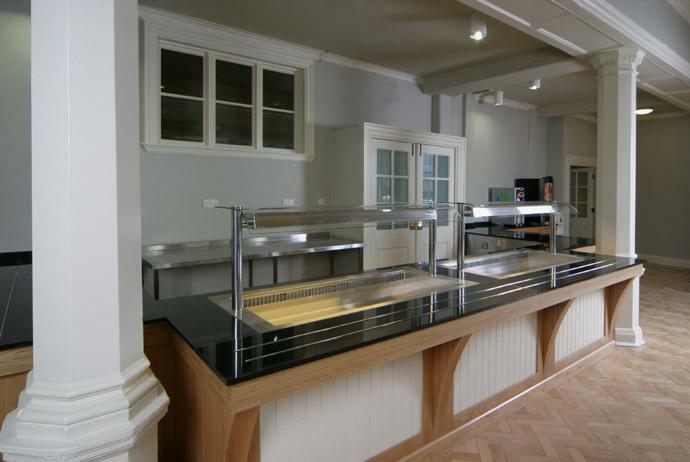 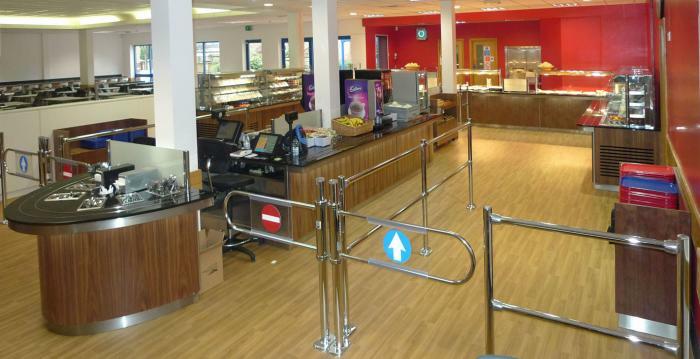 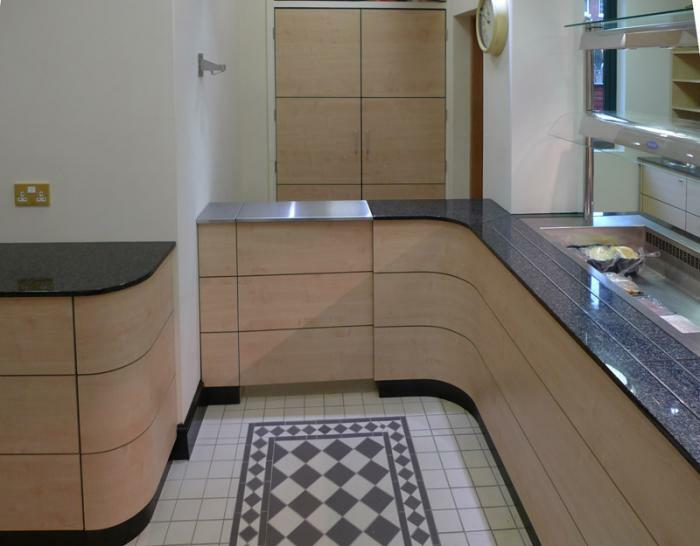 Replacement of an existing counter required the counter to fit precisely between the existing shutter columns. 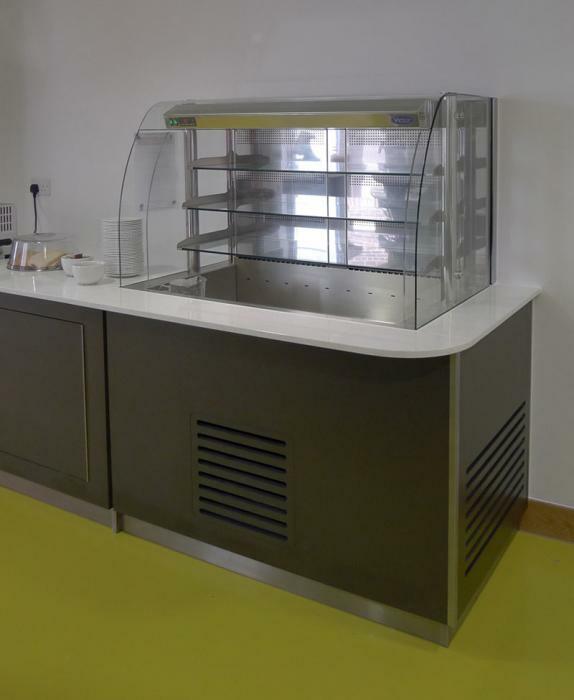 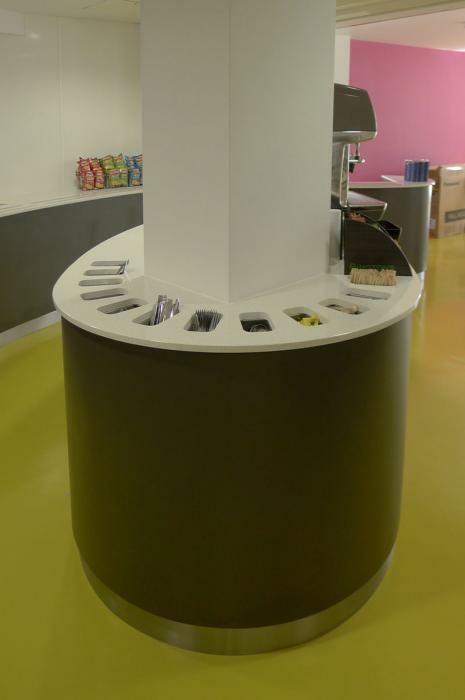 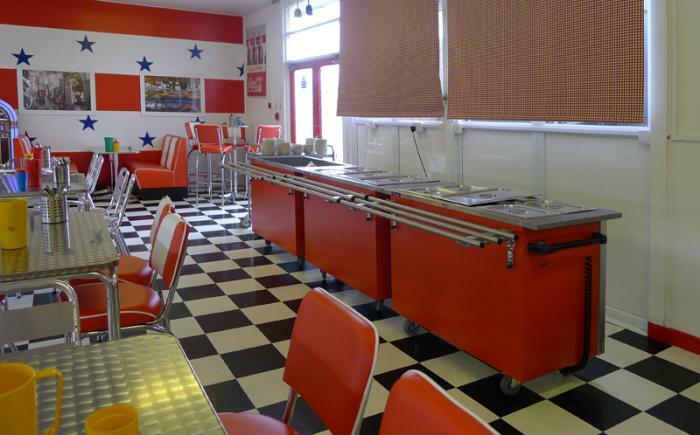 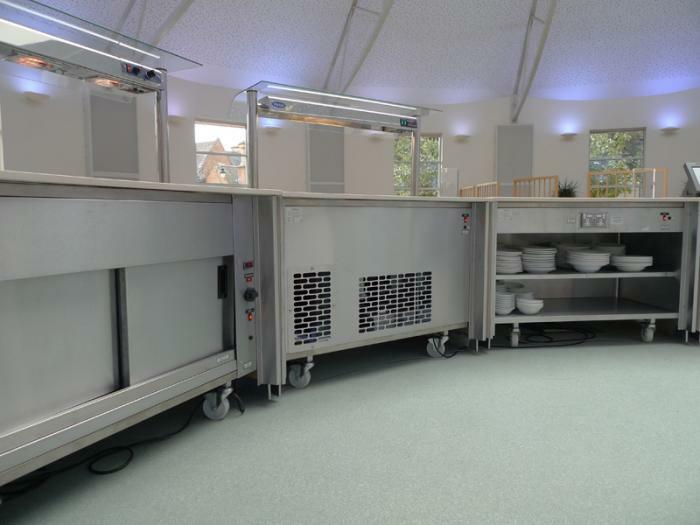 Constructed using a combination of the popular Caribbean range and the Synergy drop-in units a mirrored counter of one heated and two refrigerated to each side was constructed with a continuous round tub tray slide.